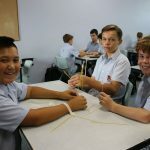 We open hearts and minds through quality teaching and learning experiences, so that through critical reflection and engagement each person is hope-filled and free to build a better world for all. 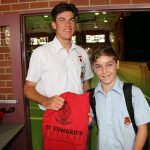 I would like to wish a warm welcome to all members of the St Edward’s community to the start of what will be an exciting 2019 school year. 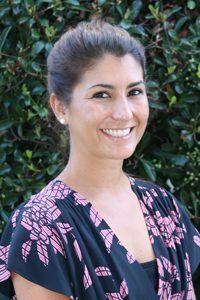 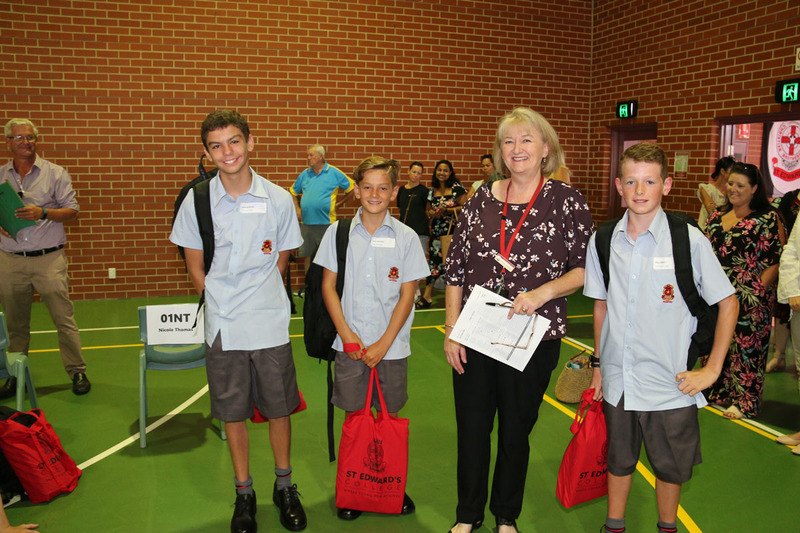 In particular, I would like to welcome all new families to our community. 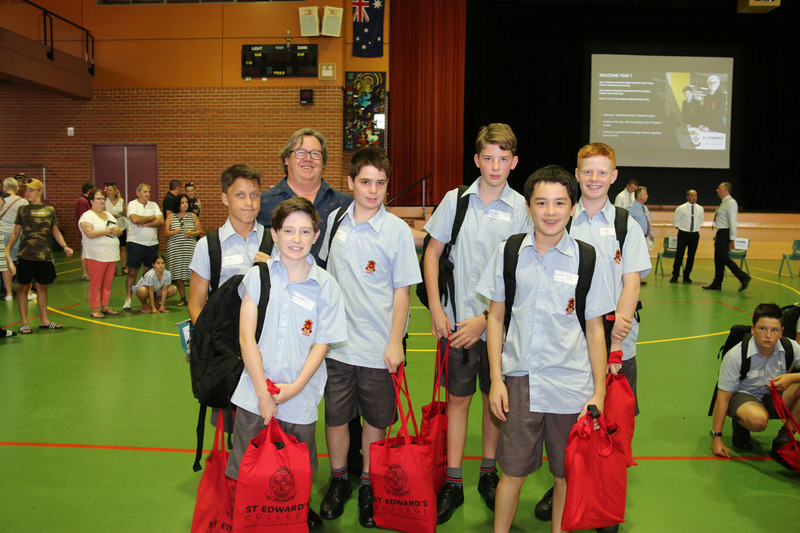 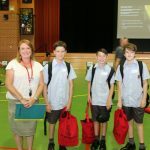 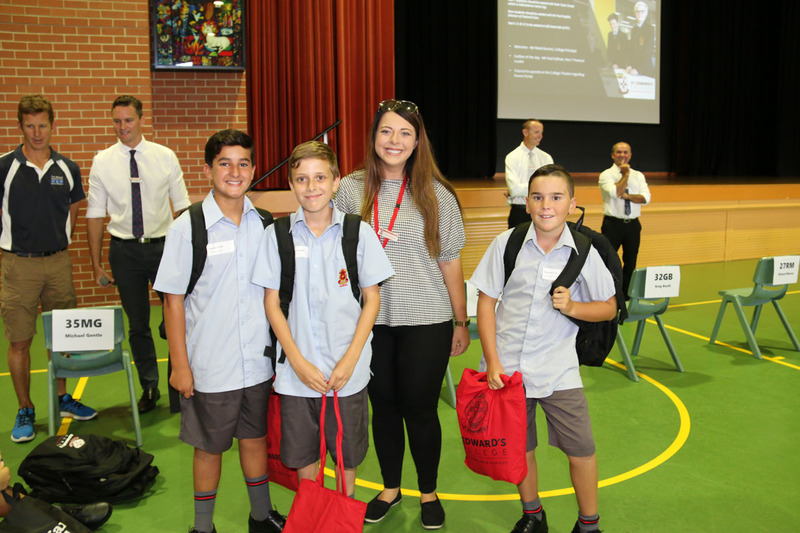 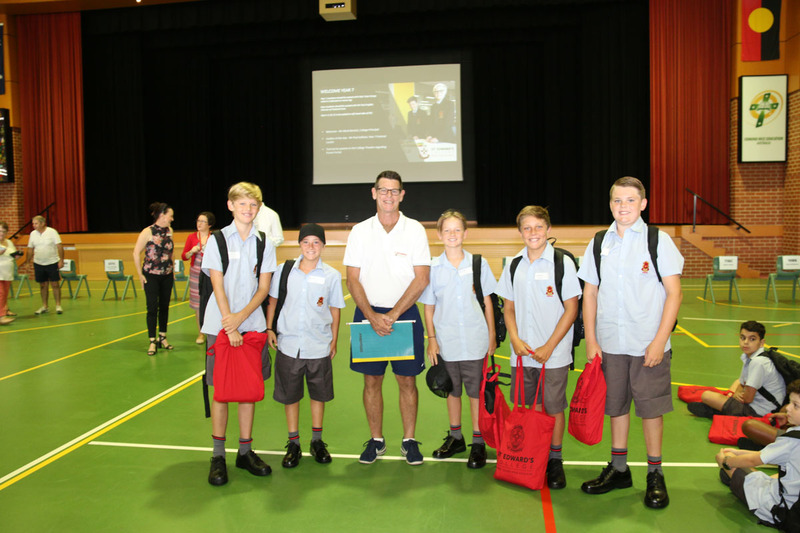 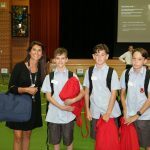 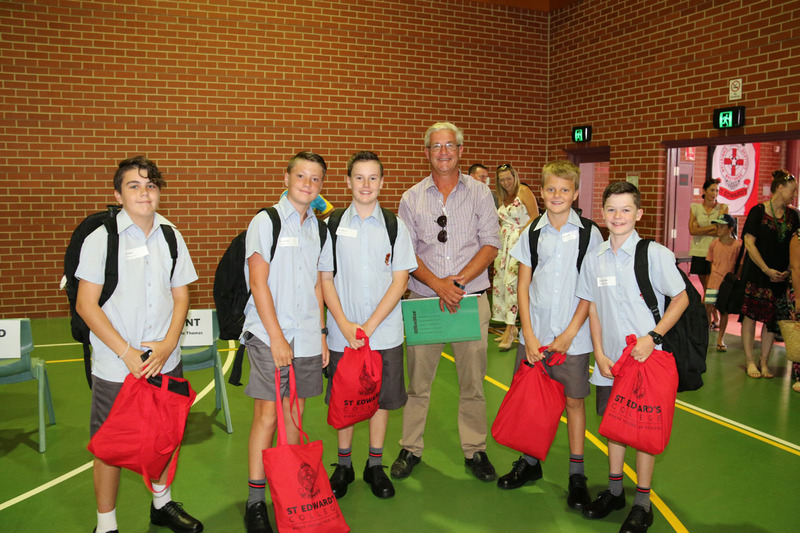 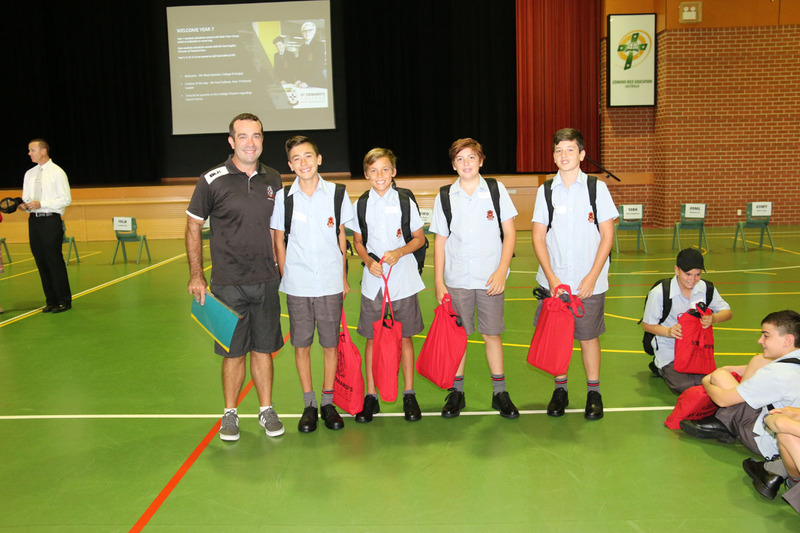 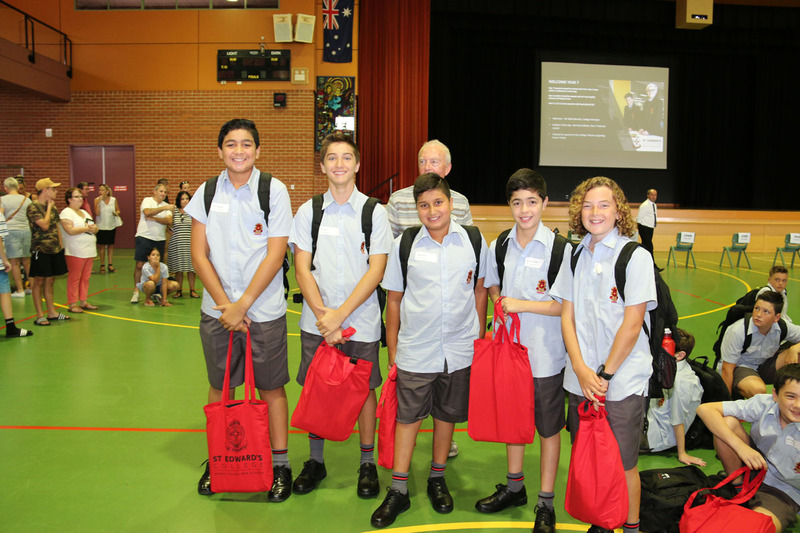 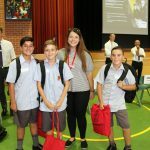 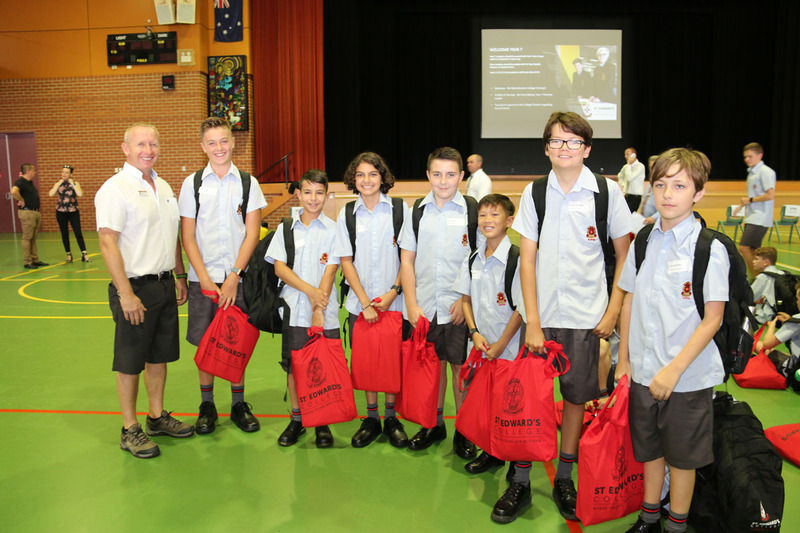 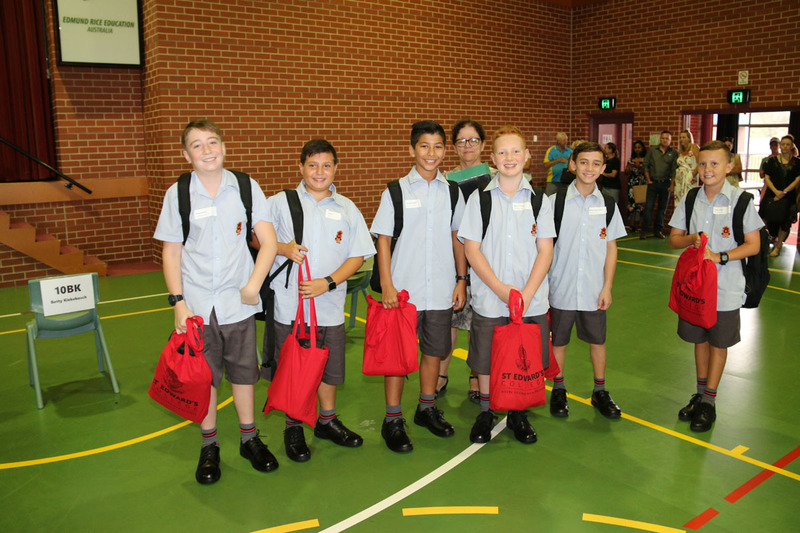 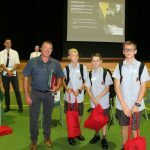 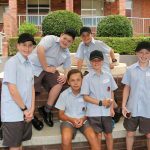 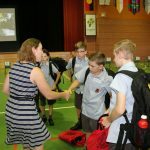 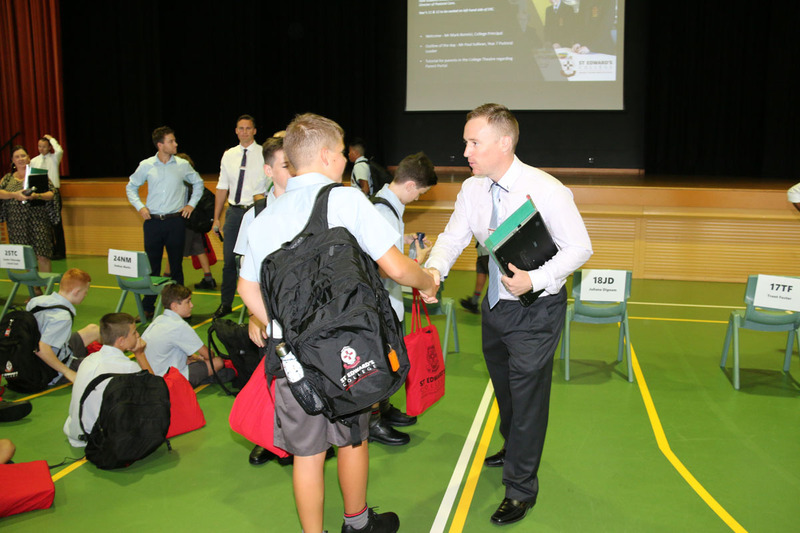 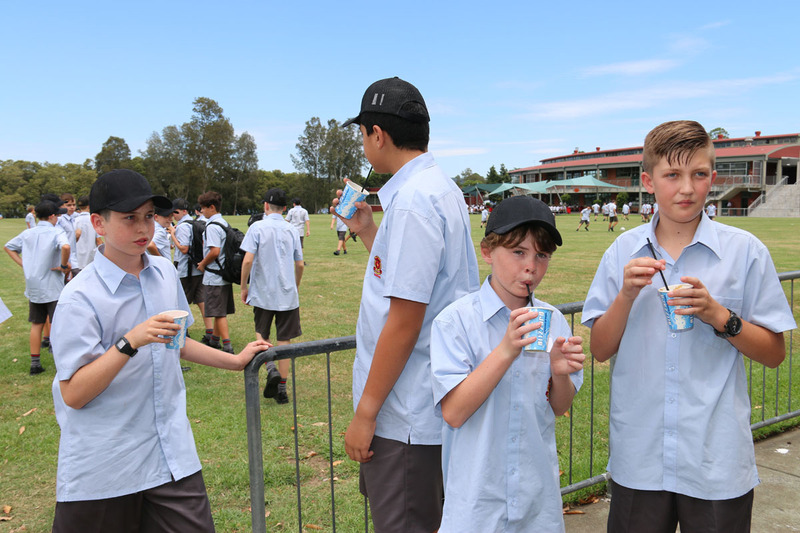 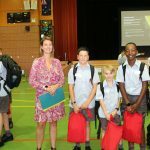 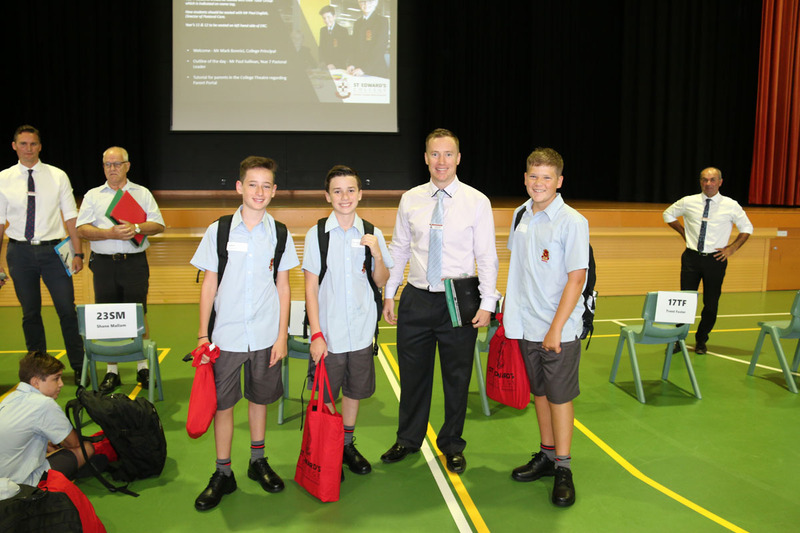 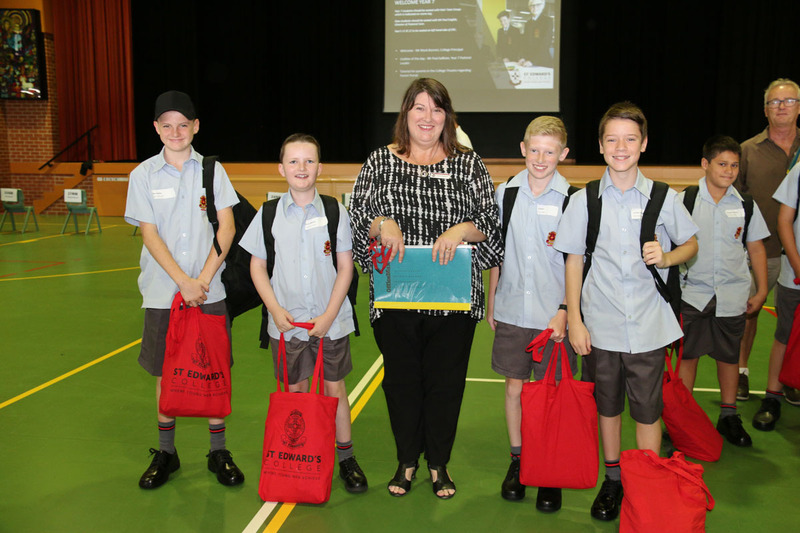 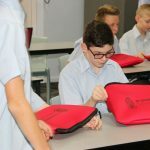 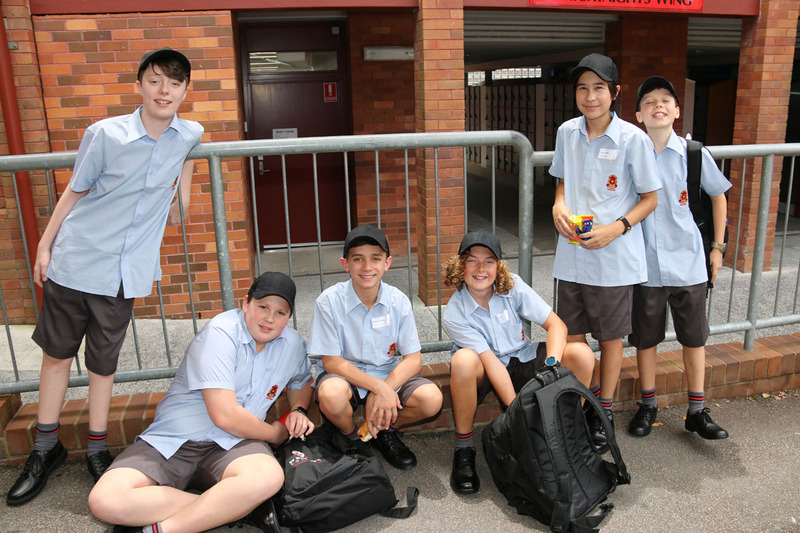 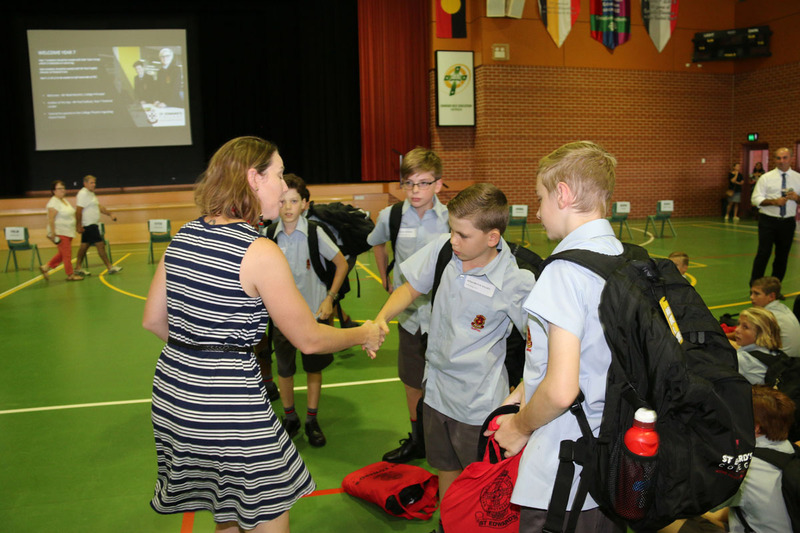 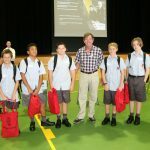 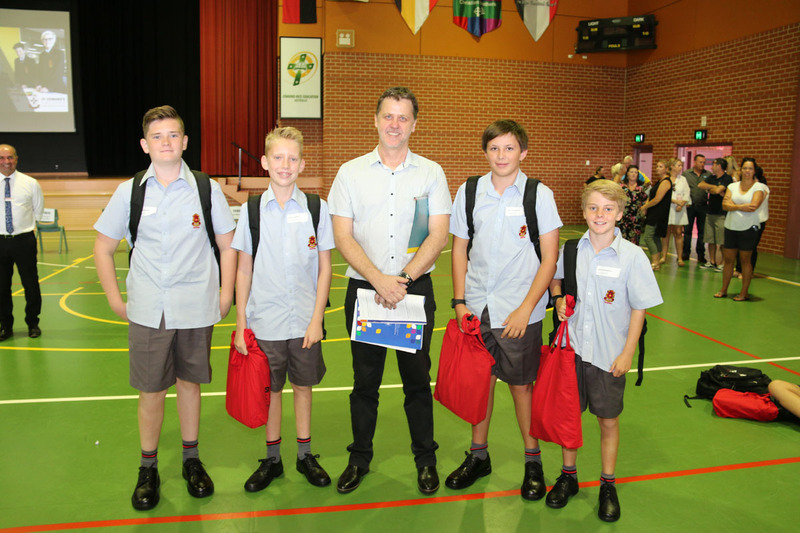 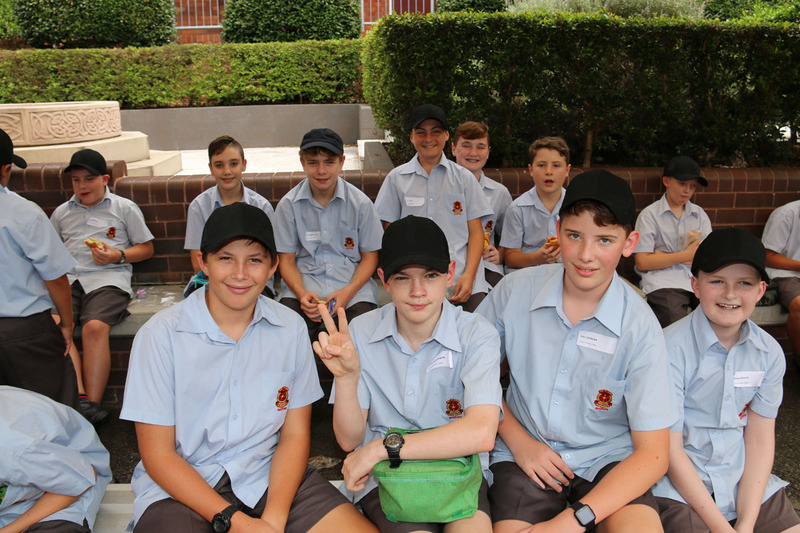 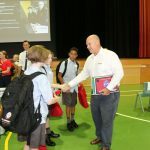 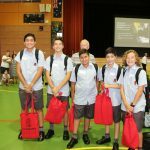 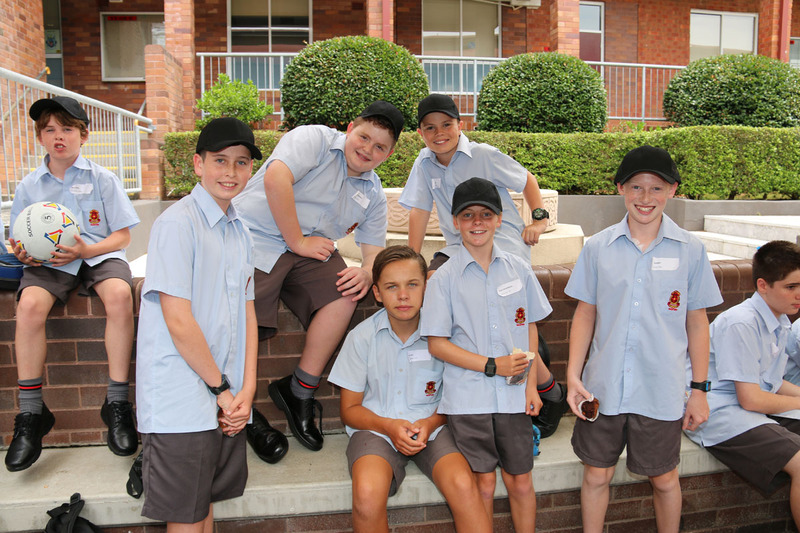 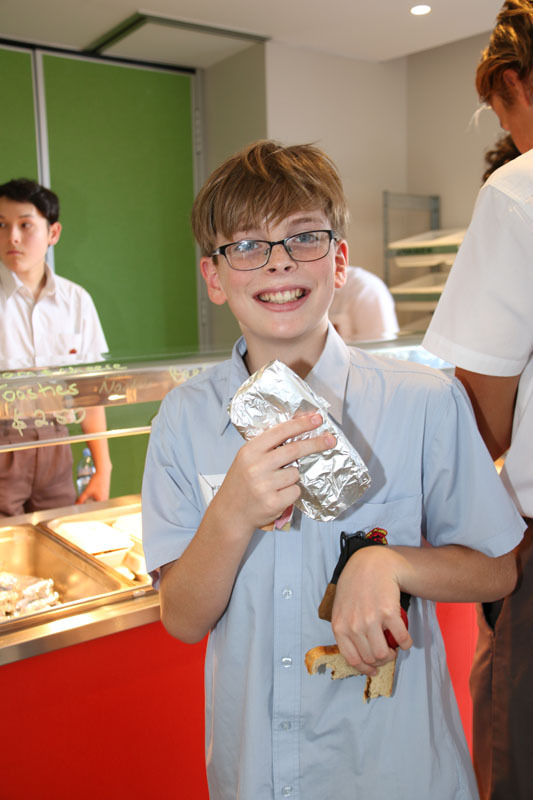 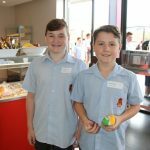 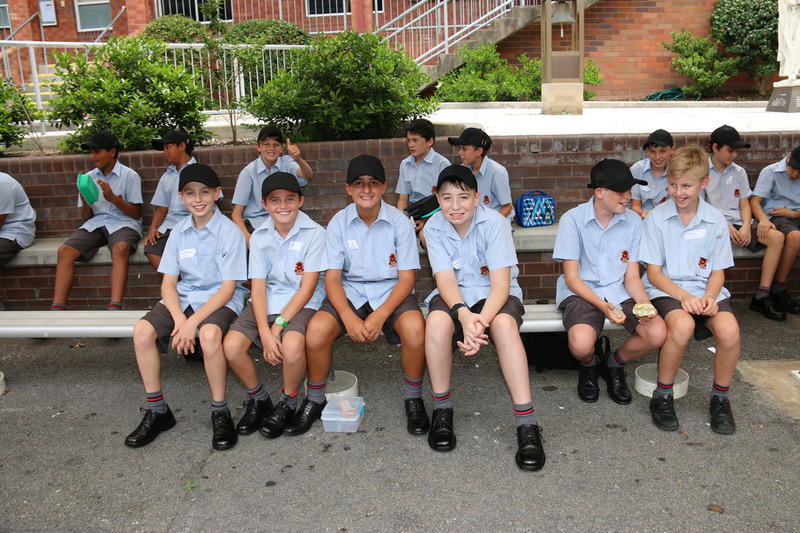 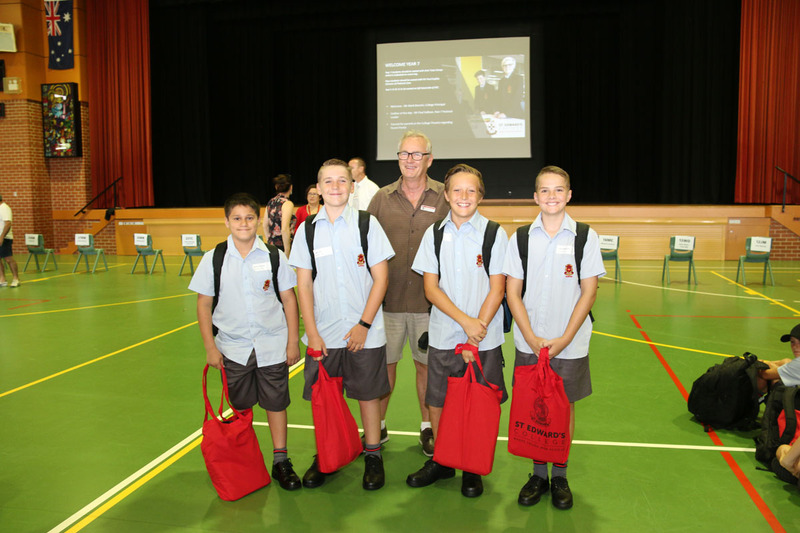 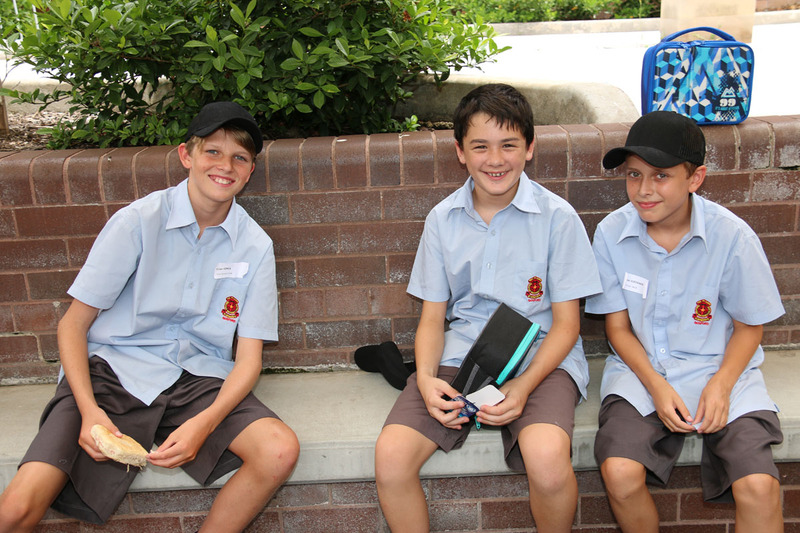 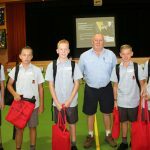 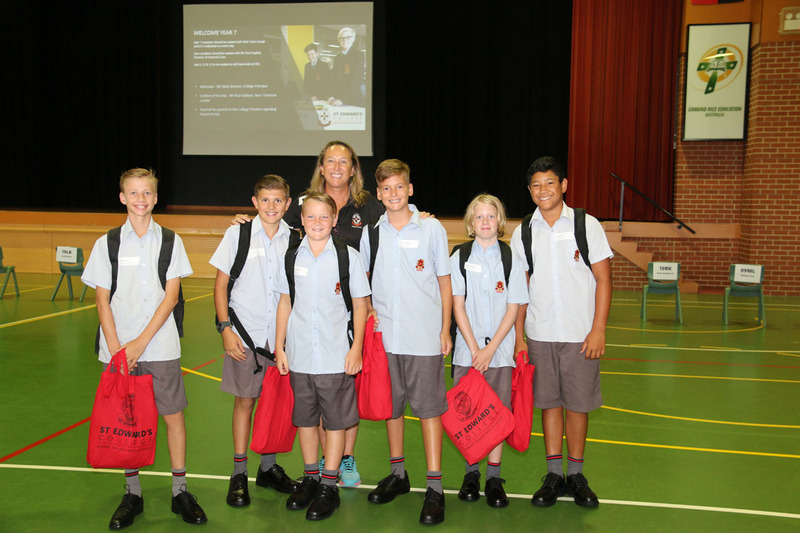 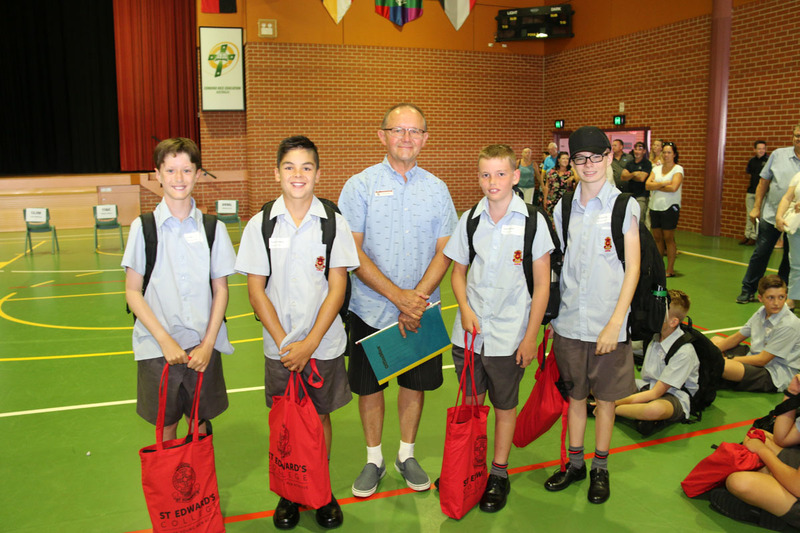 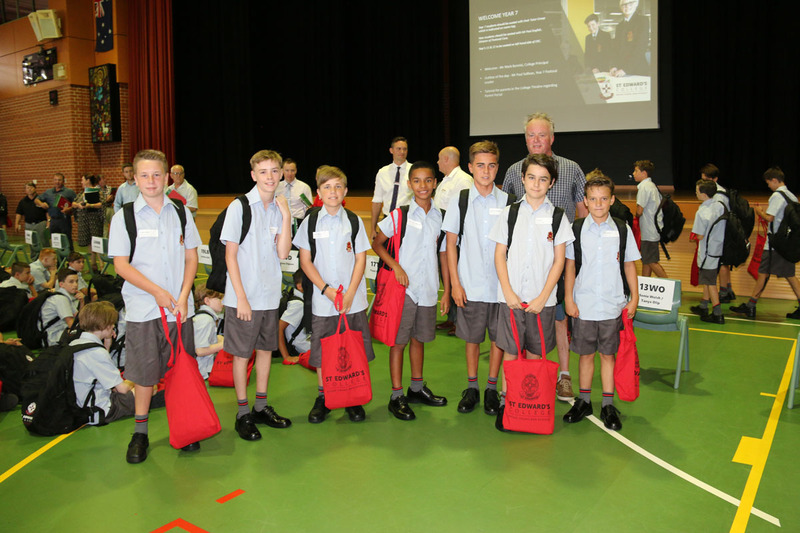 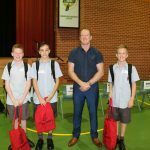 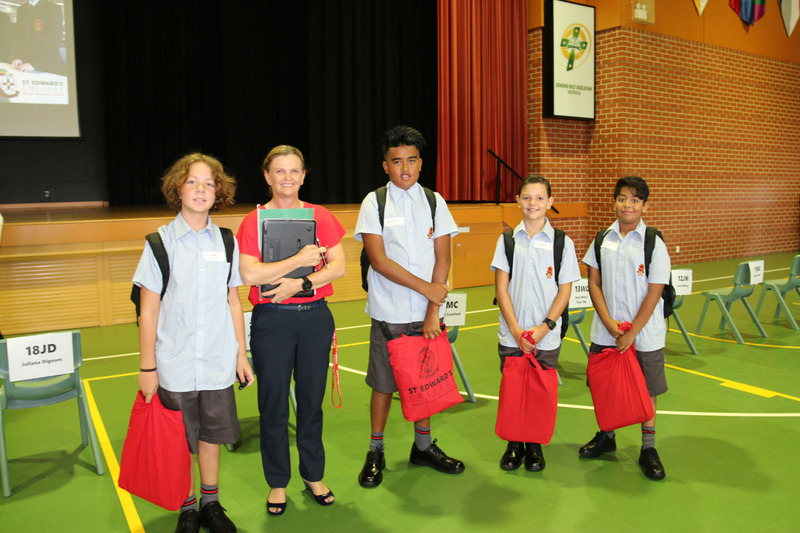 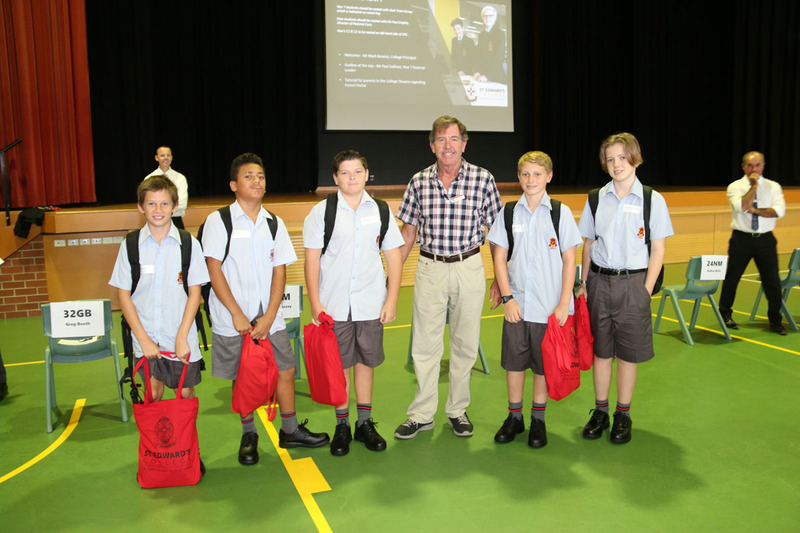 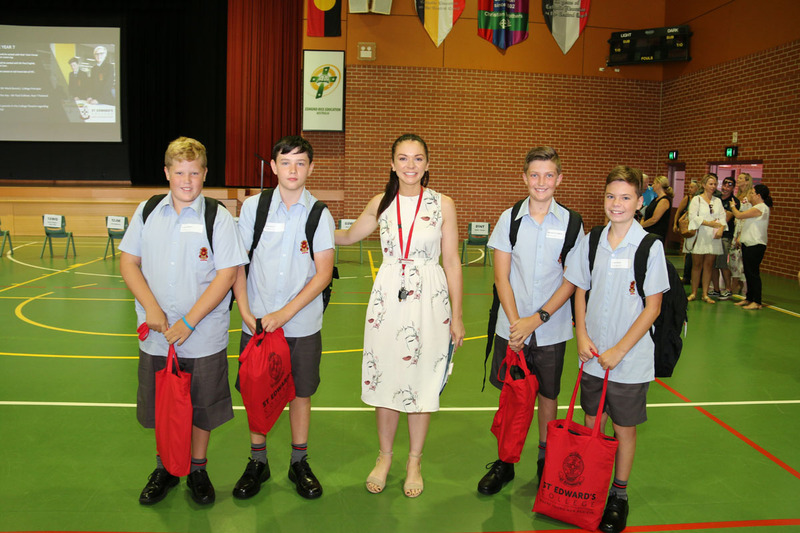 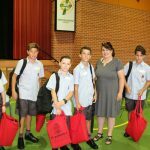 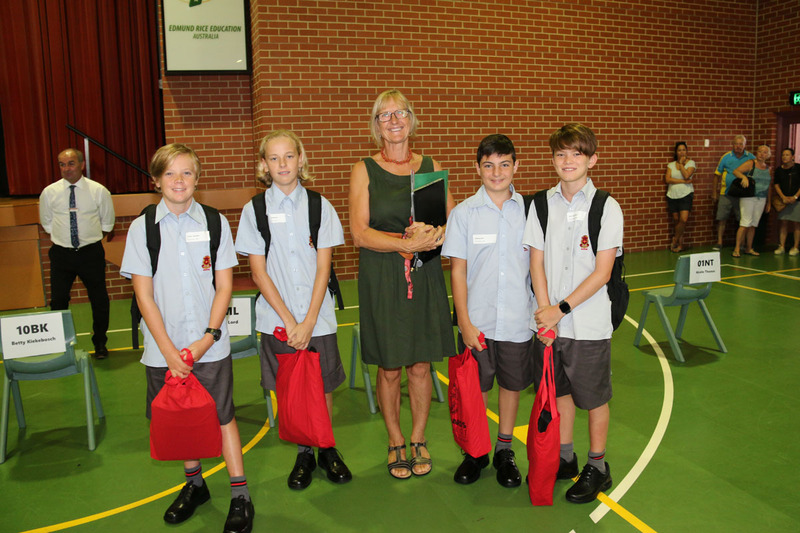 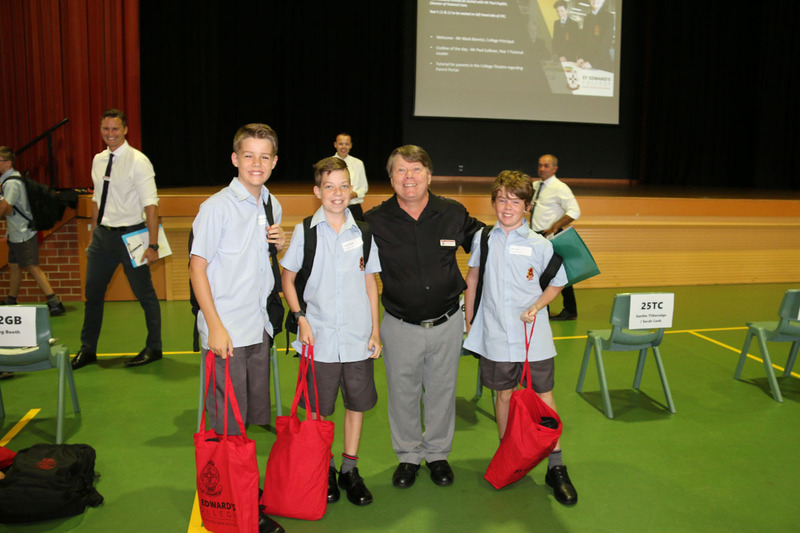 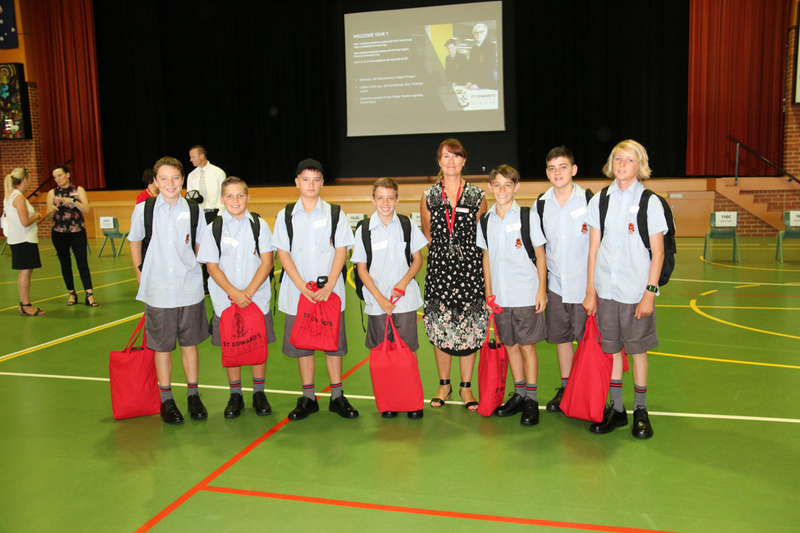 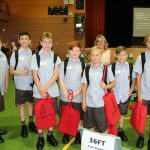 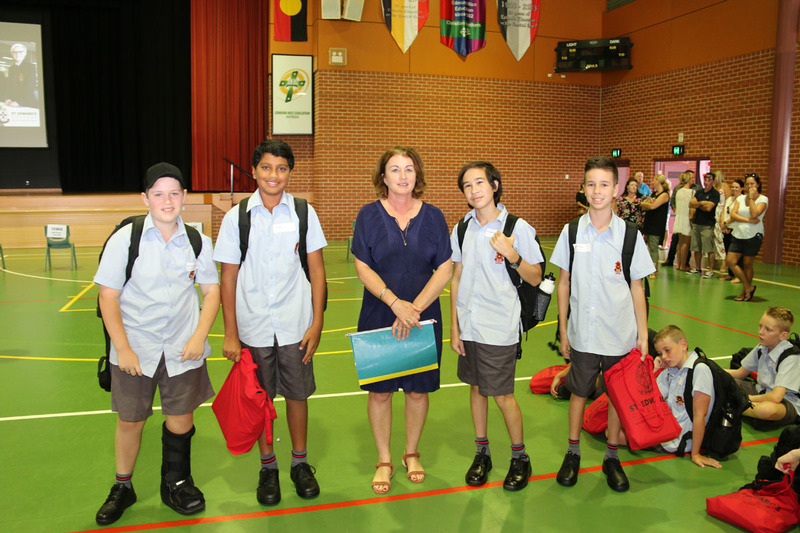 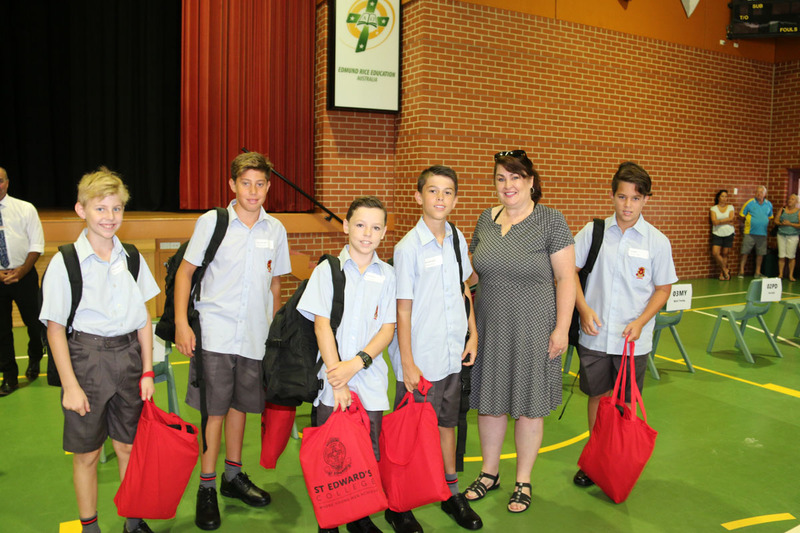 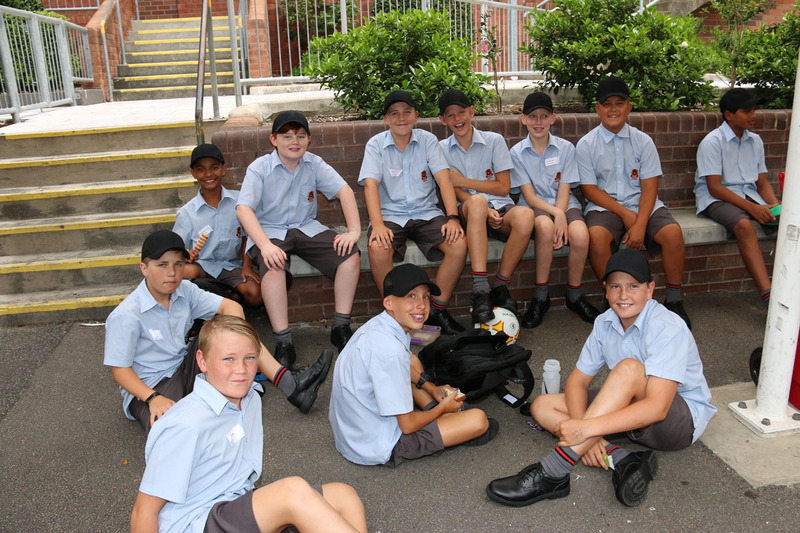 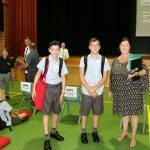 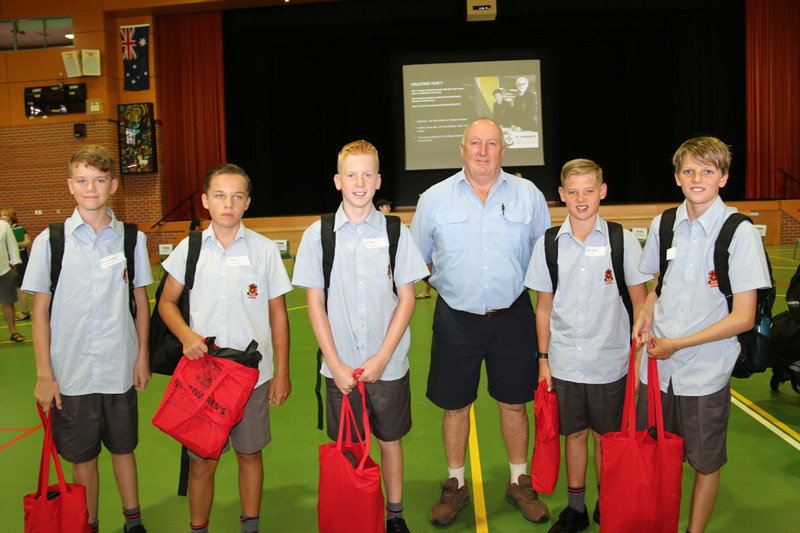 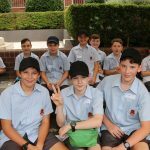 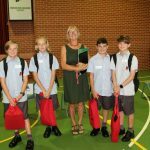 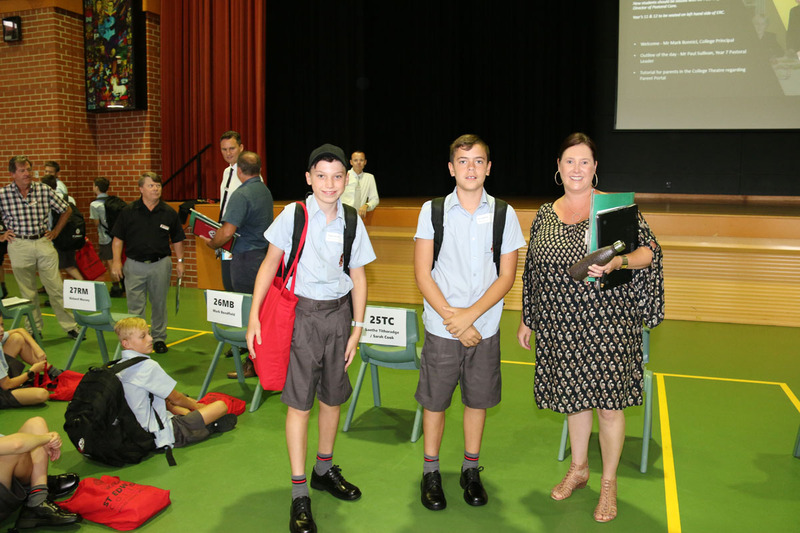 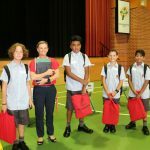 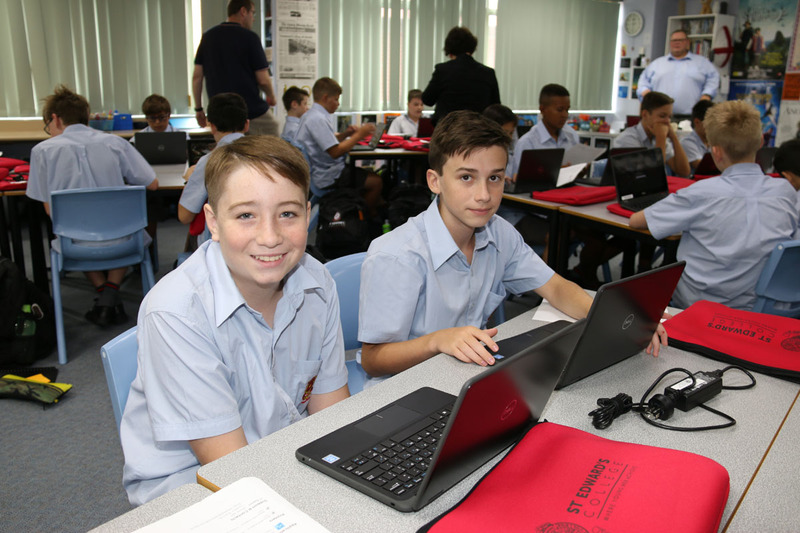 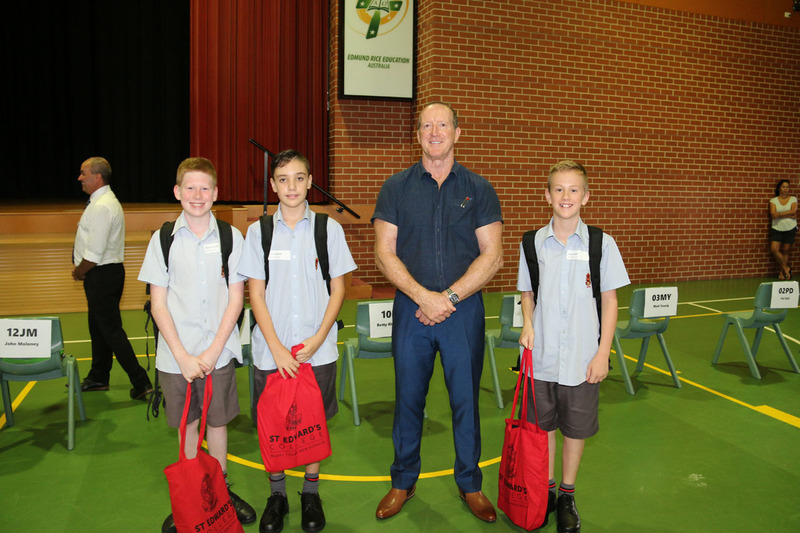 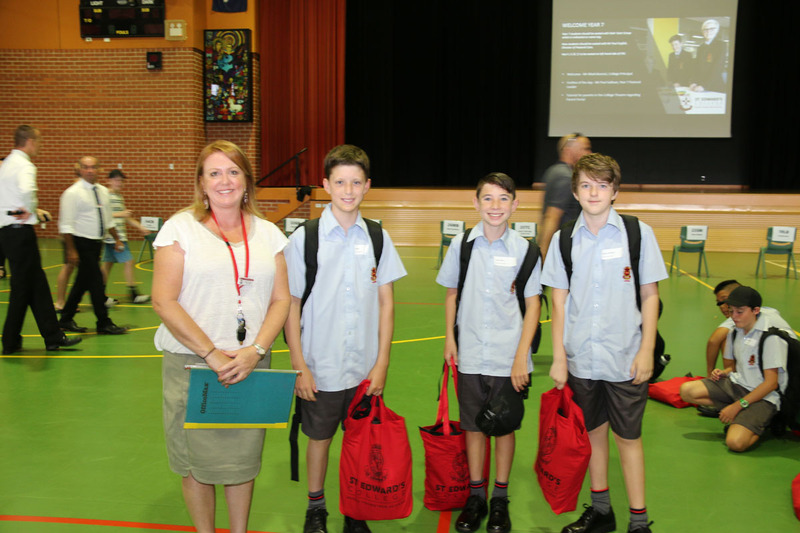 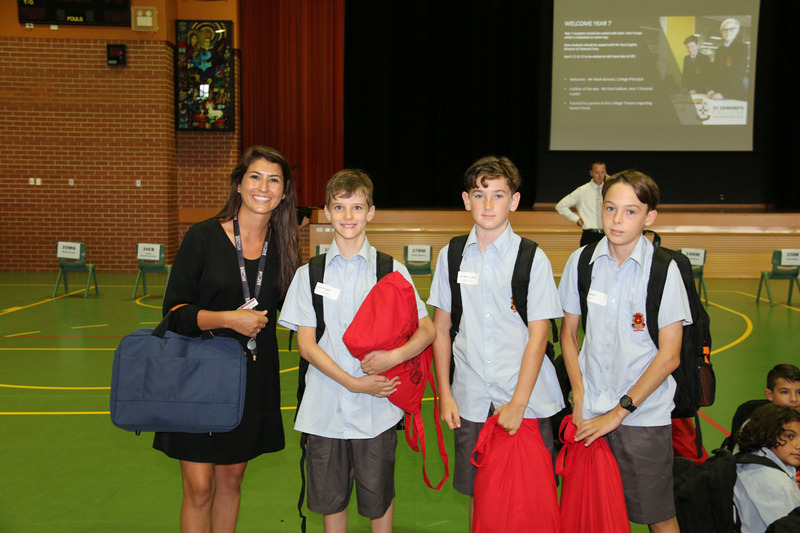 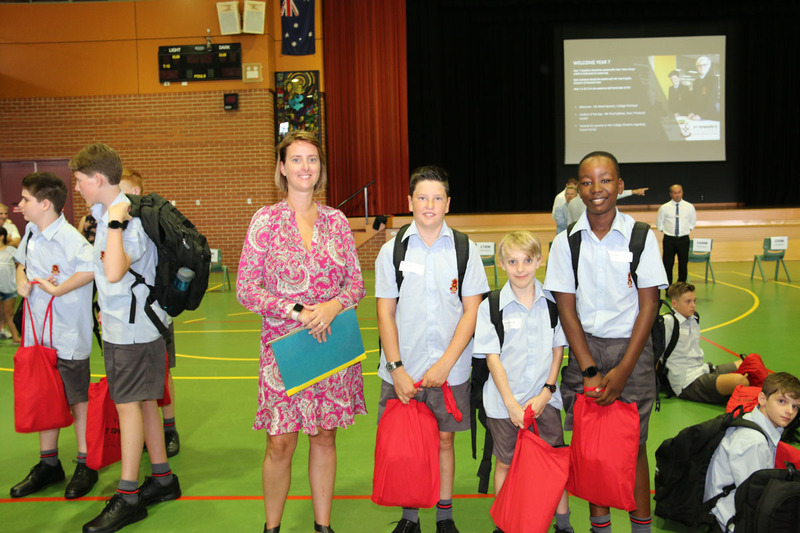 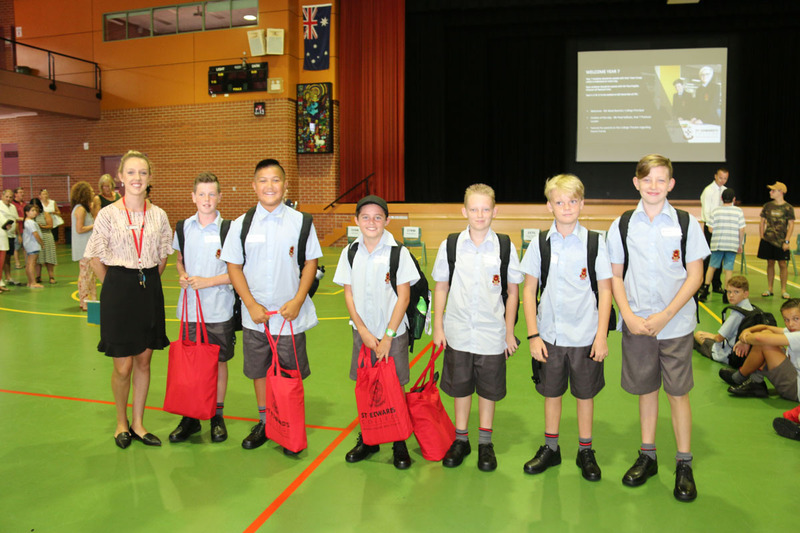 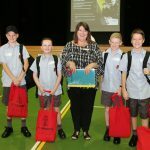 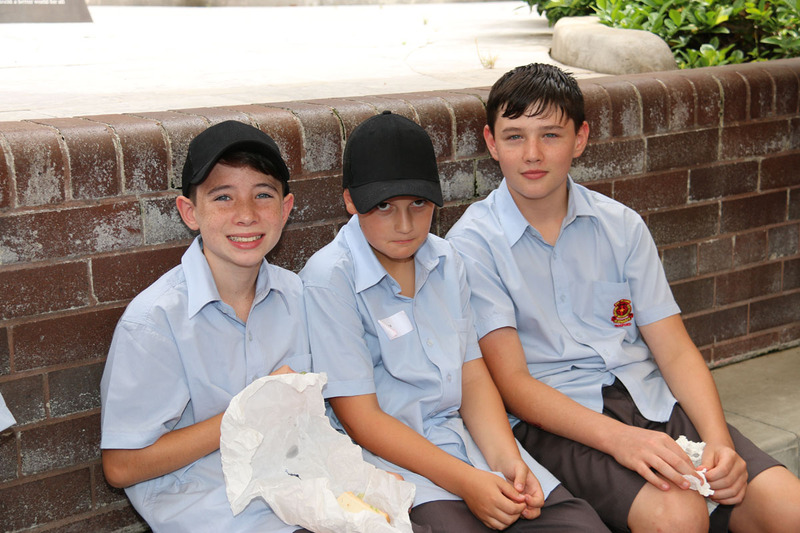 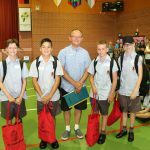 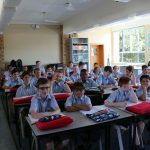 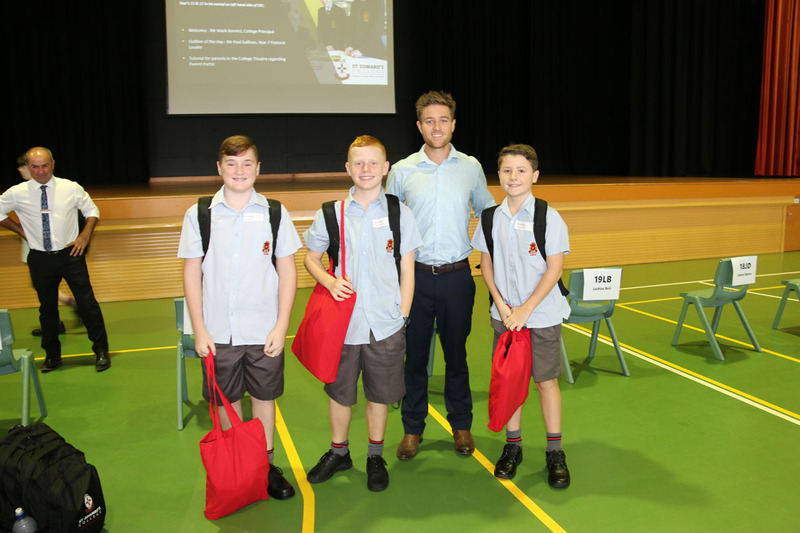 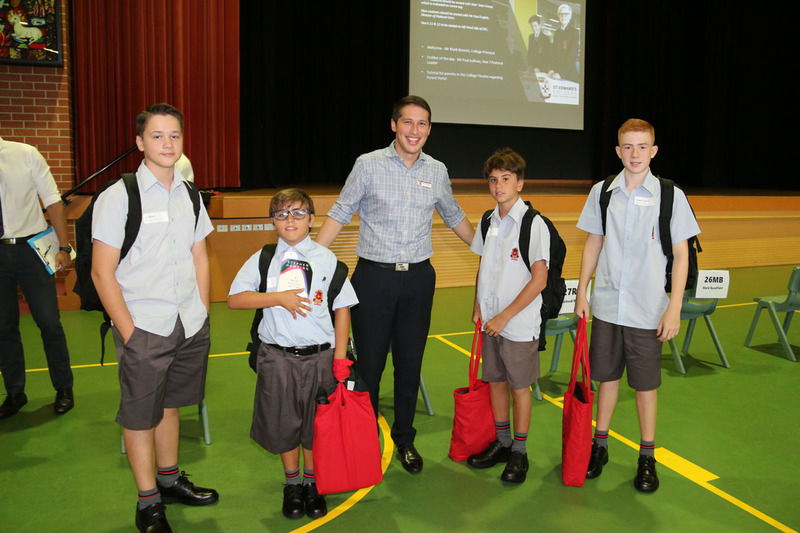 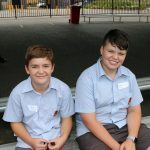 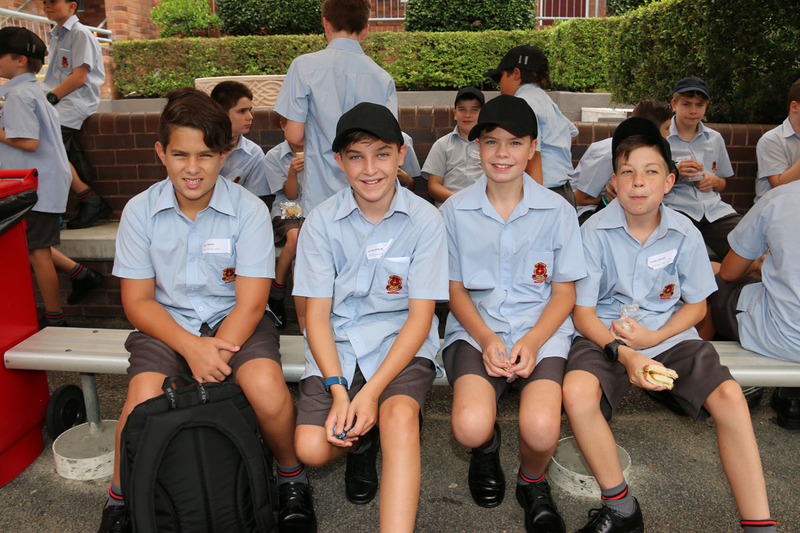 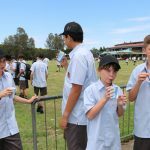 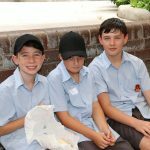 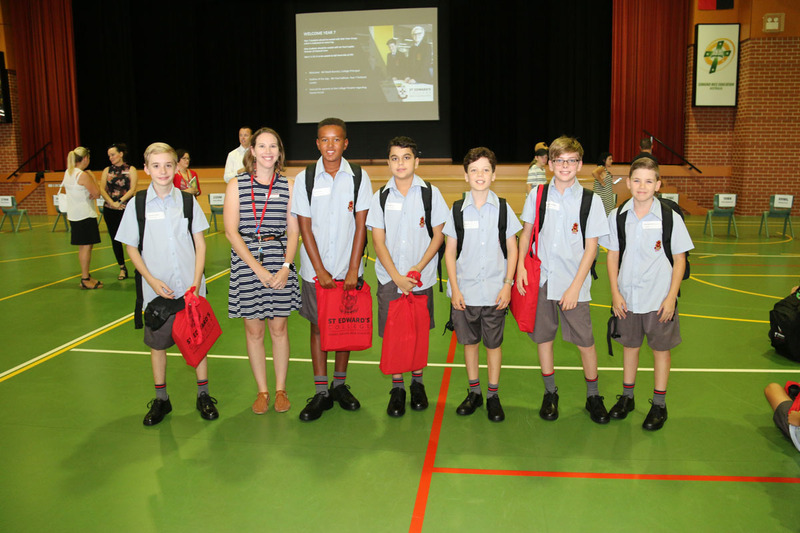 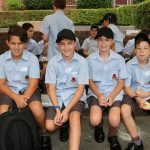 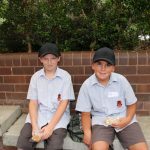 One hundred and ninety-two Year 7 students began their journey at St Edward’s last Thursday, and they were warmly welcomed by the whole school at an assembly on Friday. 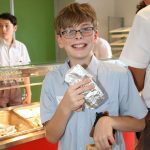 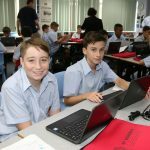 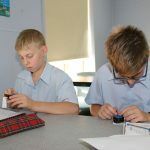 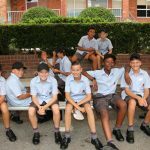 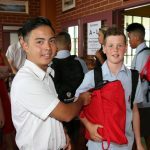 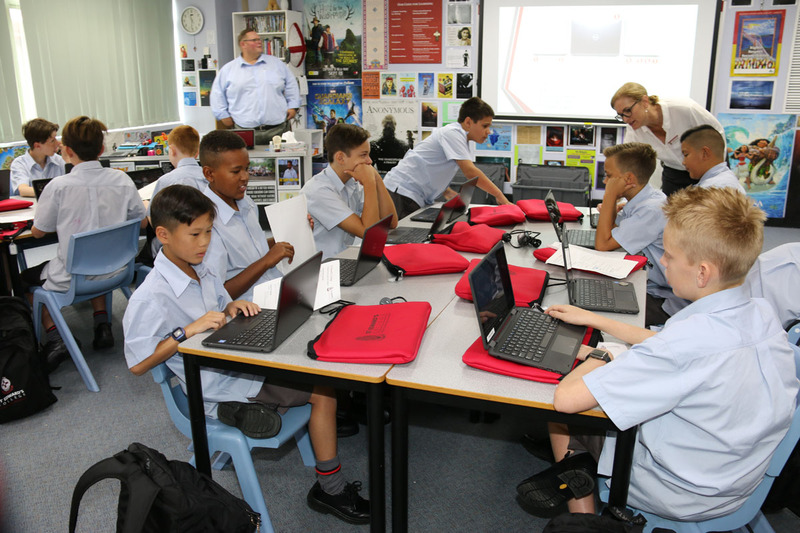 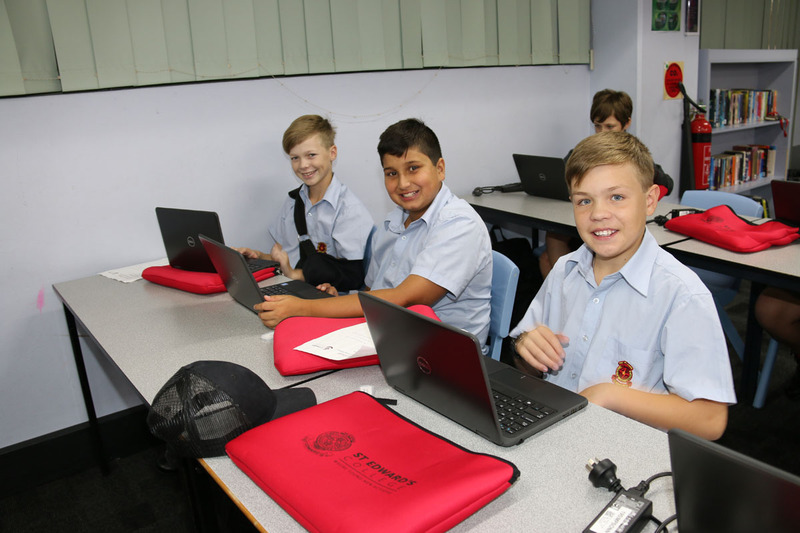 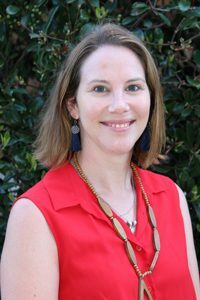 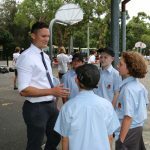 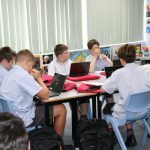 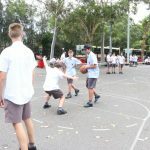 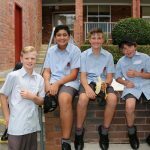 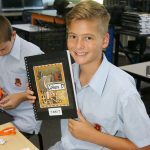 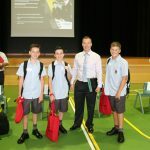 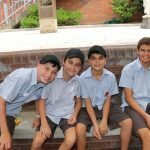 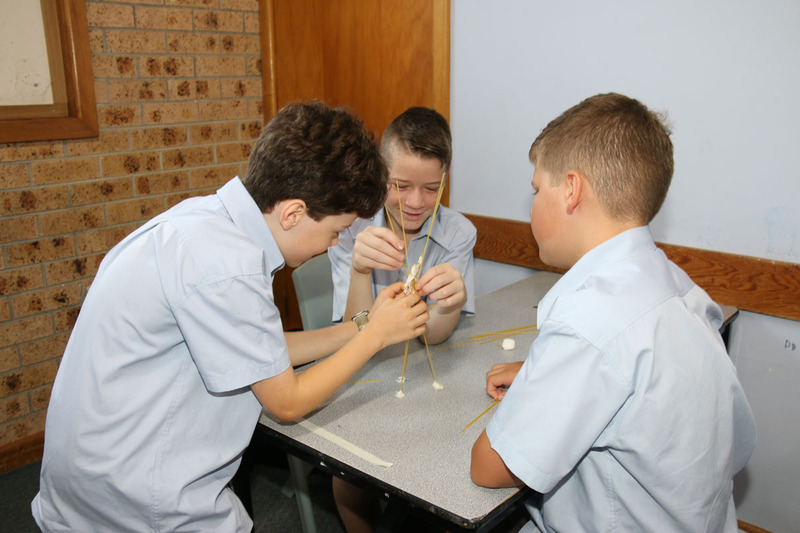 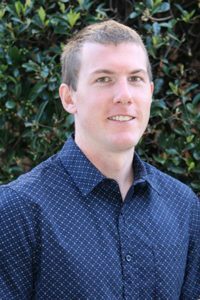 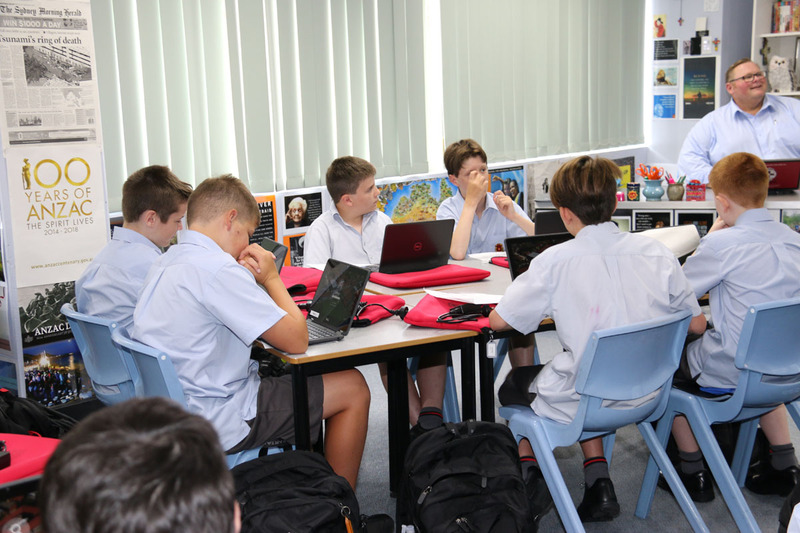 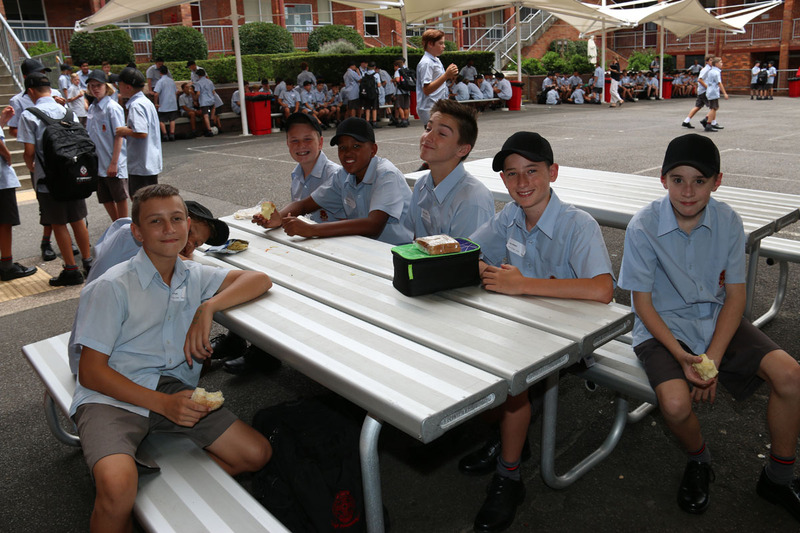 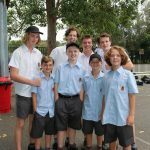 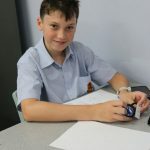 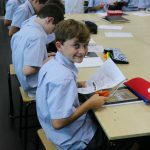 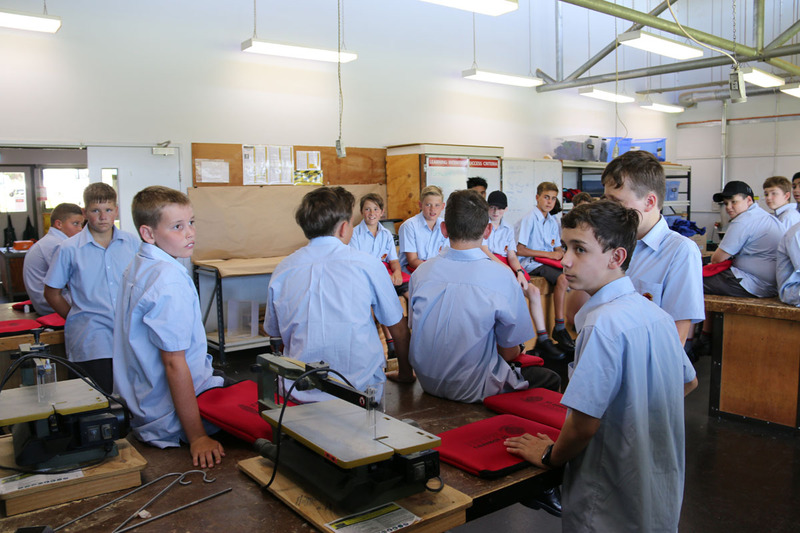 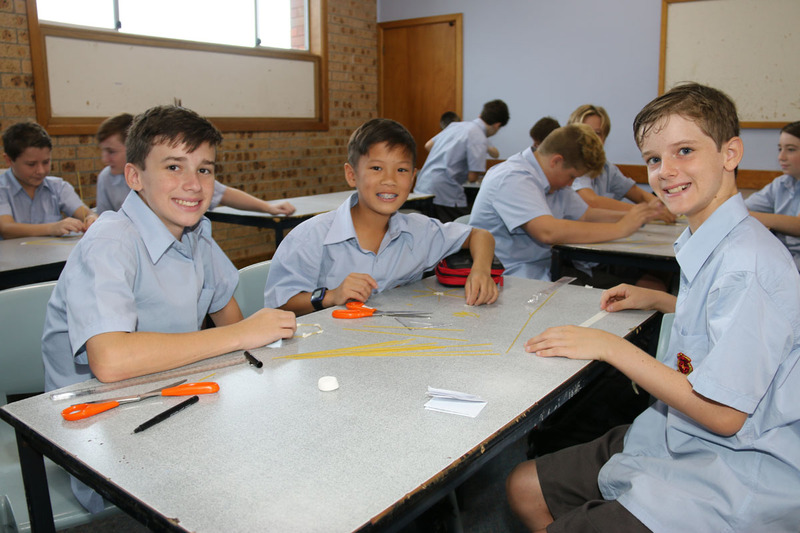 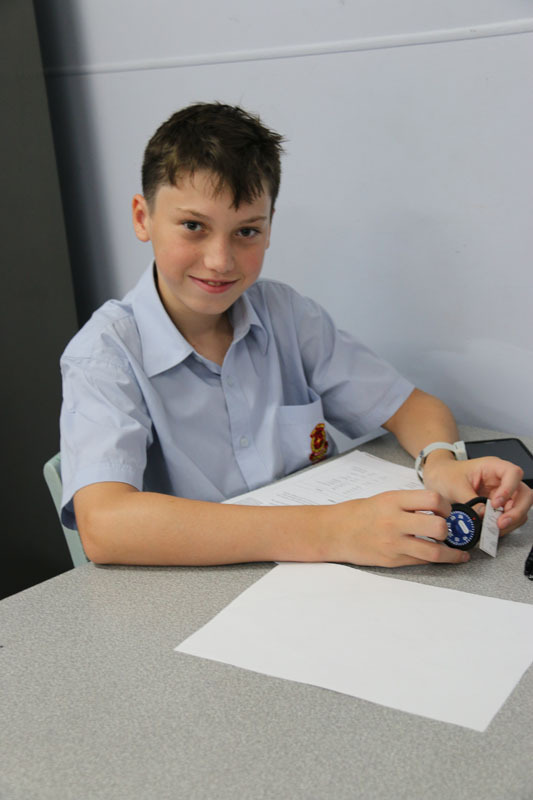 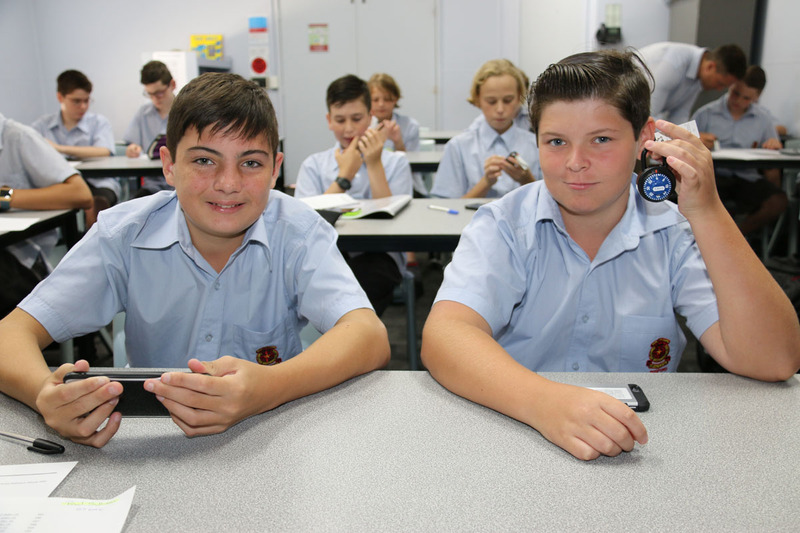 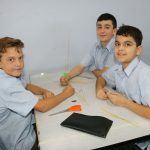 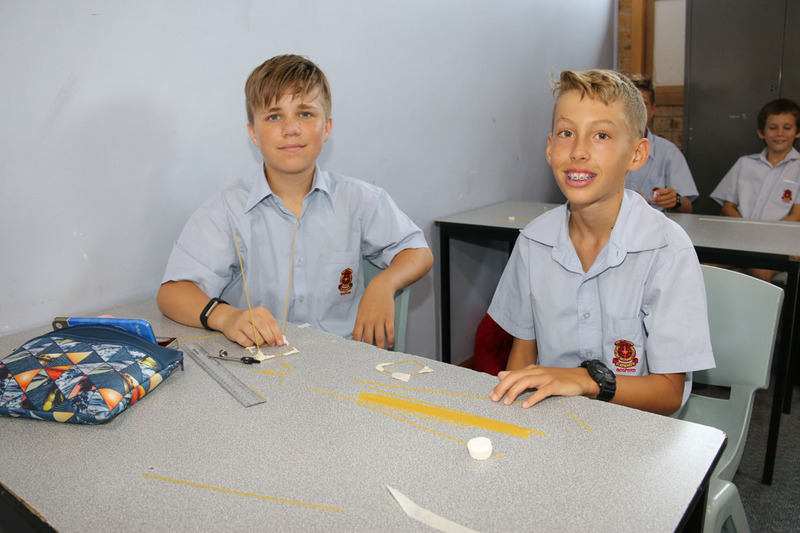 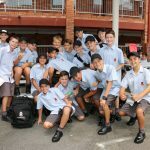 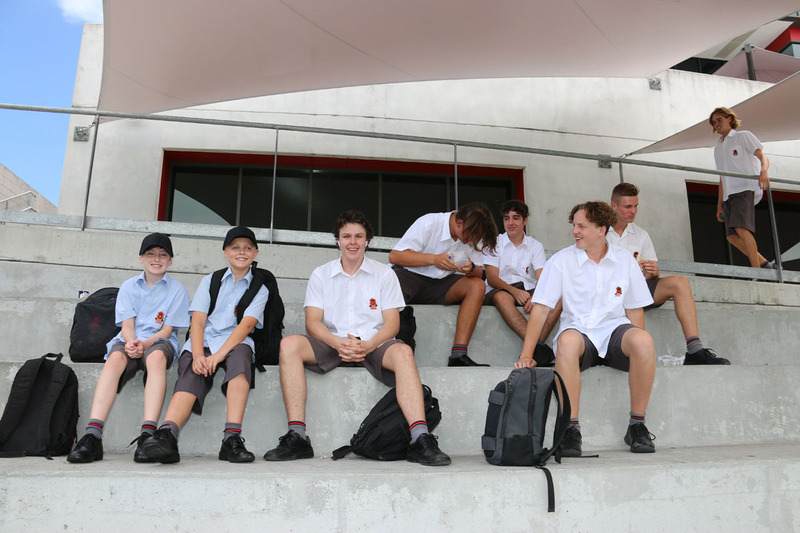 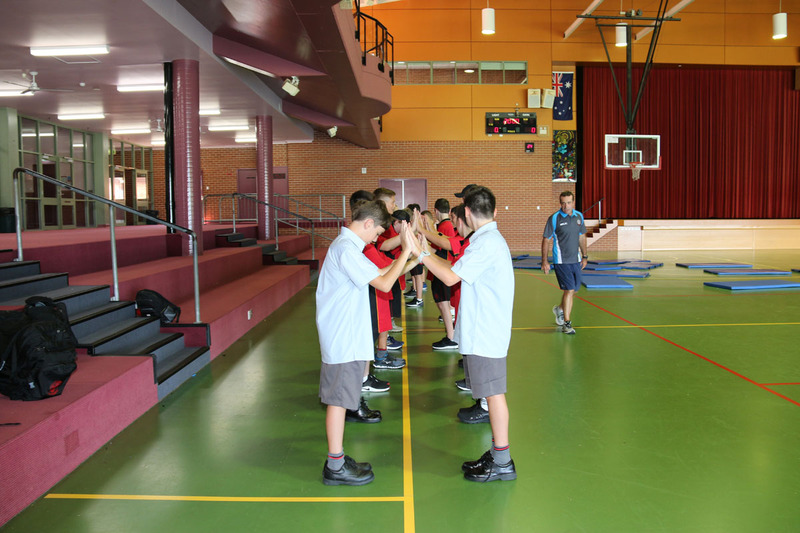 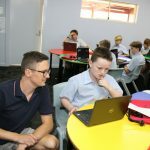 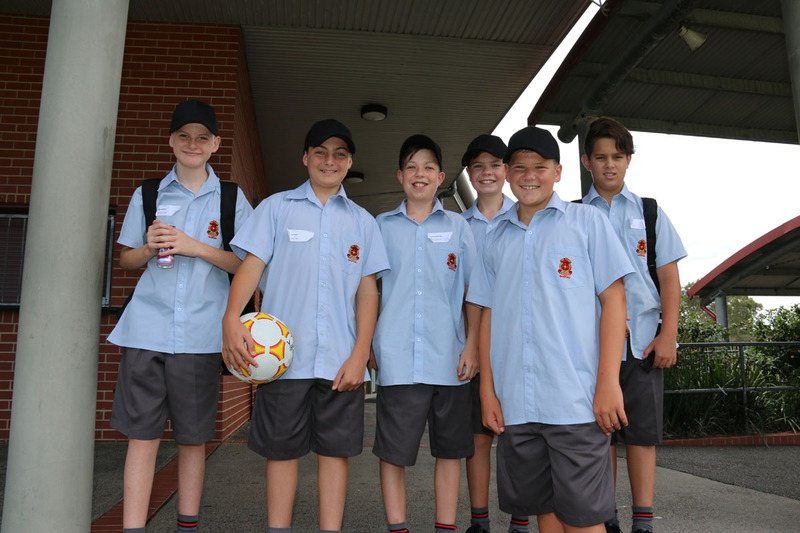 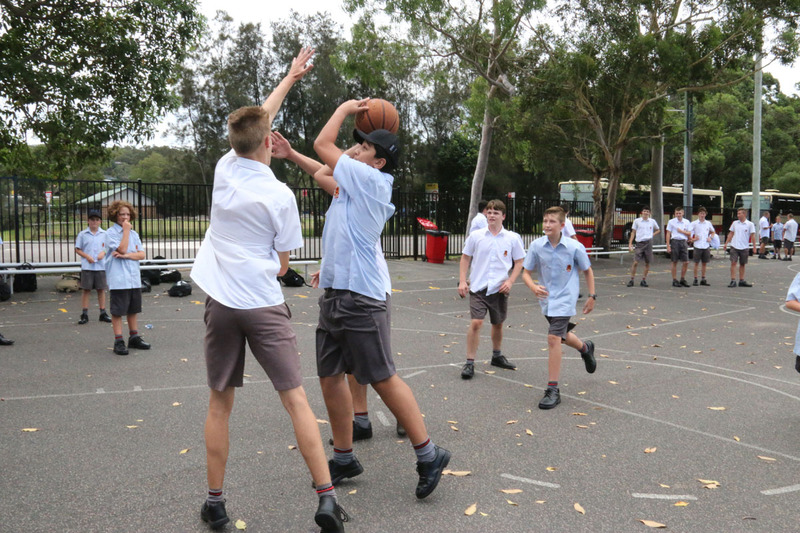 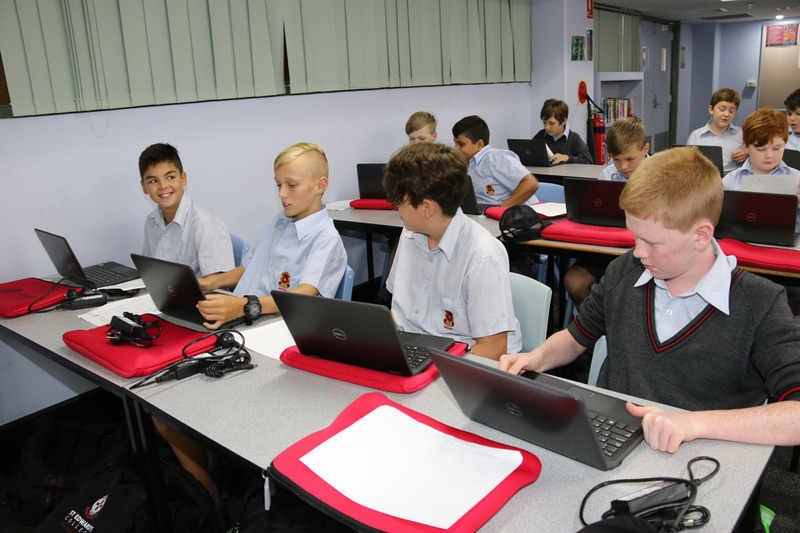 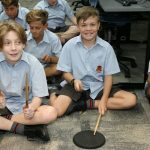 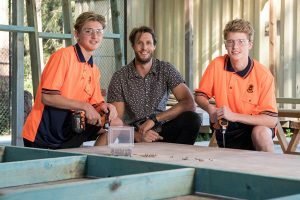 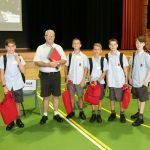 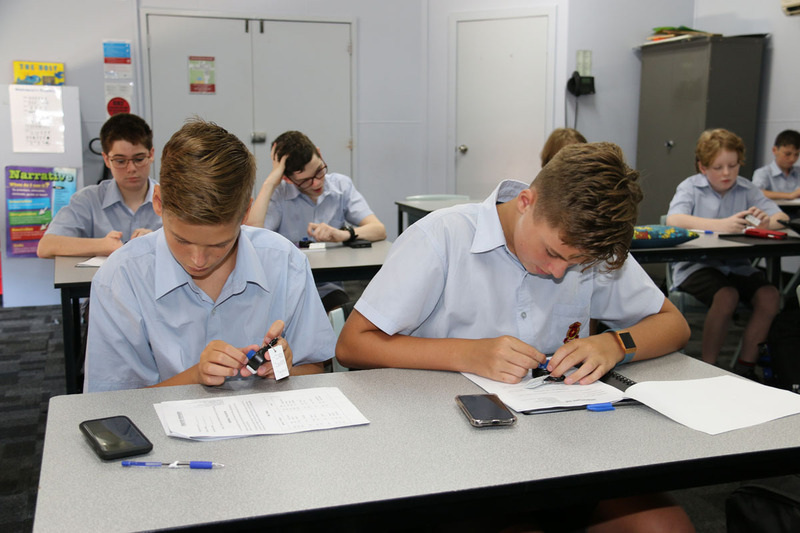 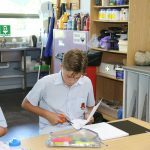 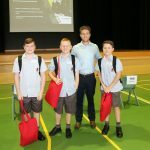 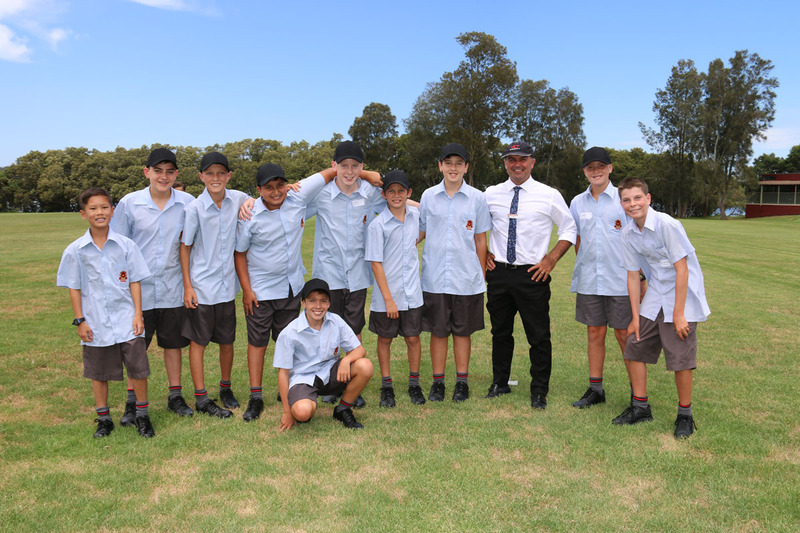 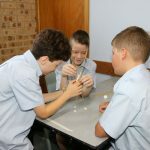 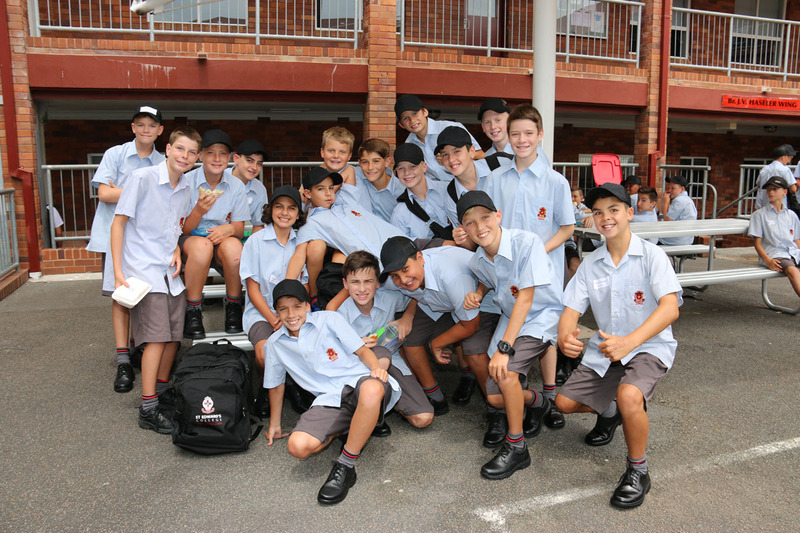 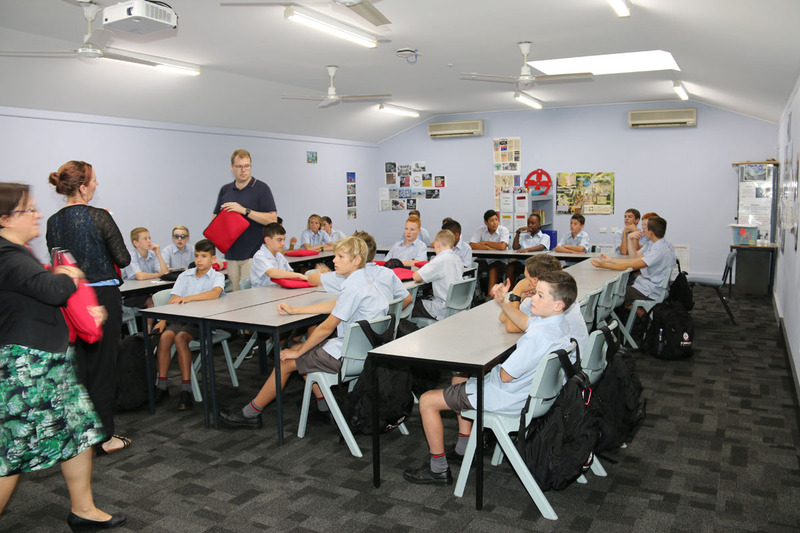 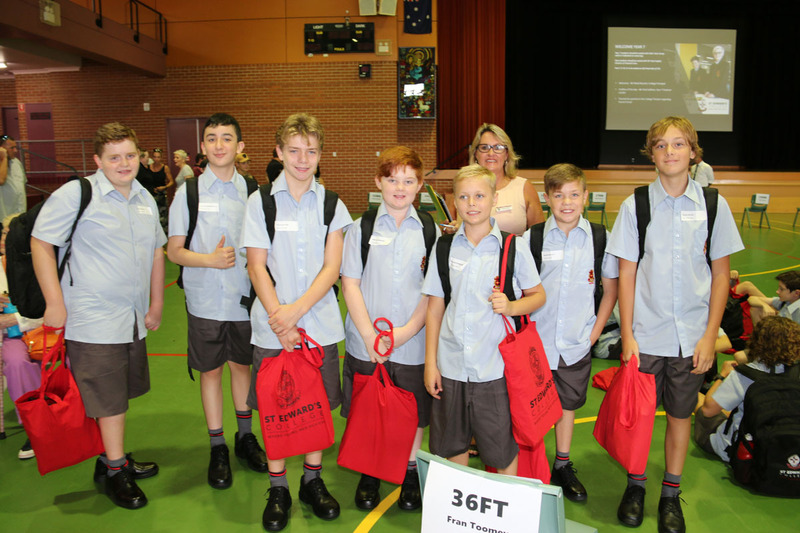 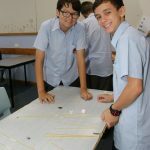 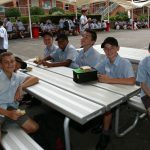 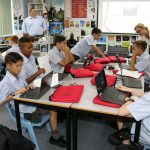 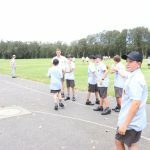 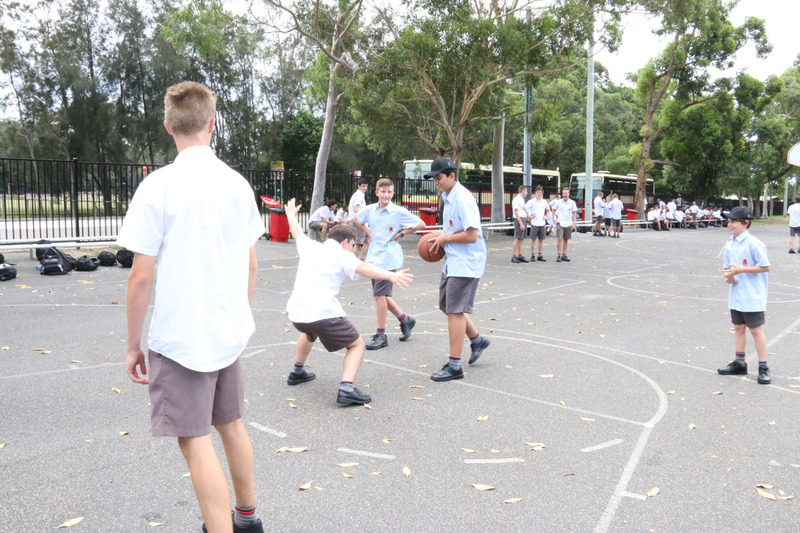 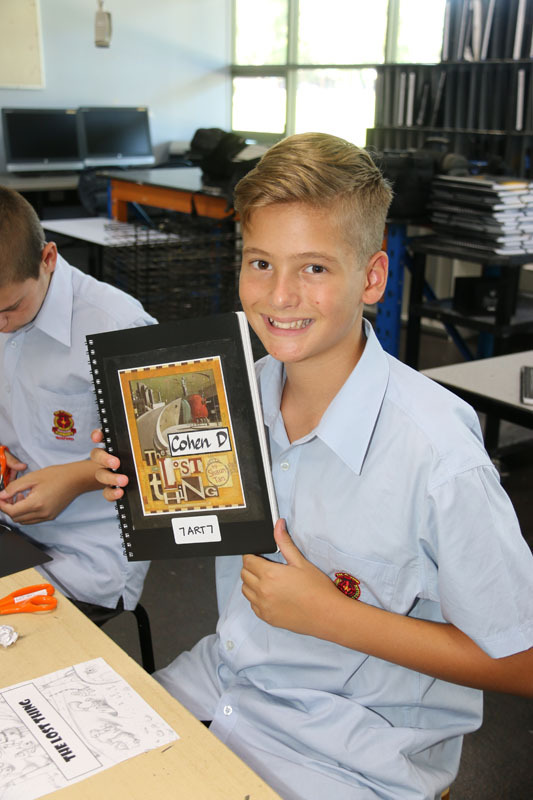 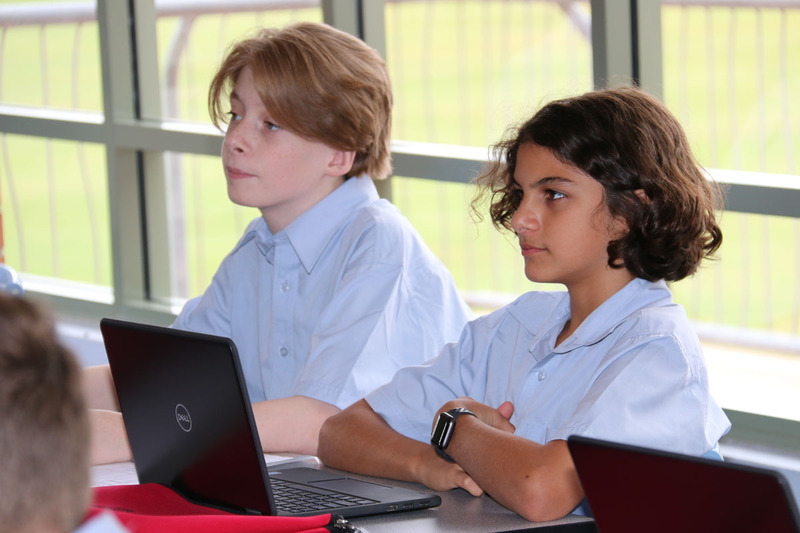 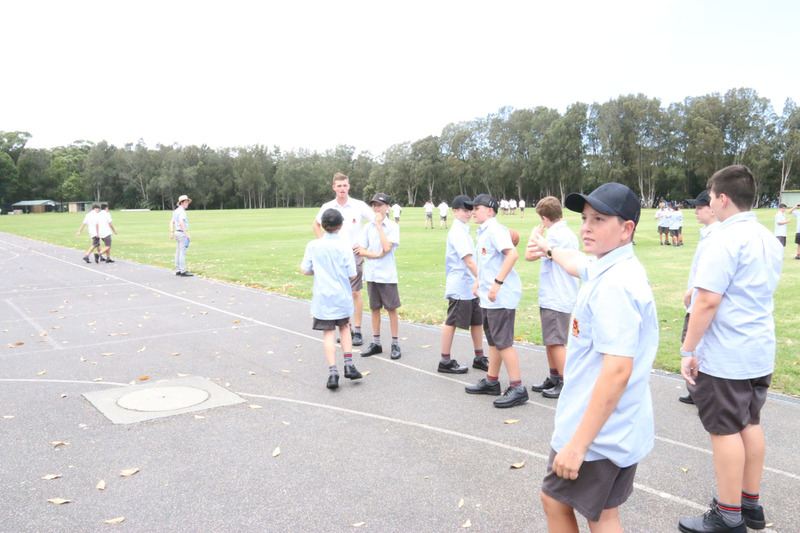 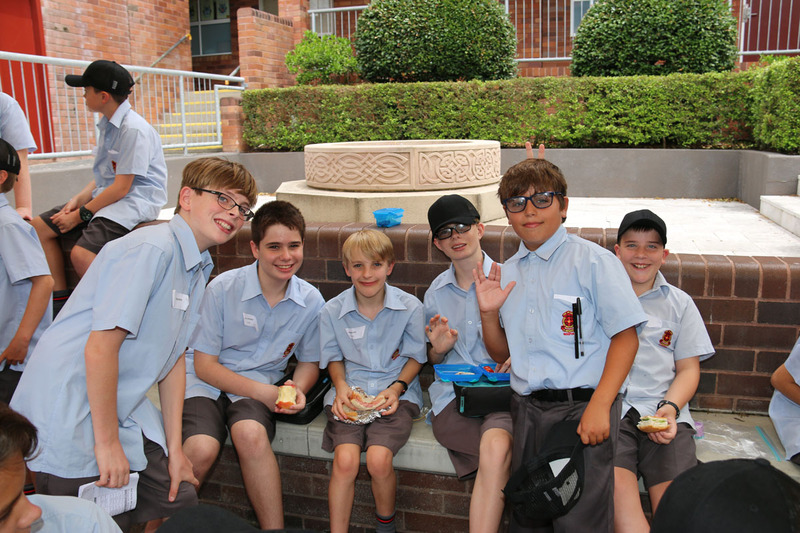 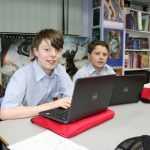 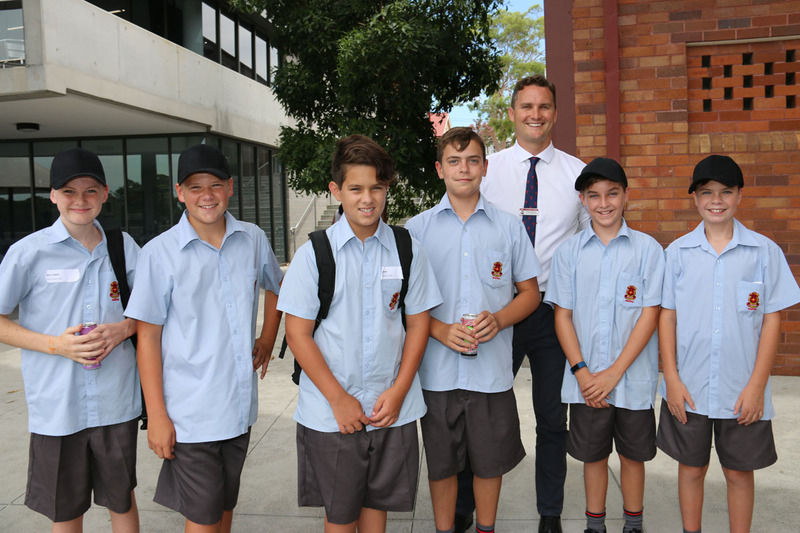 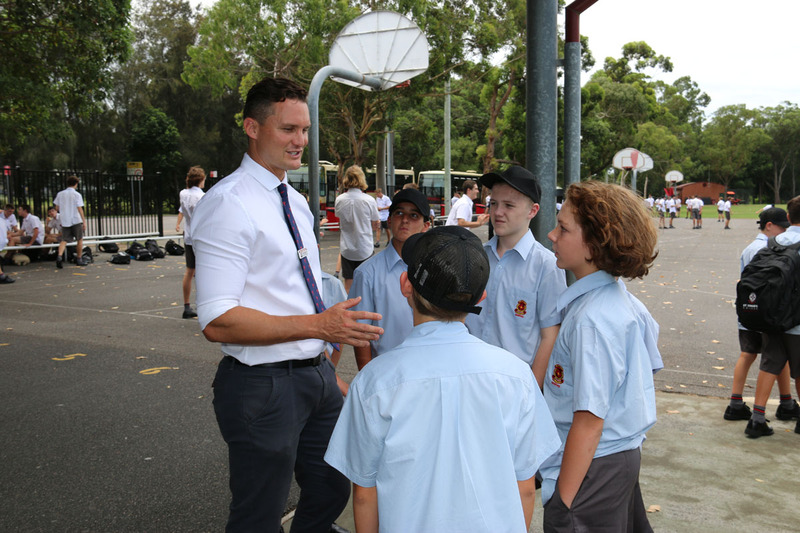 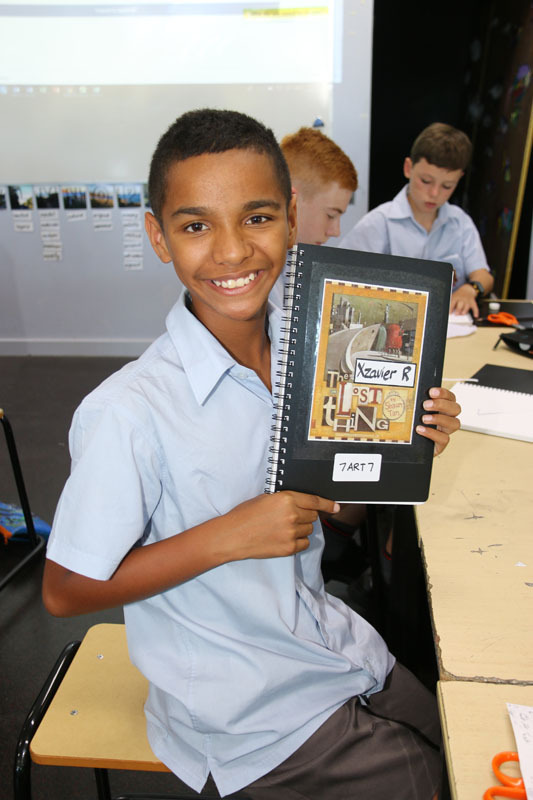 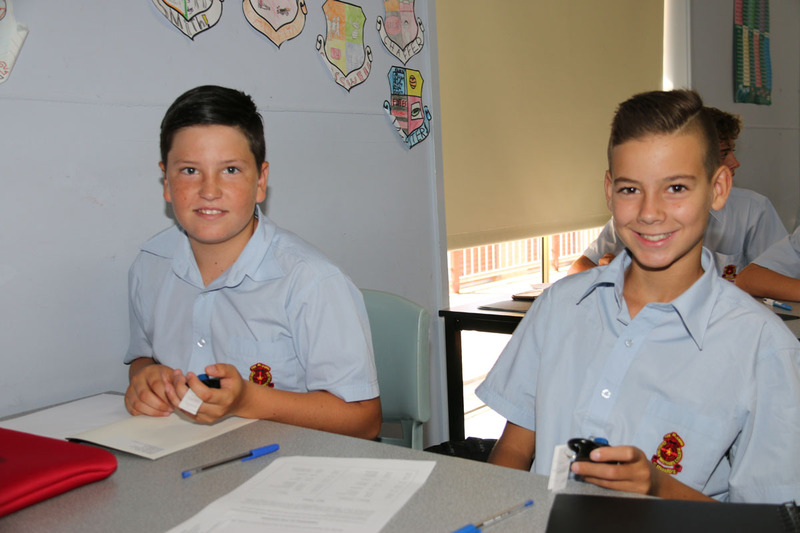 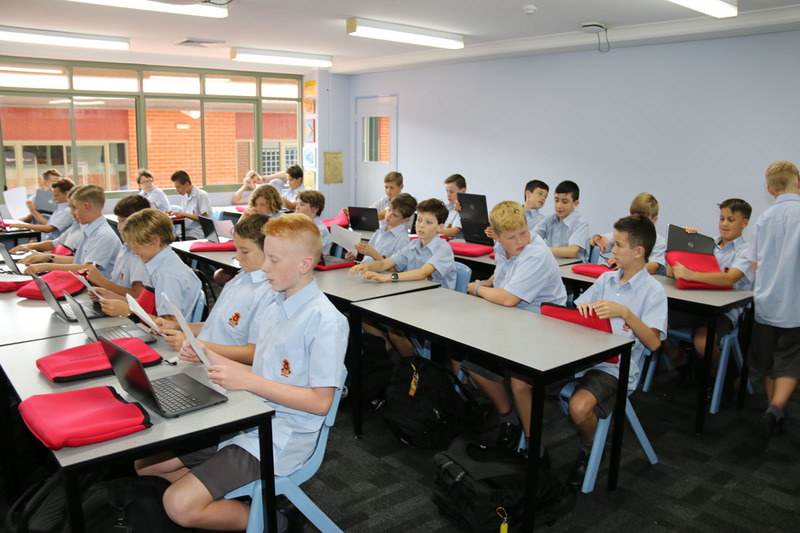 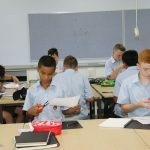 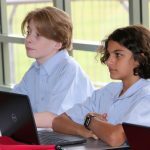 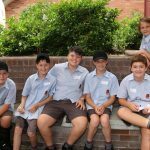 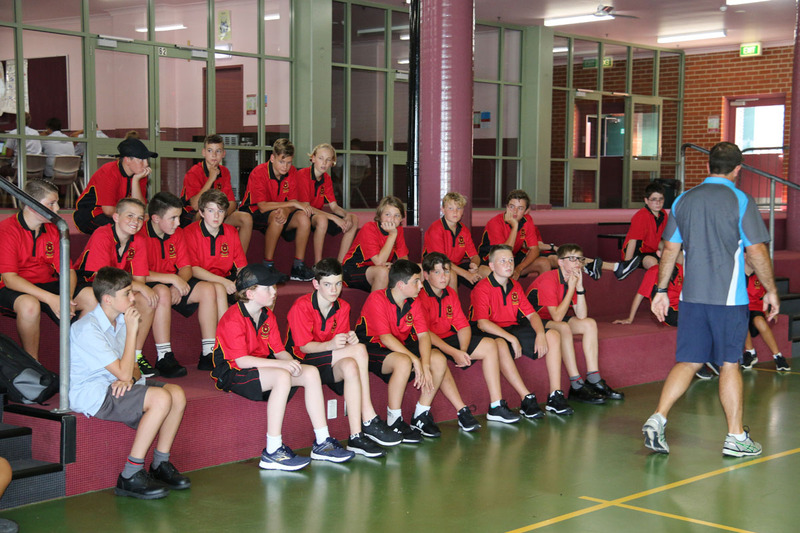 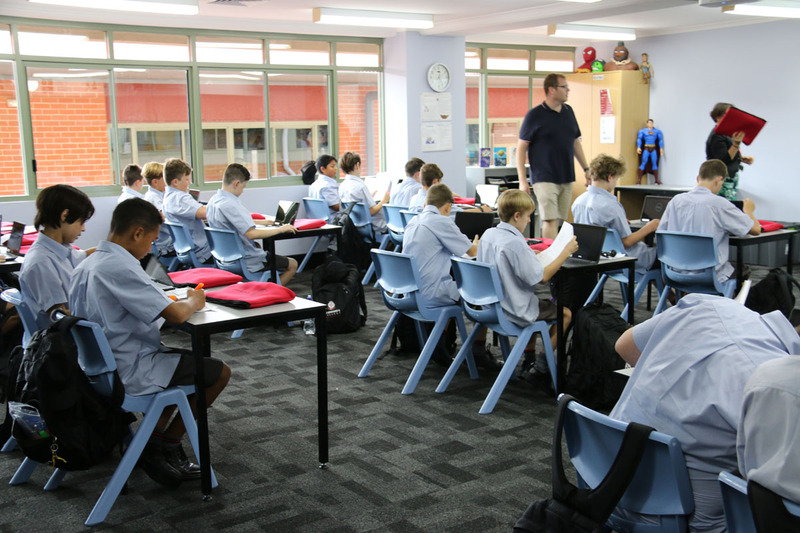 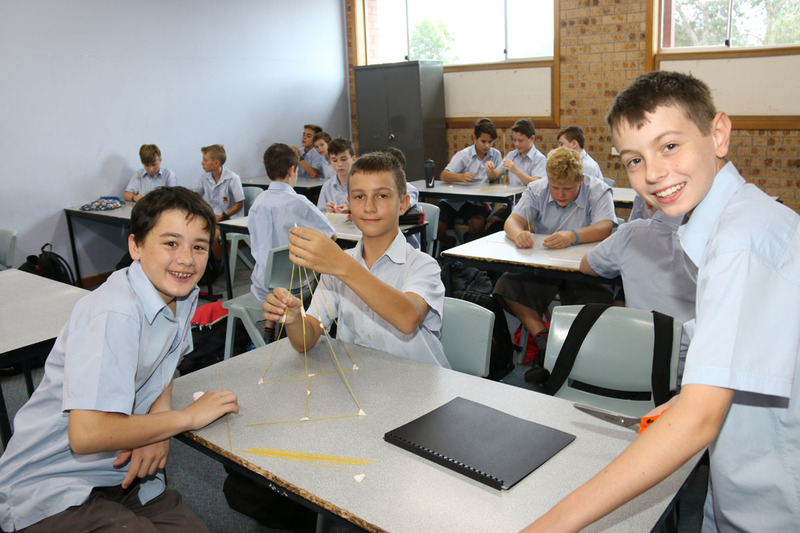 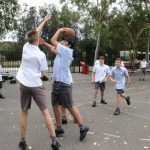 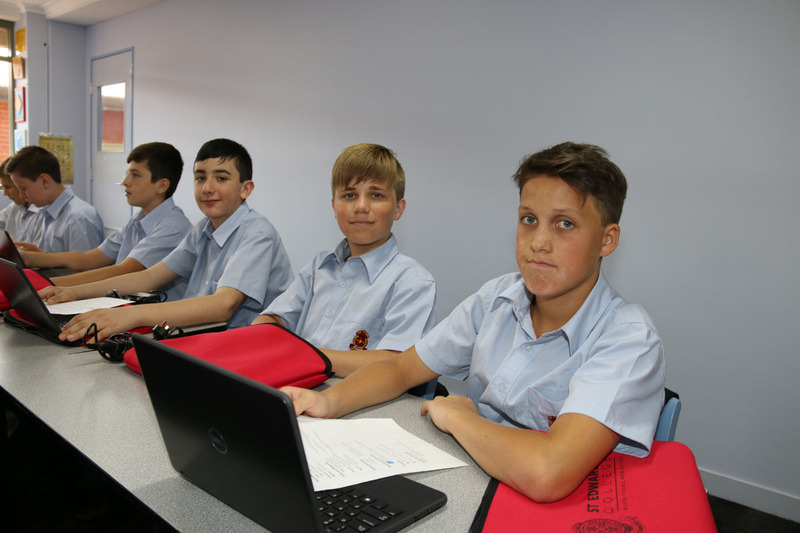 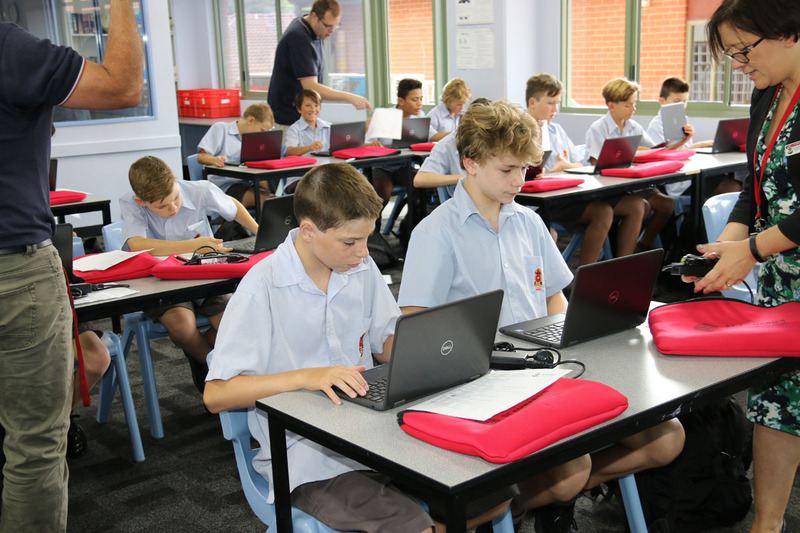 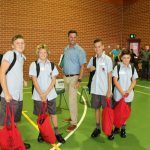 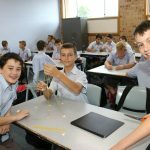 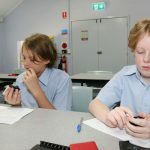 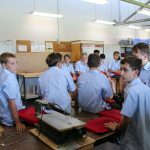 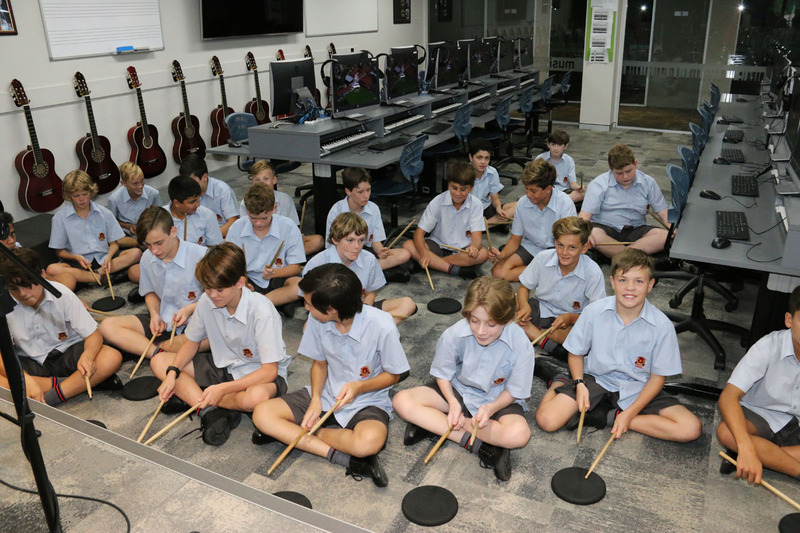 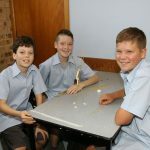 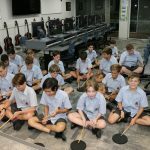 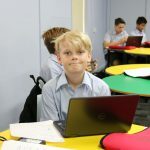 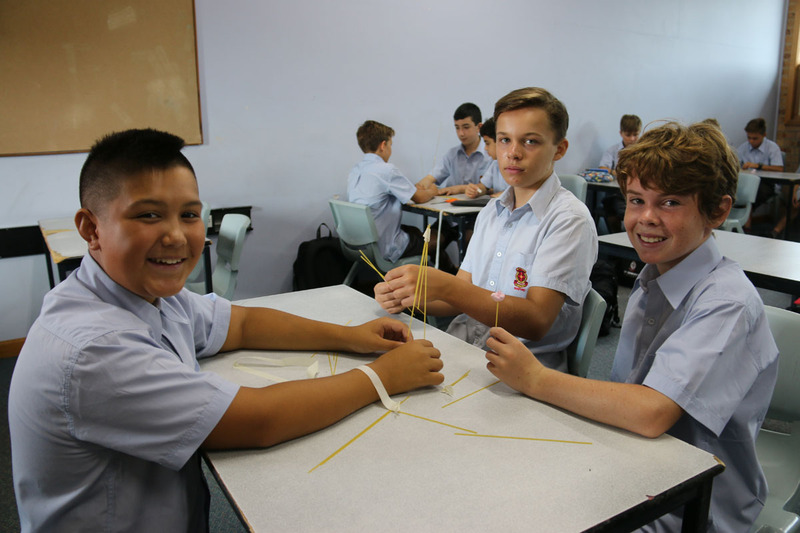 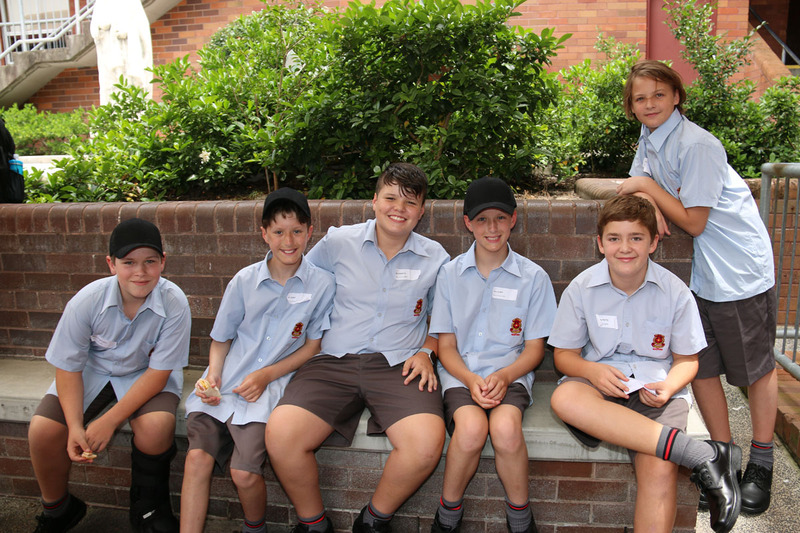 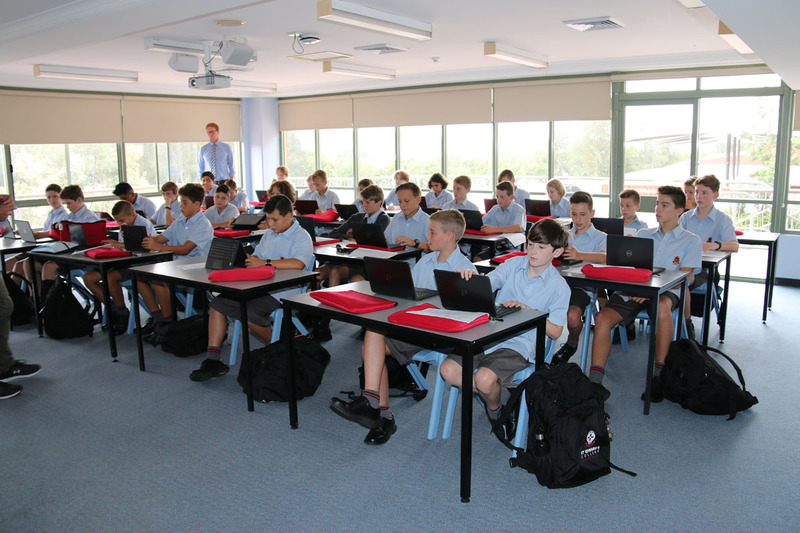 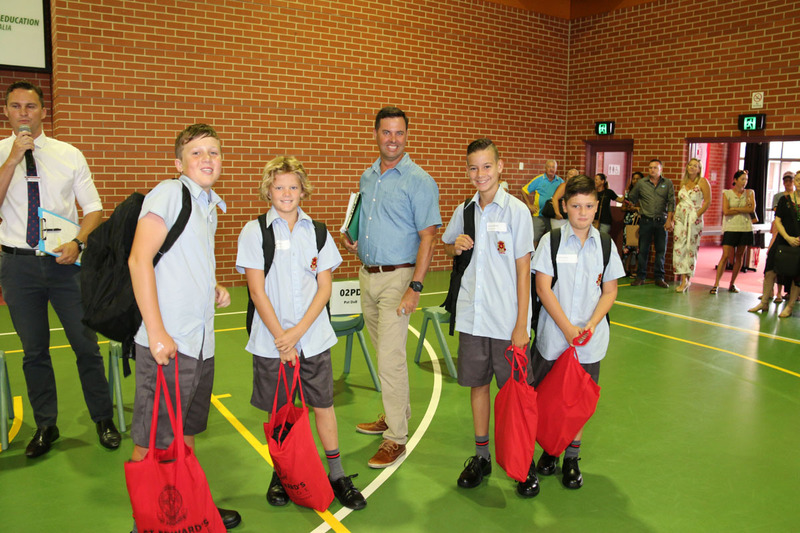 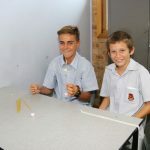 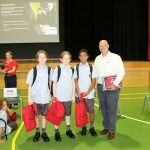 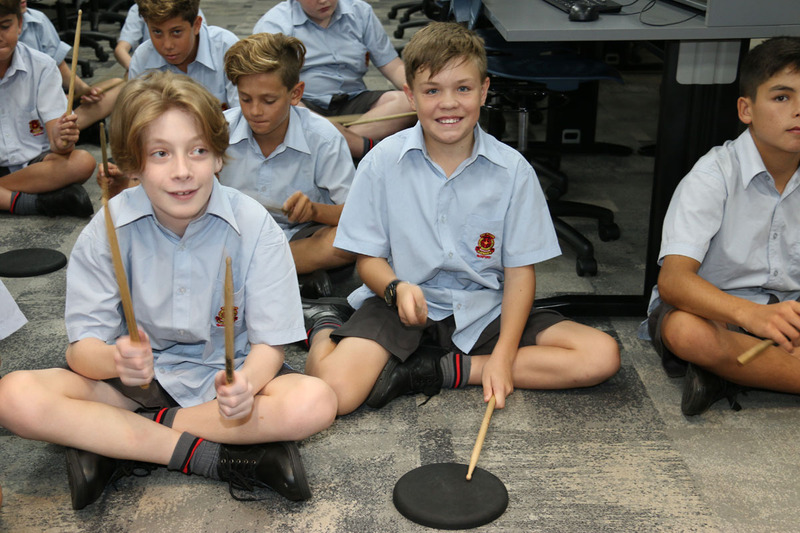 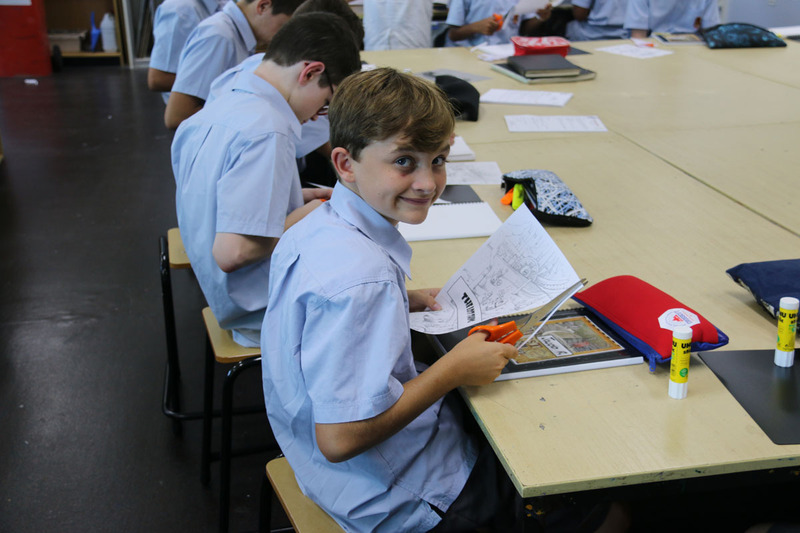 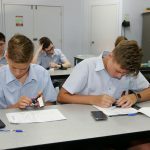 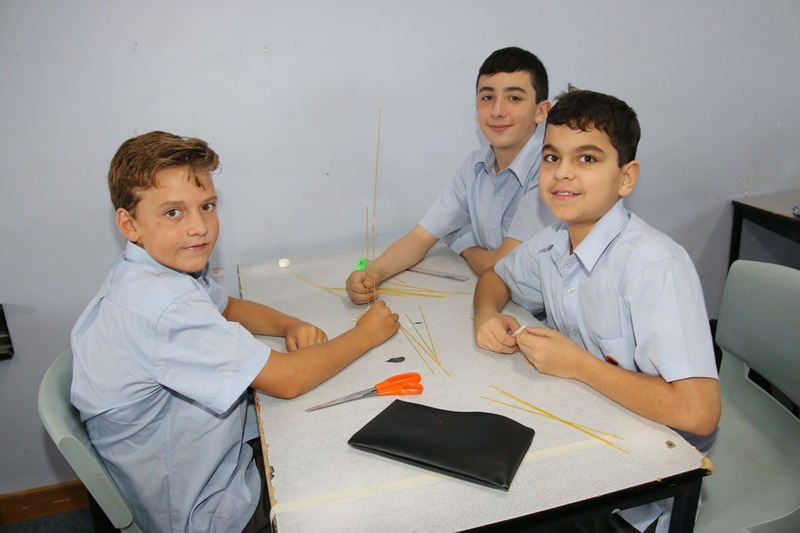 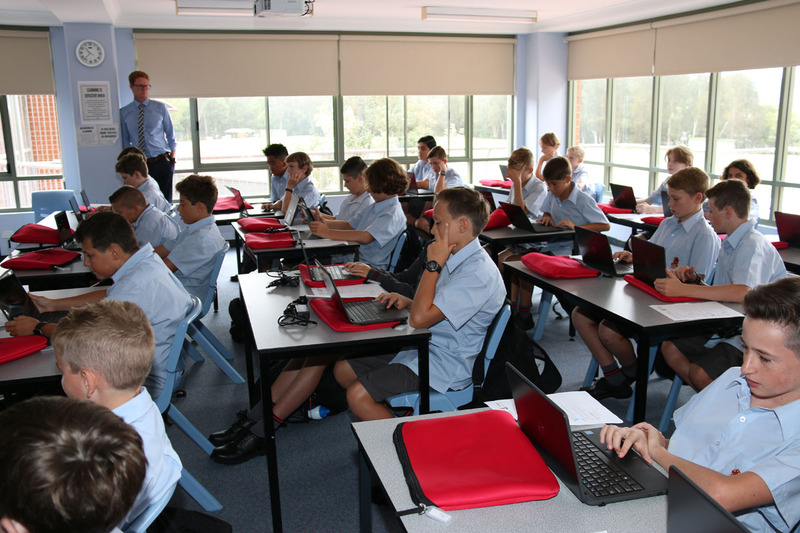 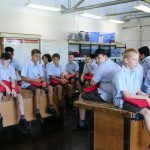 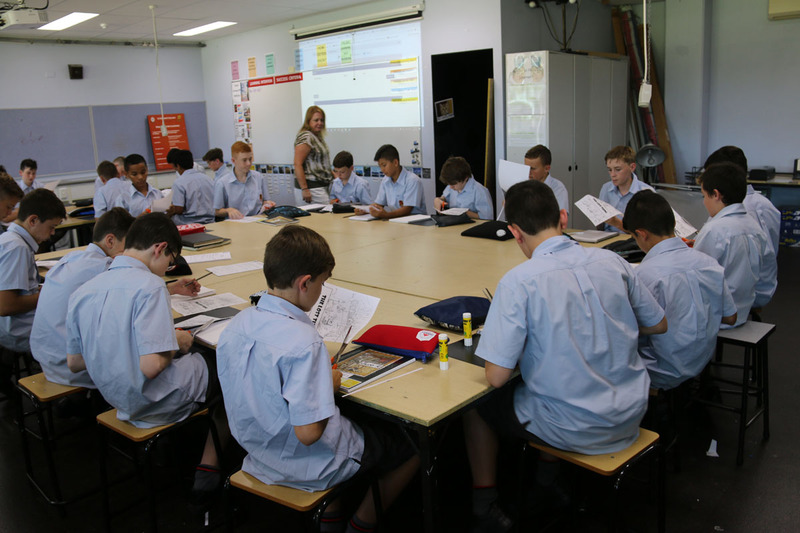 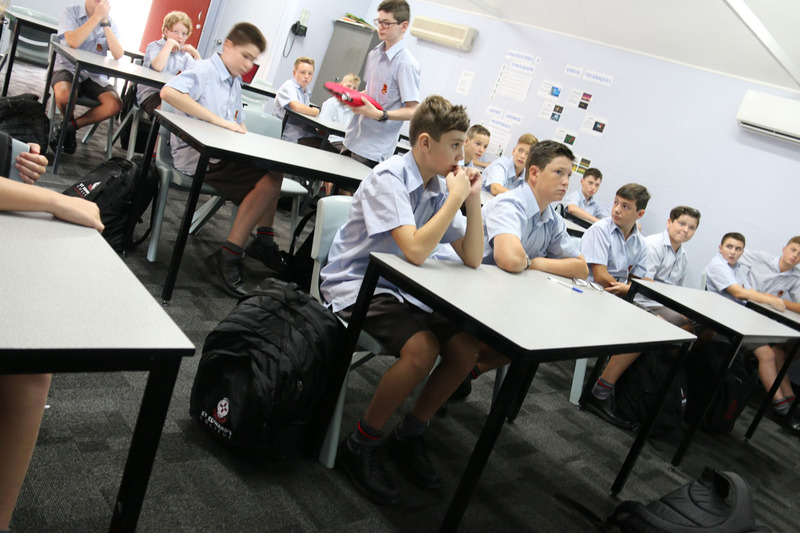 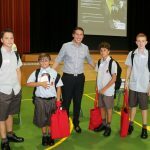 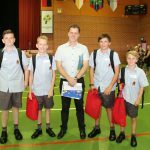 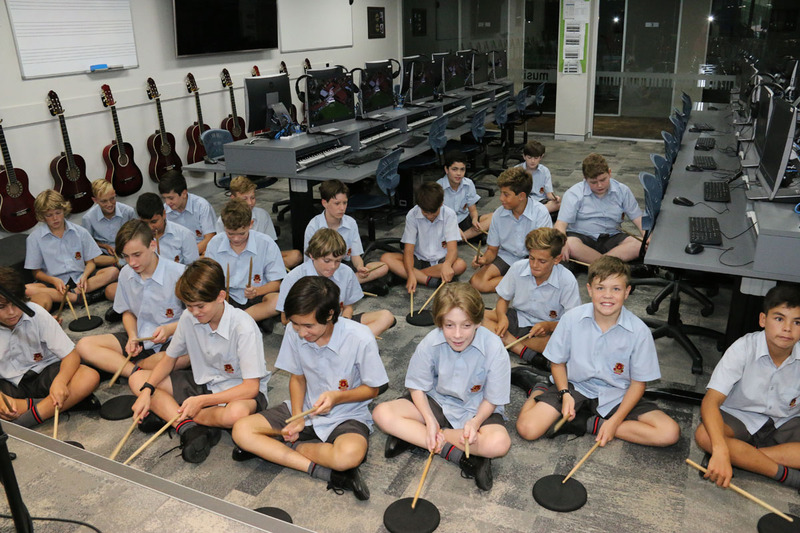 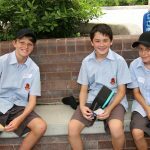 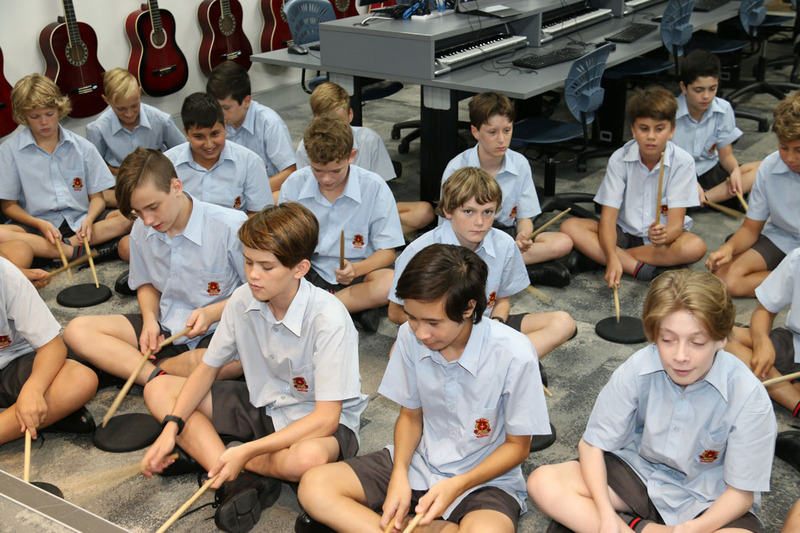 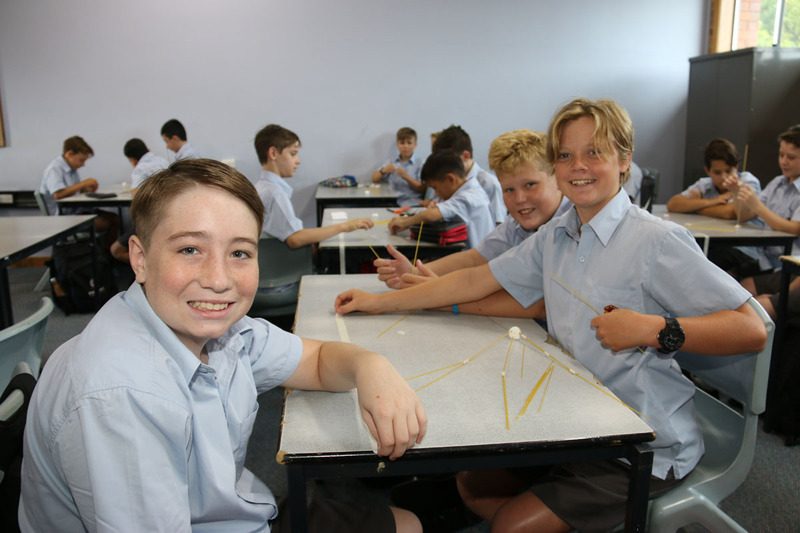 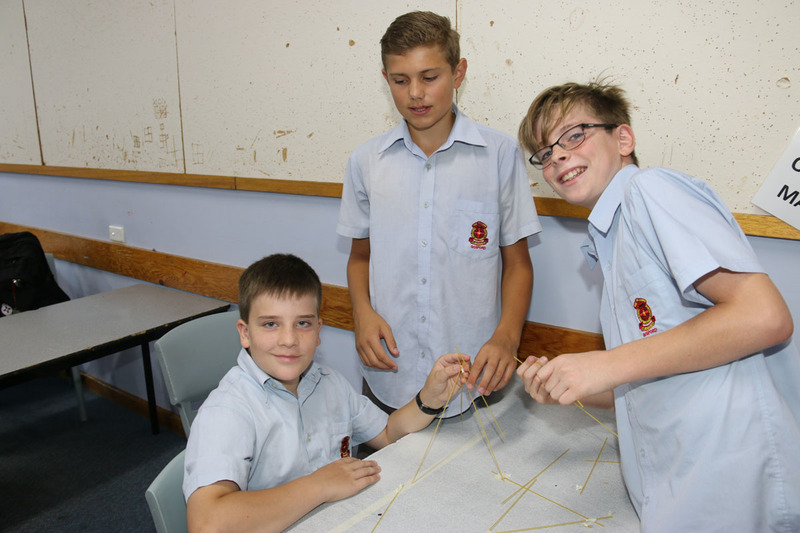 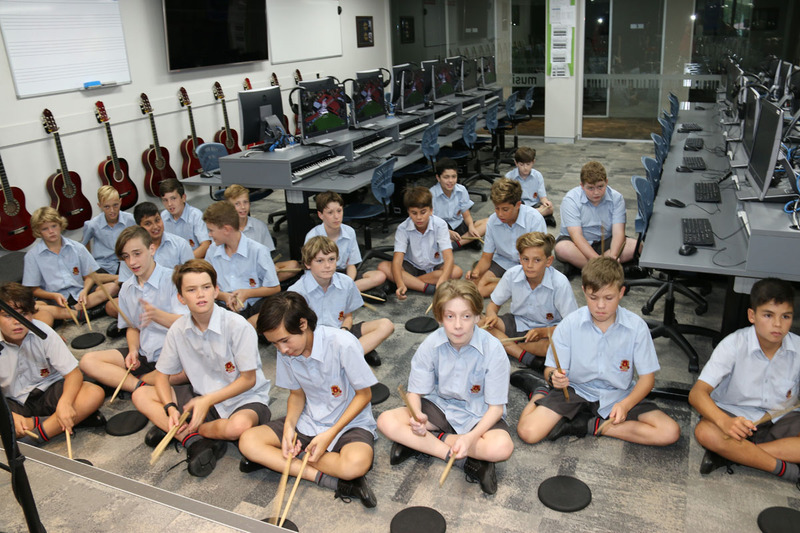 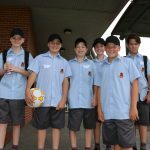 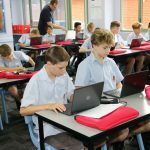 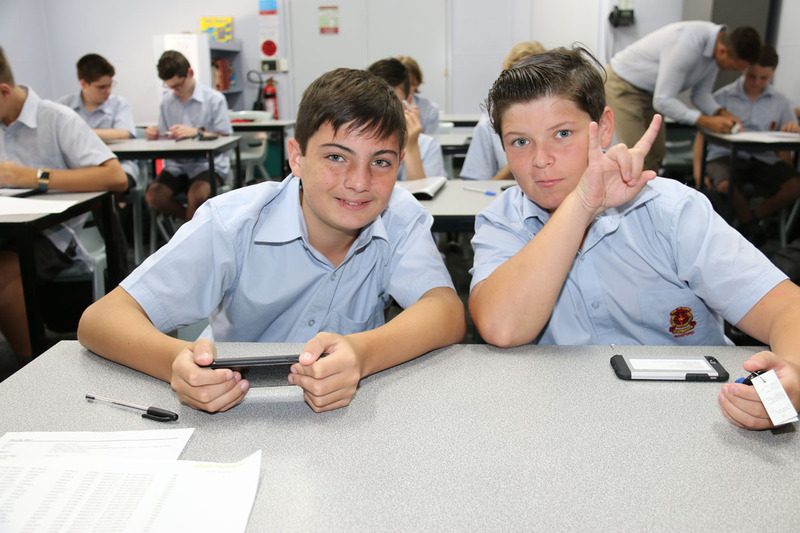 Throughout 2018, the teaching staff at the College devoted a great deal of professional learning time deepening our understanding of how we can continue to challenge our boys to be the best they can be. 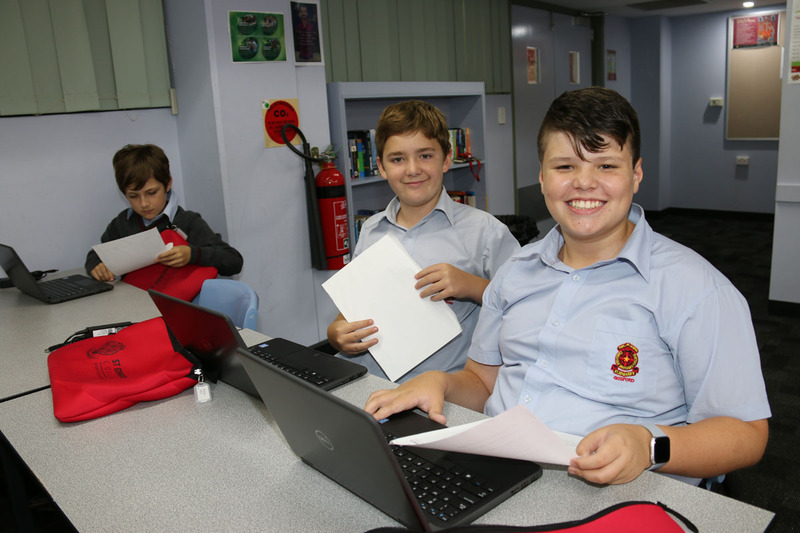 This professional learning included conducting research on what learning looks like at St Edward’s, to ensure that we can continue to provide the best possible holistic education which nurtures and inspires boys to achieve their personal best in all areas of their learning. 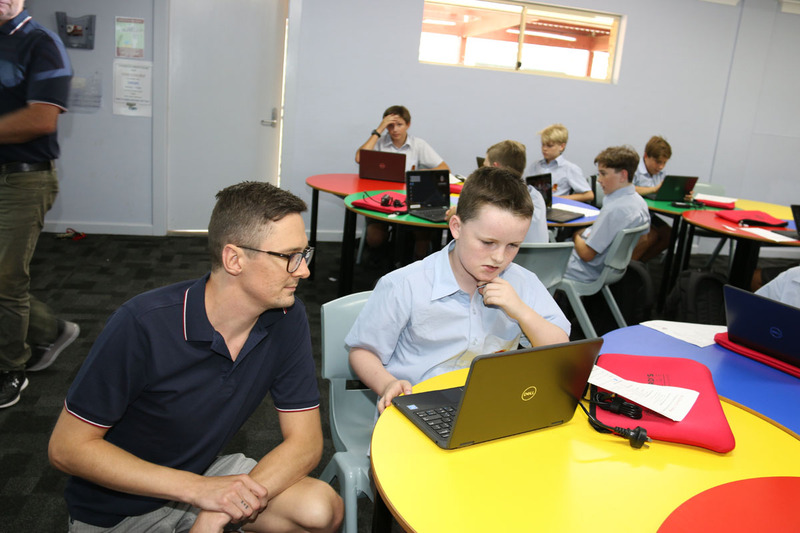 A key aspect of this professional learning and research focused on defining the vision of the learning environment that we are committed to providing. 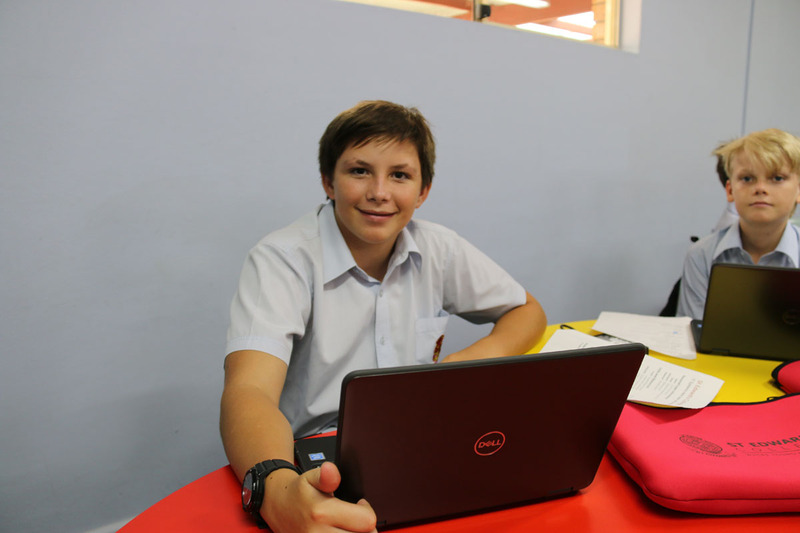 This vision is defined in our Aspiration Statement. 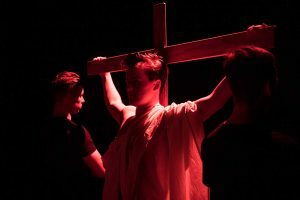 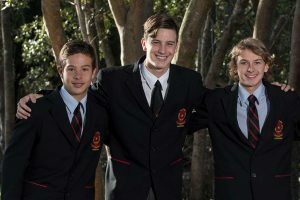 This statement is grounded in the four Edmund Rice Education Touchstones of Liberating Education, Gospel Spirituality, Justice and Solidarity, and Inclusive Community and provides the foundation that guides the work we do in working with families in building wonderful young men. 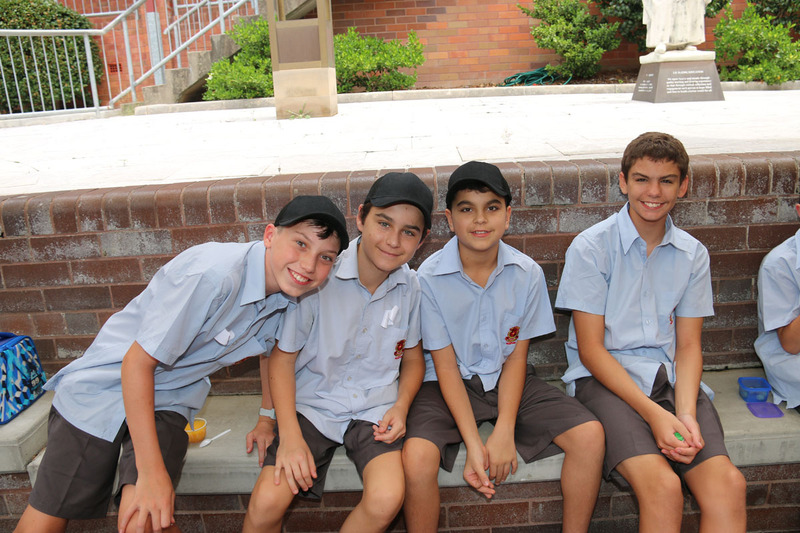 Young men who are themselves, aspirational about their future. 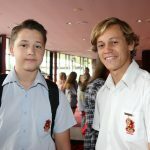 Young men who have a social conscious and are empowered to promote inclusivity, justice and solidarity within their community. 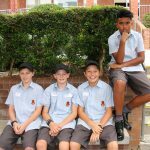 Young men who have developed the necessary knowledge, skills and attitudes to flourish in a world that is constantly changing. 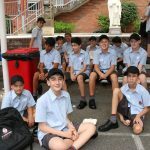 Young men who value the importance of respectful relationships and young men who are contemplative about their own spirituality and their relationship with God. 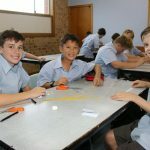 I present below the College’s Aspiration Statement. 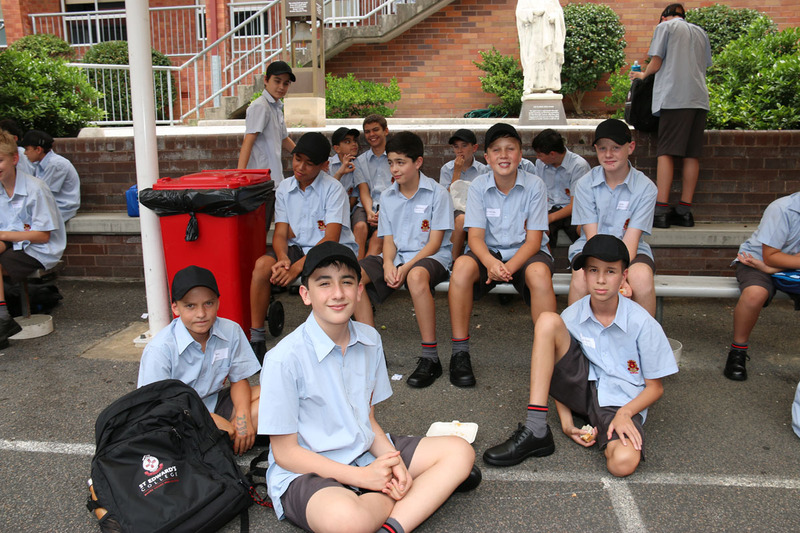 St Edward’s College is a faith-filled, community. 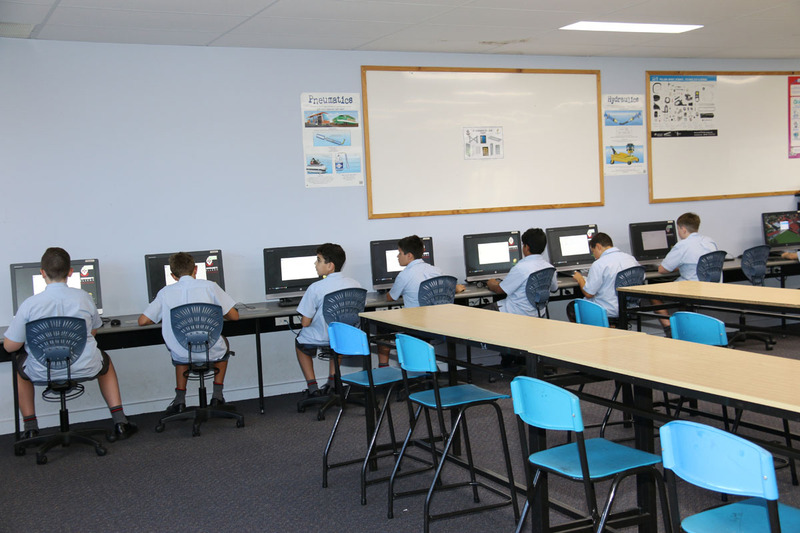 We are committed to growth and strive for equity and excellence. 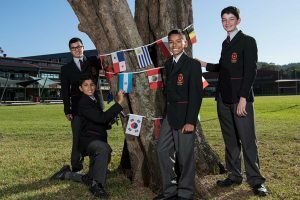 St Edward’s College promotes a safe and inclusive learning community, committed to fostering right relationships and the well-being of students and staff. 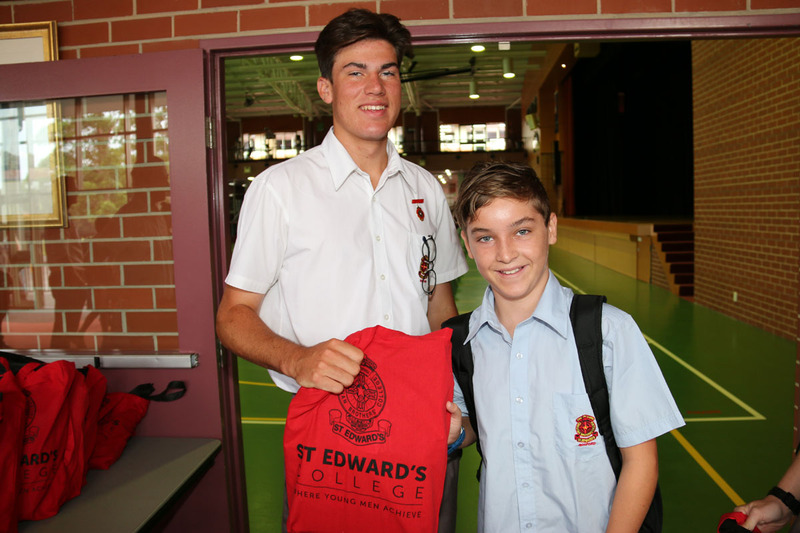 St Edward’s College inspires students to be compassionate, curious, respectful and autonomous learners. 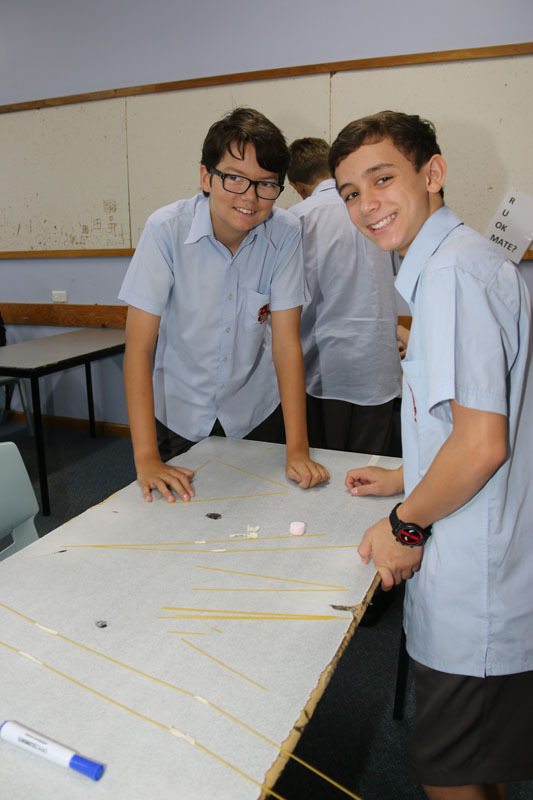 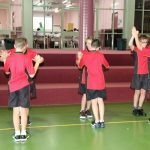 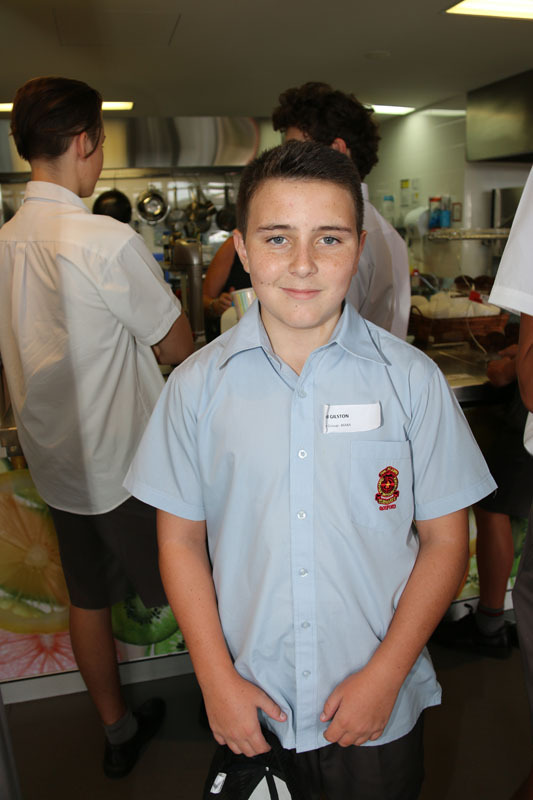 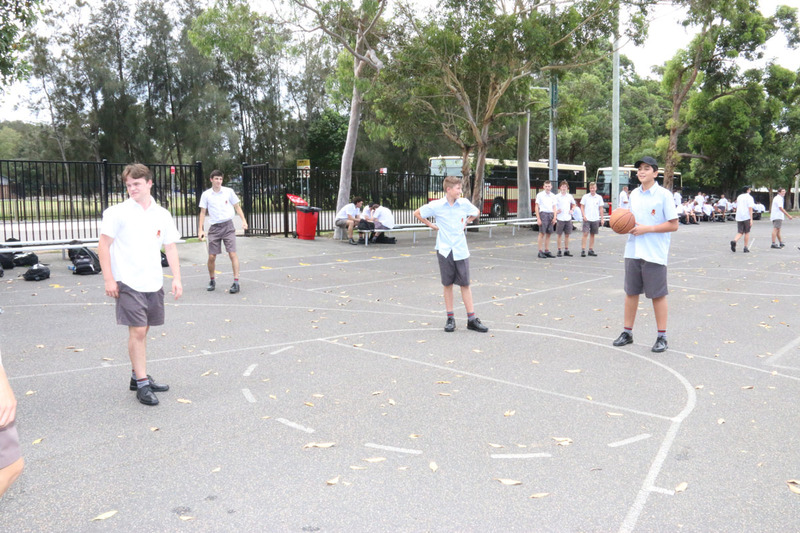 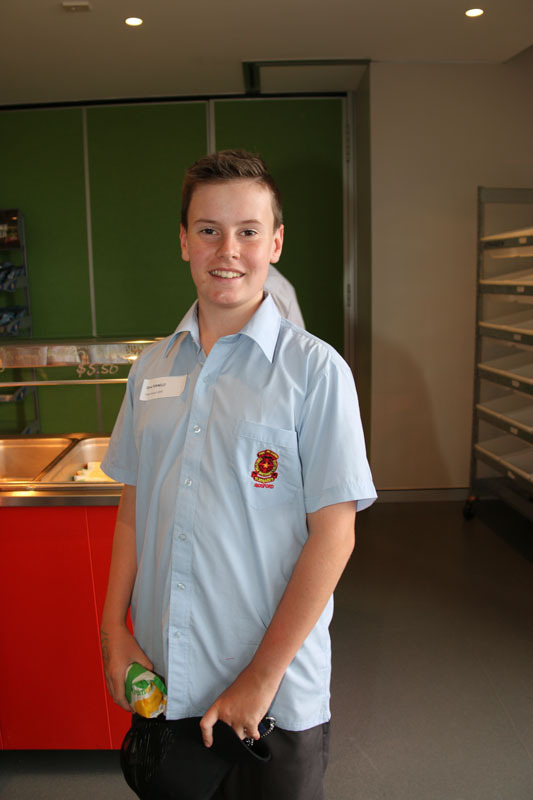 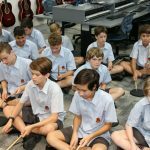 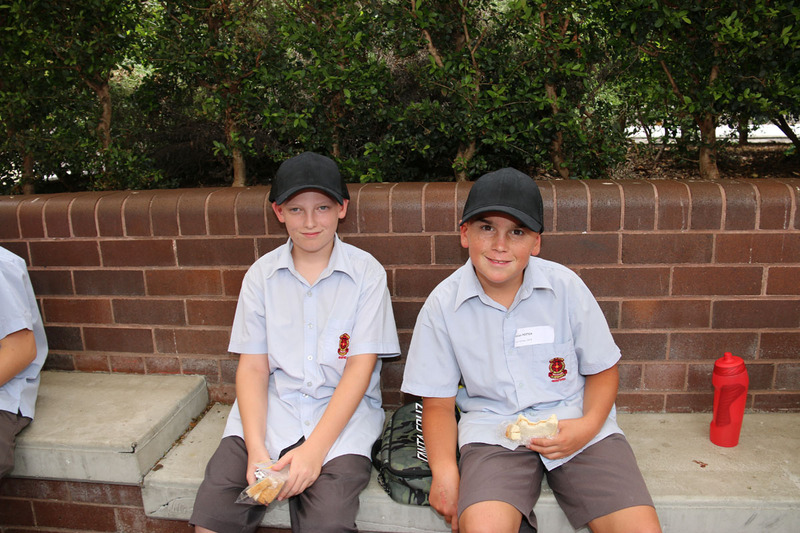 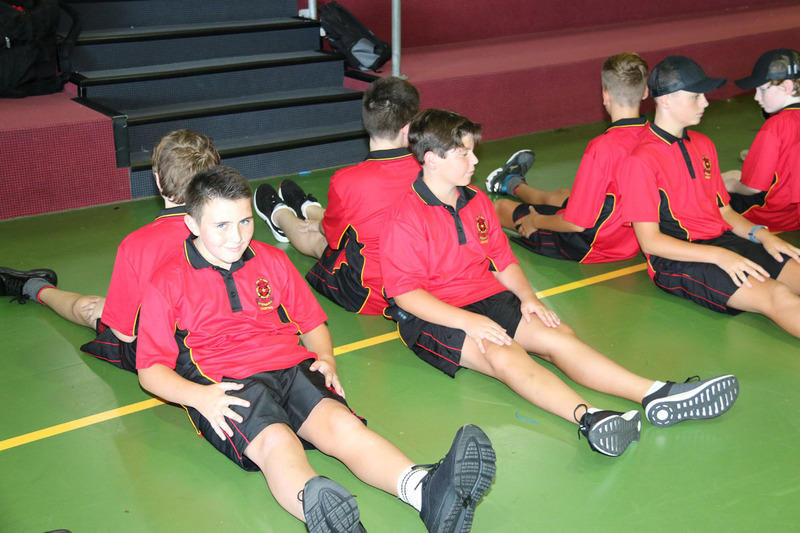 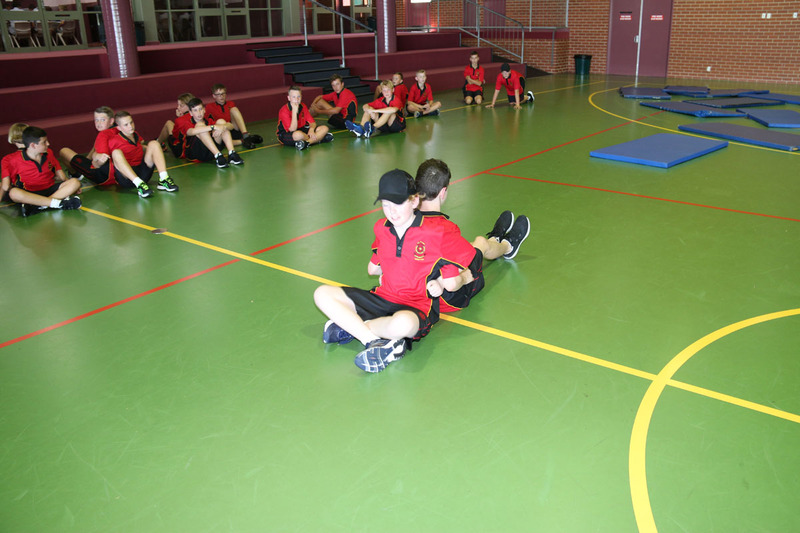 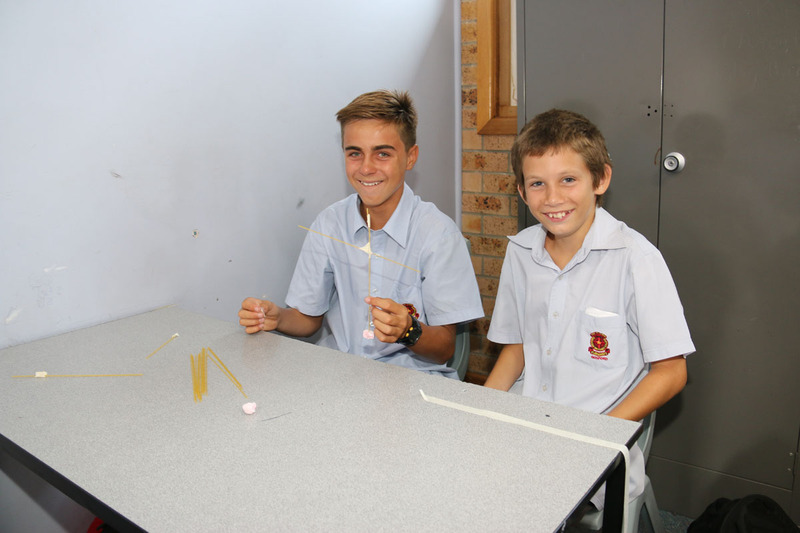 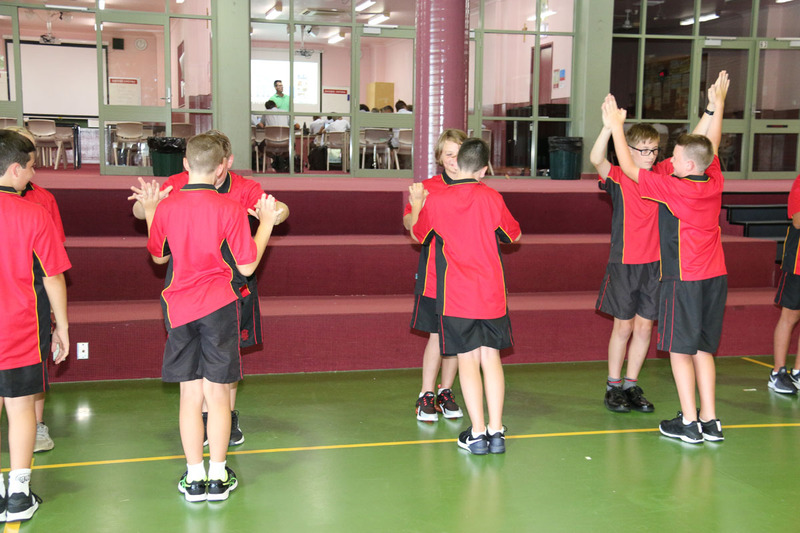 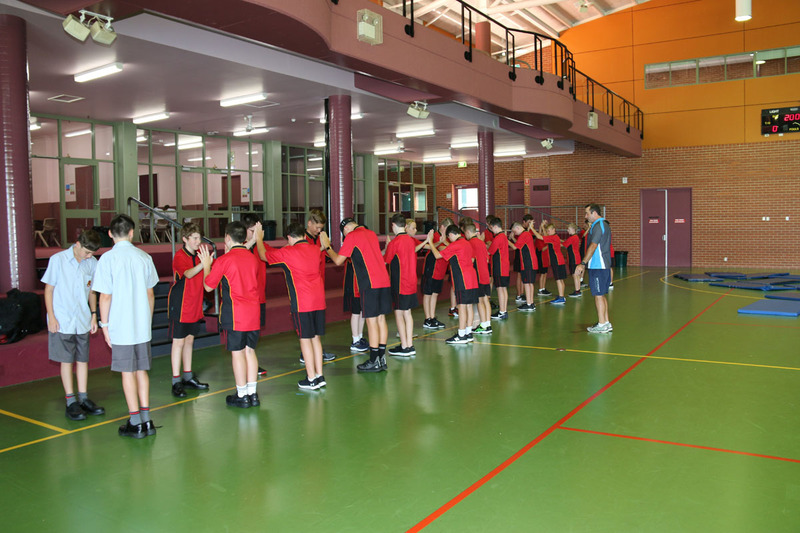 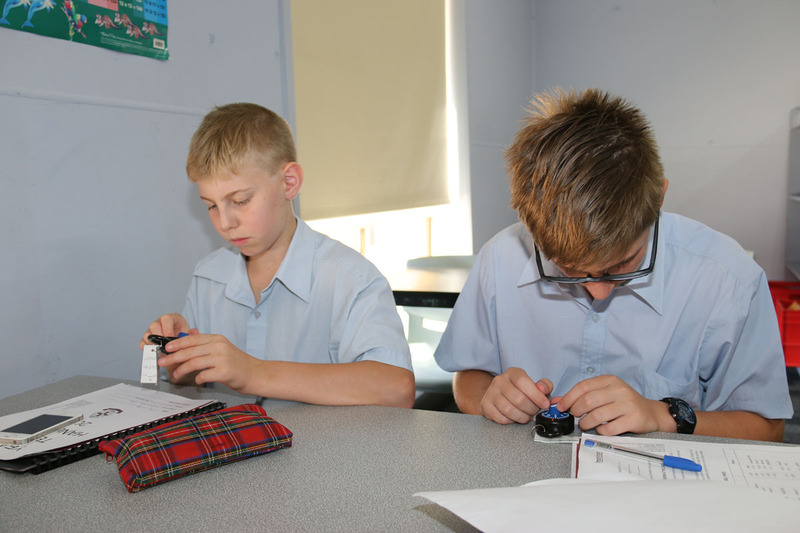 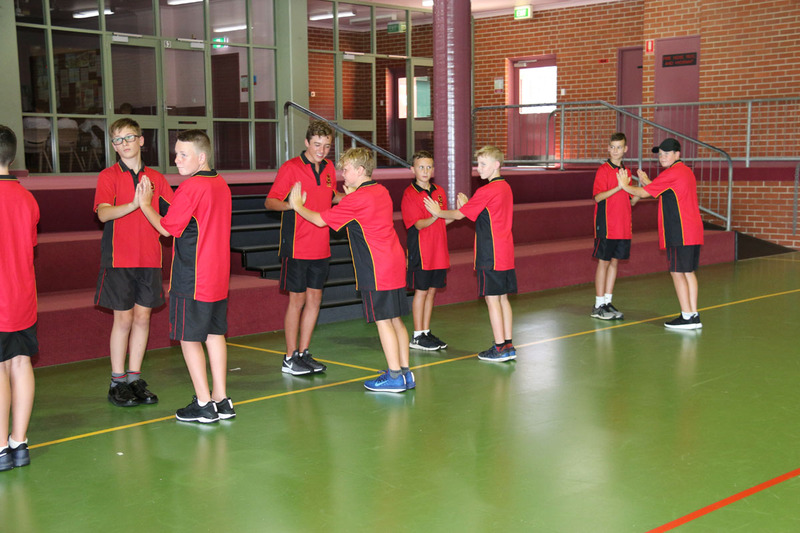 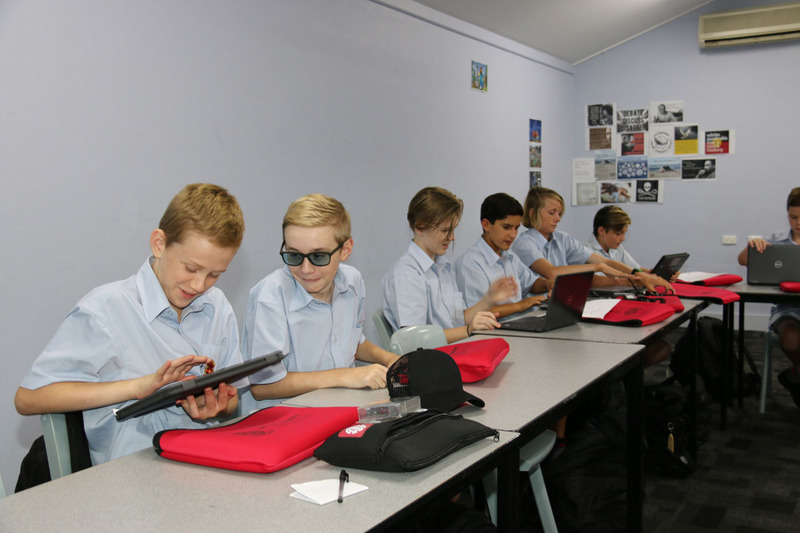 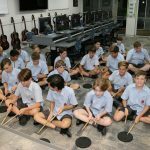 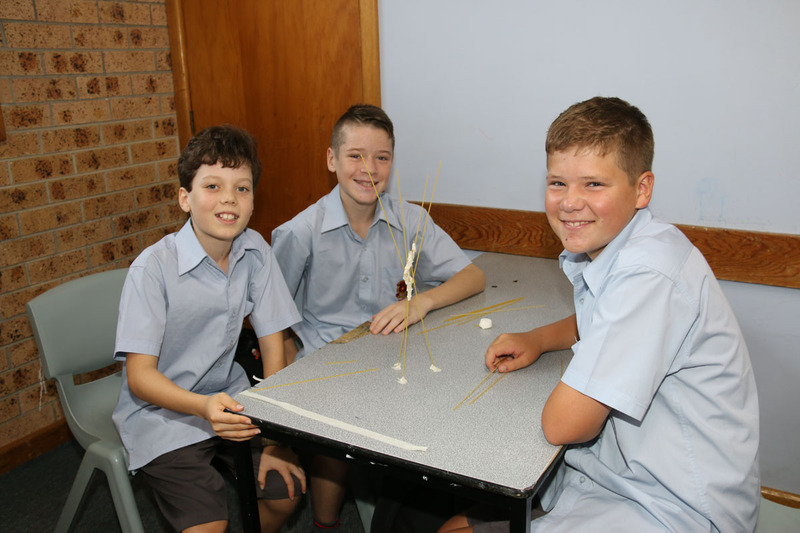 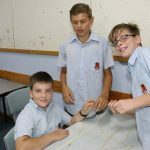 St Edward’s College students demonstrate resilience, discipline and perseverance on their learning journey. 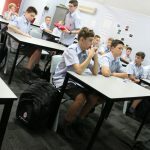 This statement will continue to be the basis upon which we plan to work with the young men in our care. 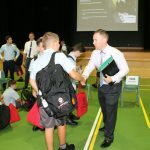 I look forward throughout the year to continue to report on the many wonderful ways in which staff and students work together in achieving these aspirations. 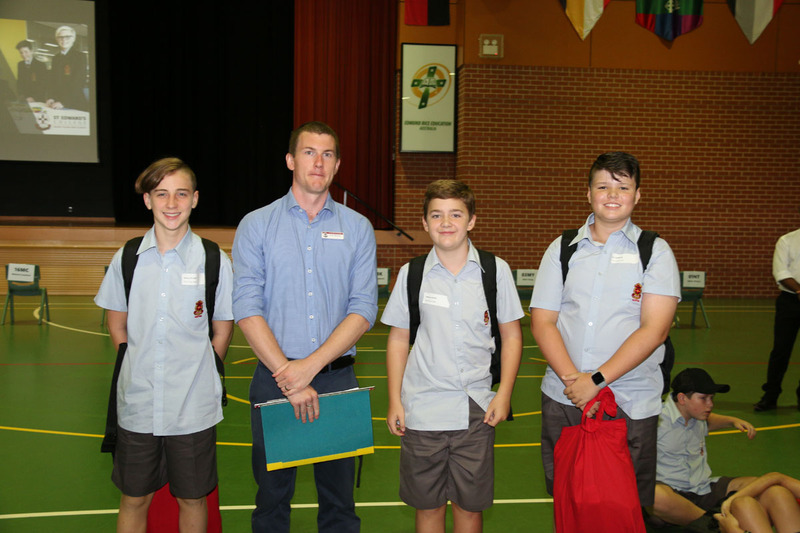 We welcomed a number of new permanent and temporary staff to St Edward’s at the start of 2019. 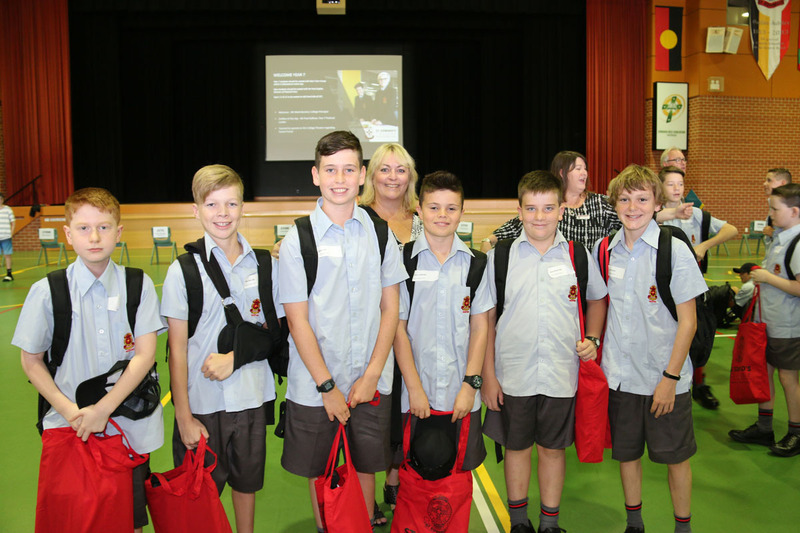 It is with great pleasure that I introduce them to the community, and we wish them well for the exciting years that lie ahead. 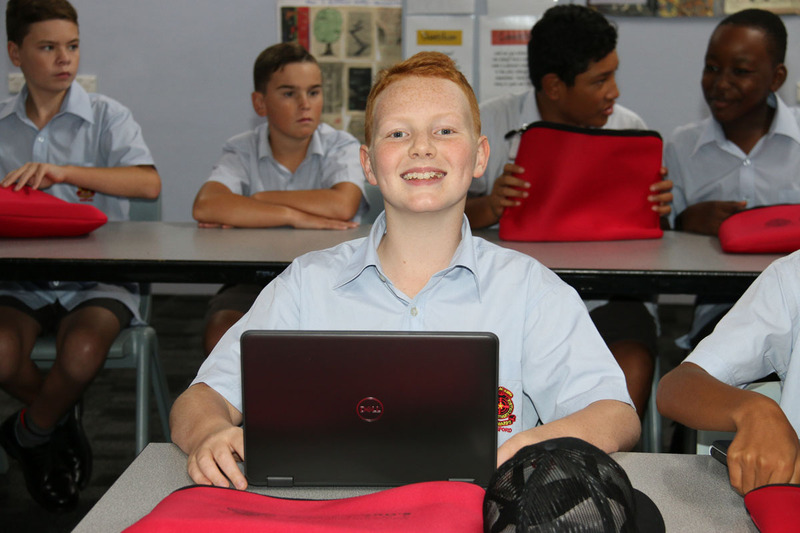 There is a great deal to celebrate about the results achieved by individual students, individual subjects and the 2018 HSC cohort as a whole. 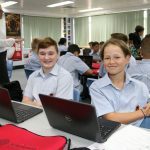 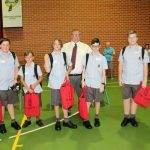 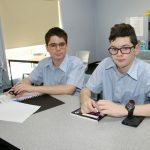 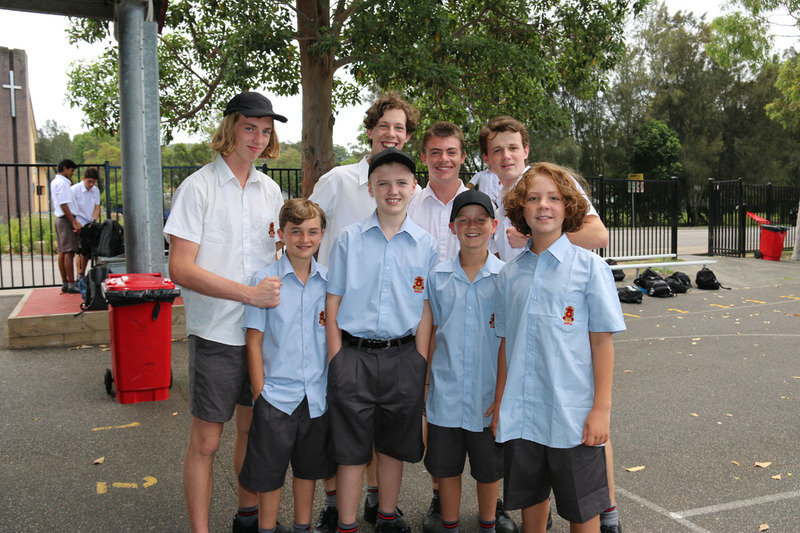 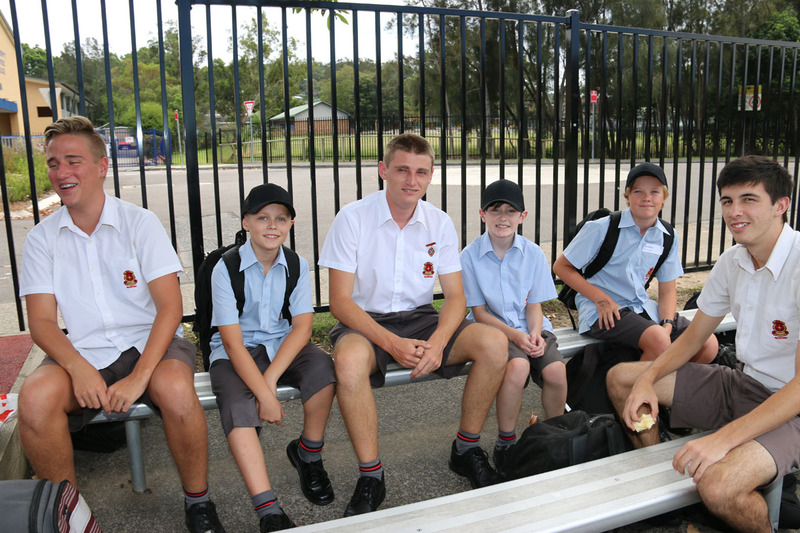 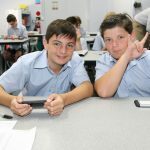 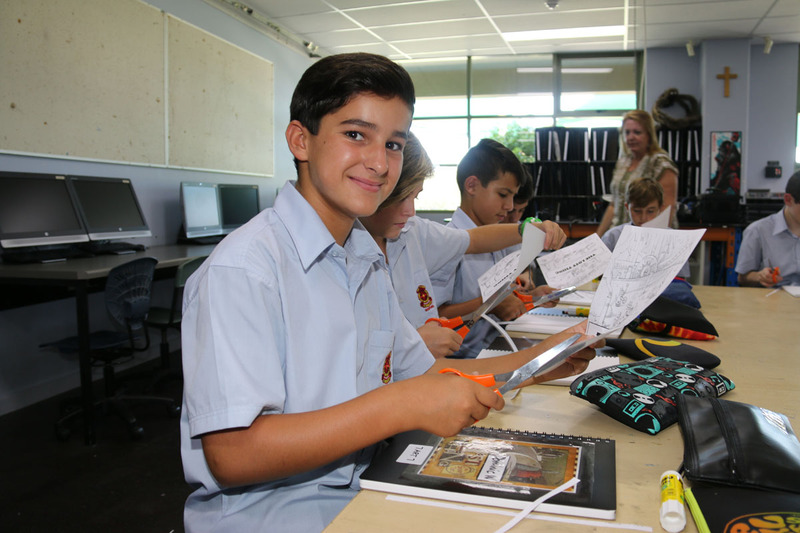 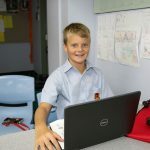 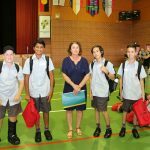 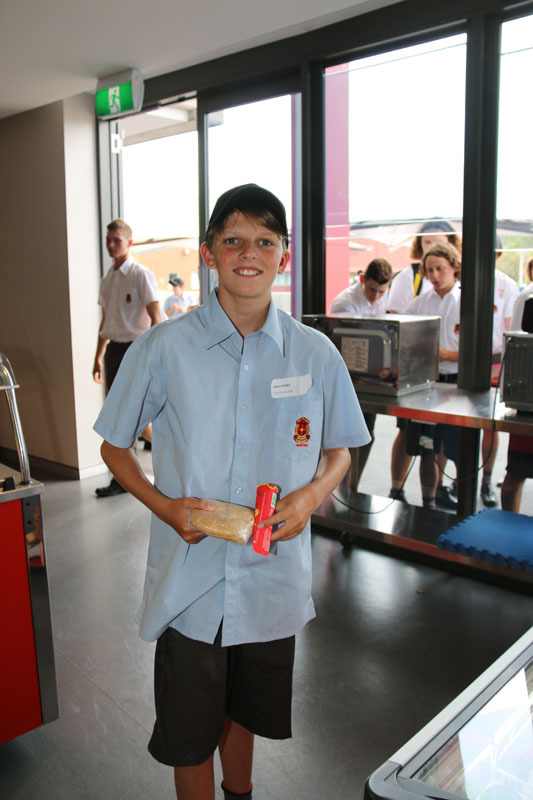 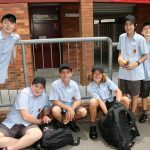 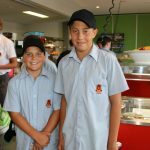 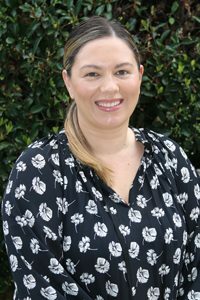 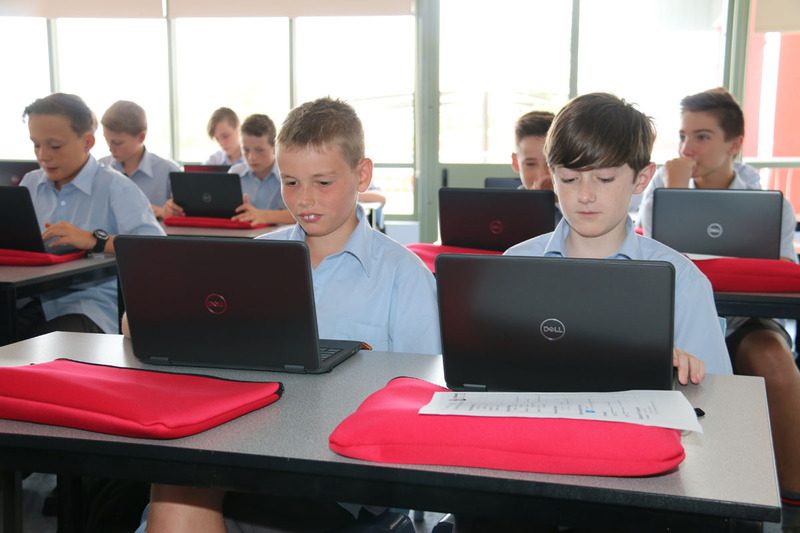 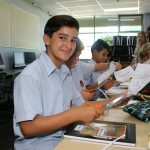 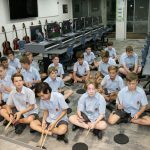 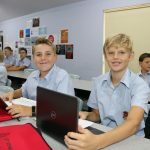 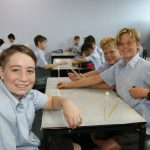 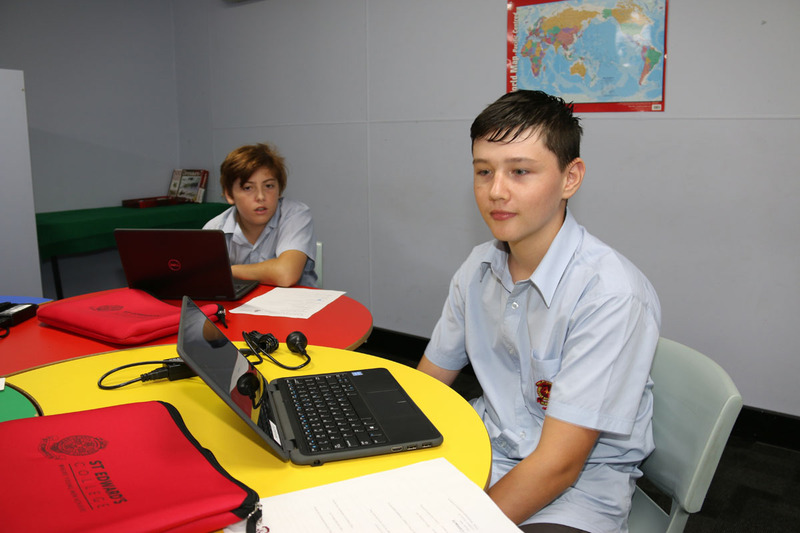 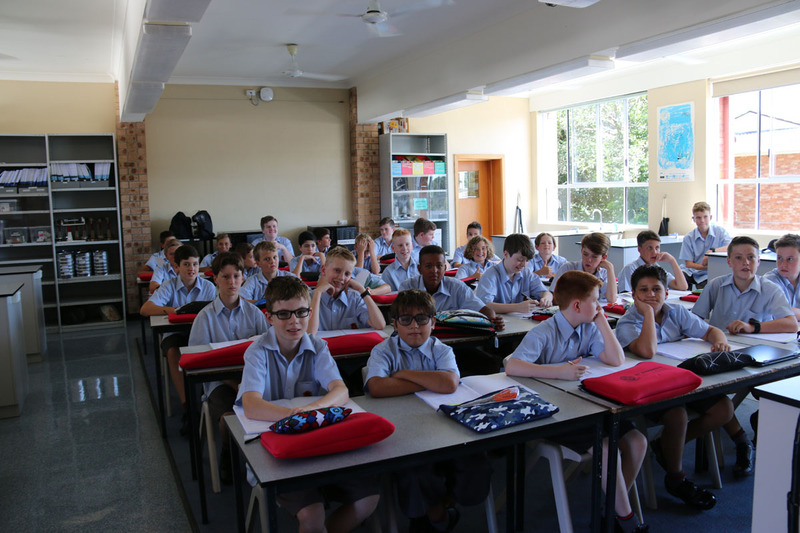 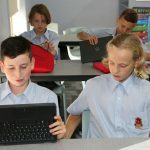 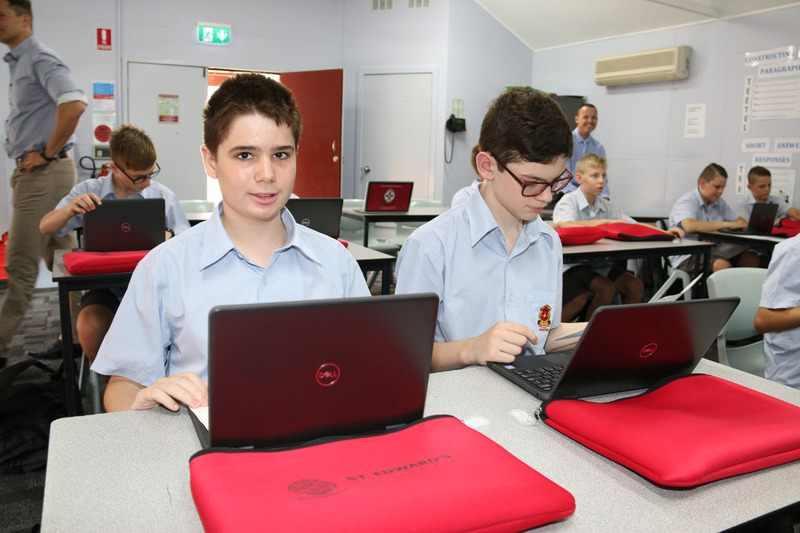 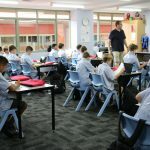 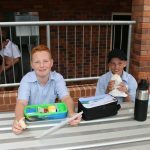 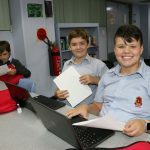 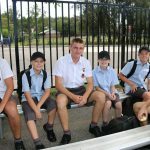 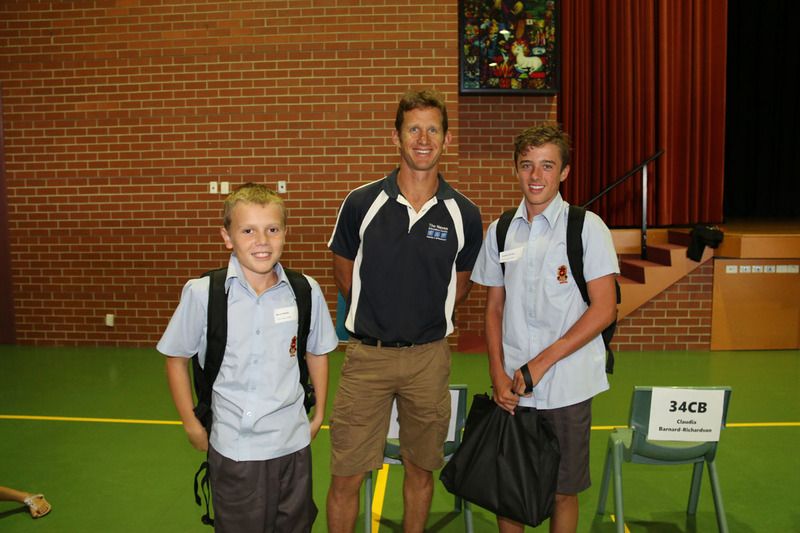 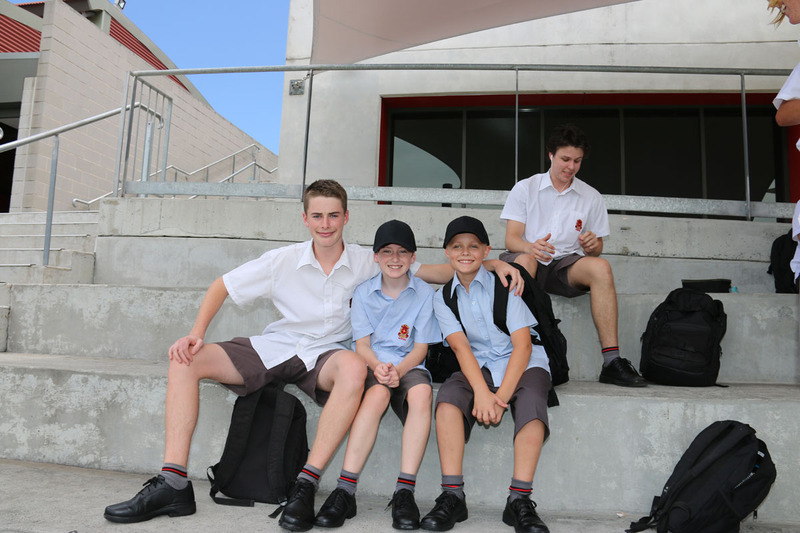 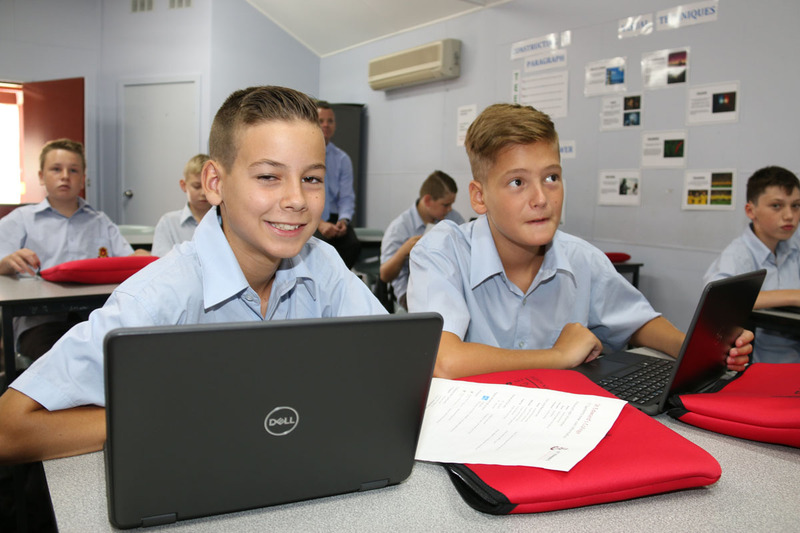 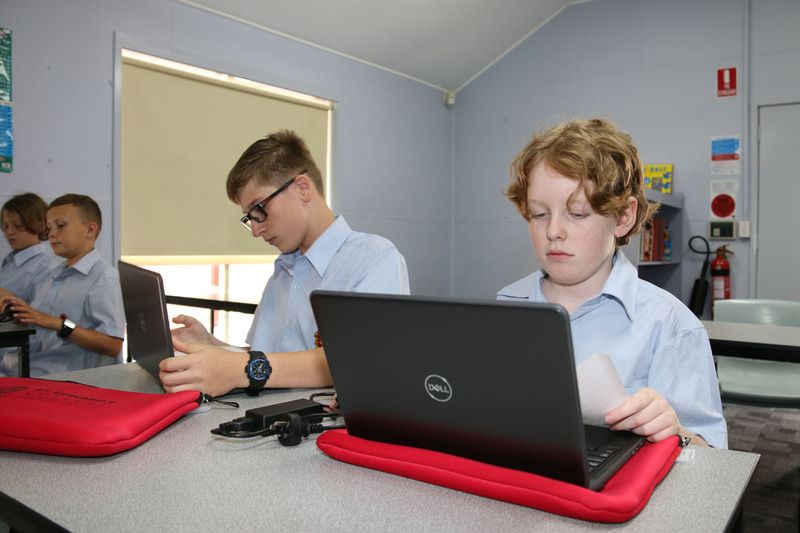 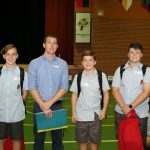 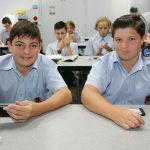 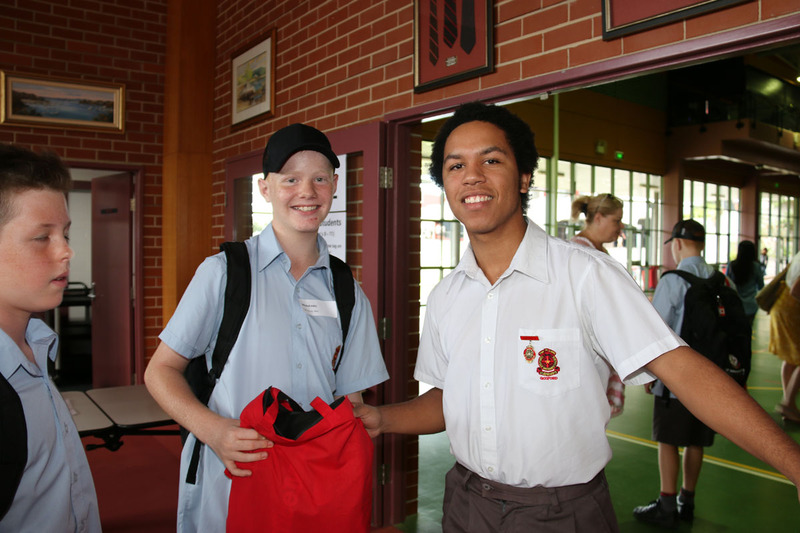 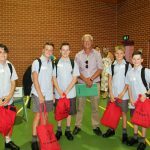 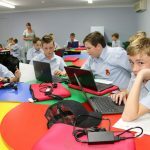 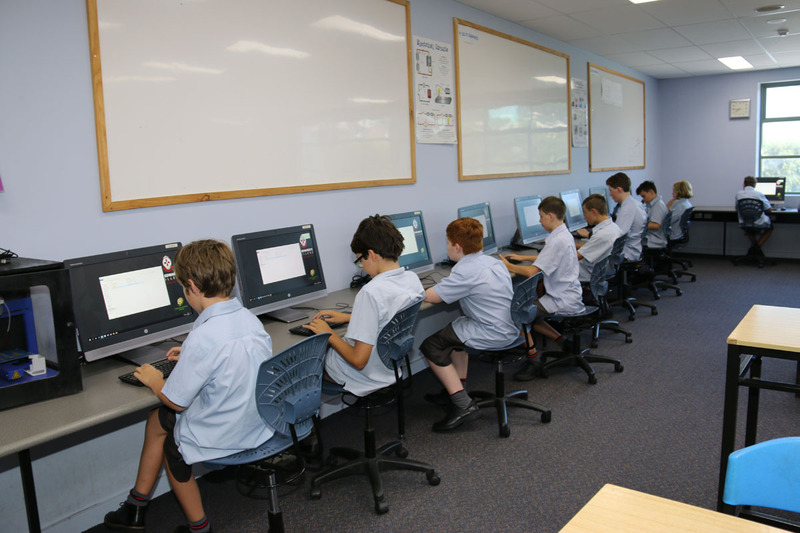 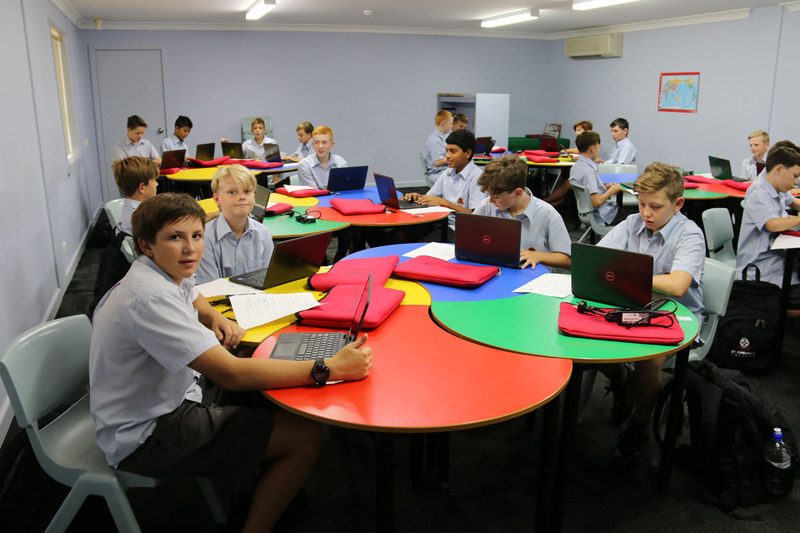 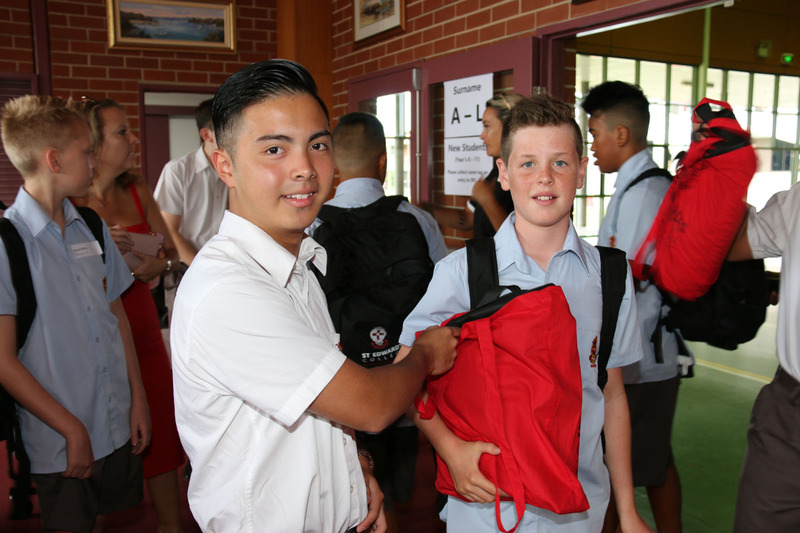 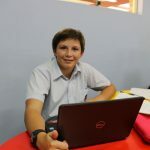 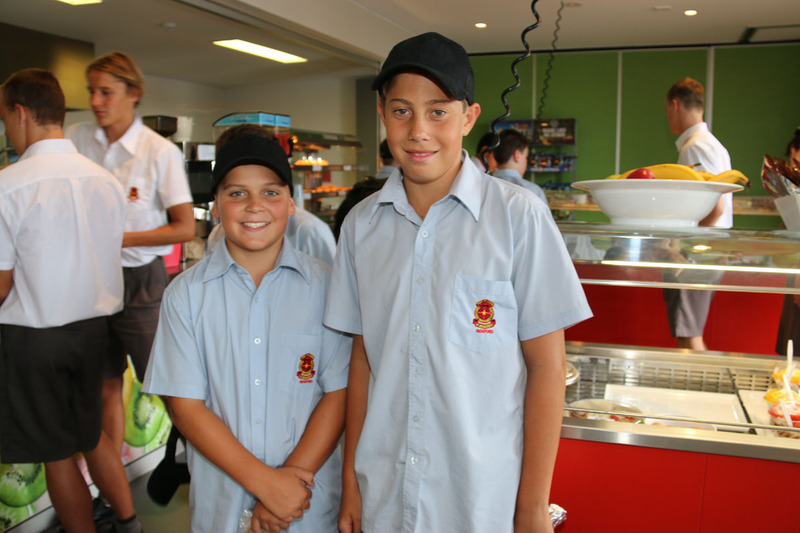 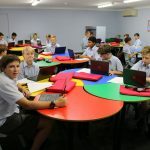 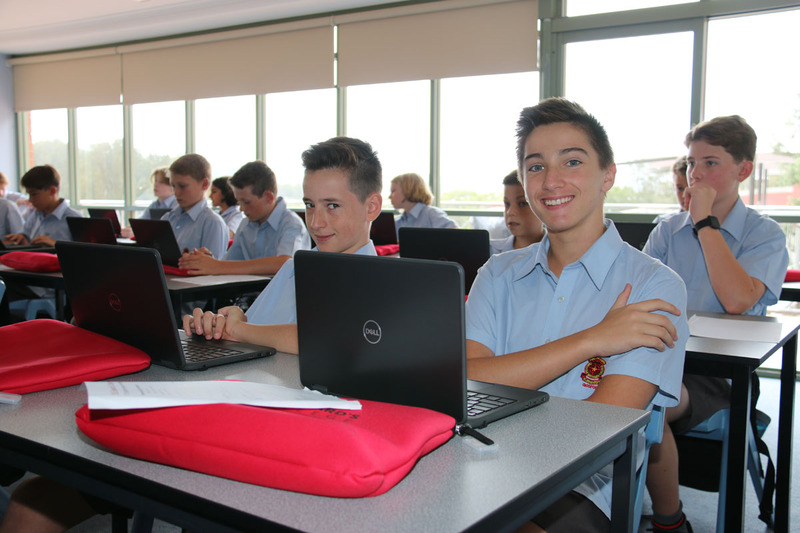 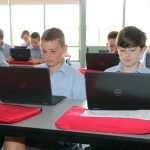 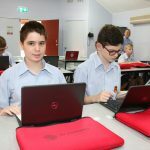 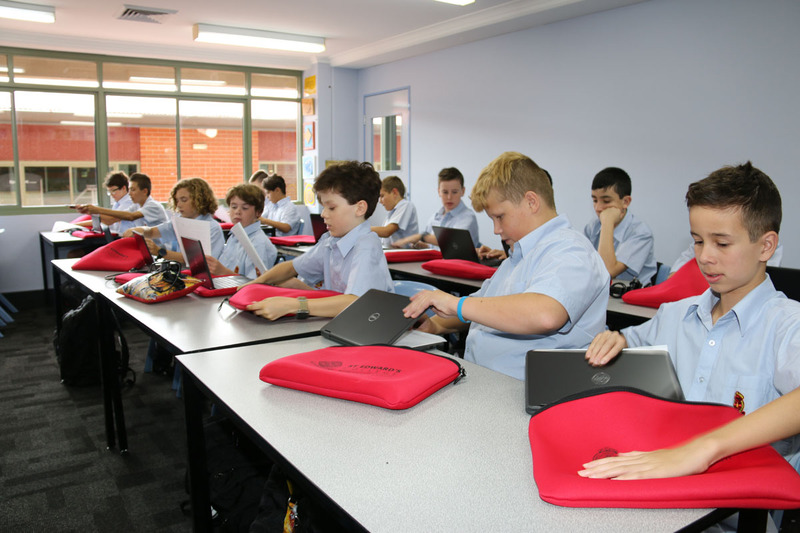 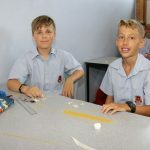 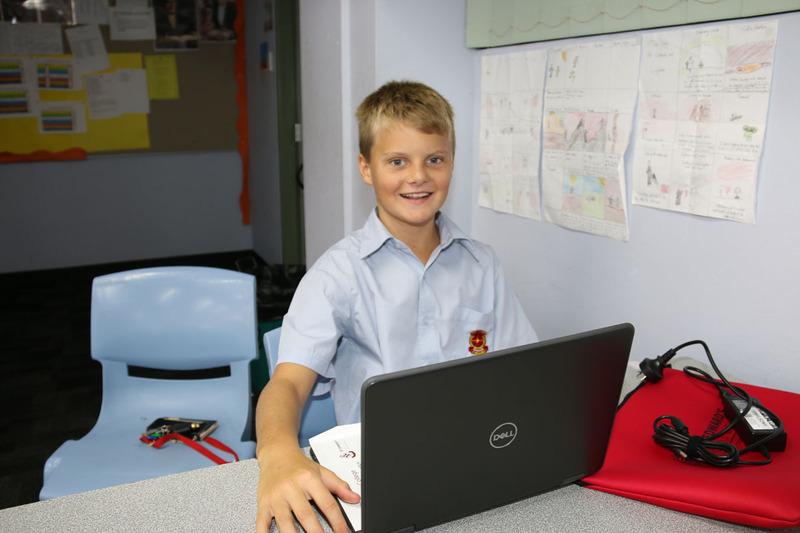 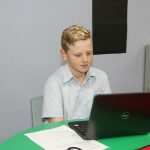 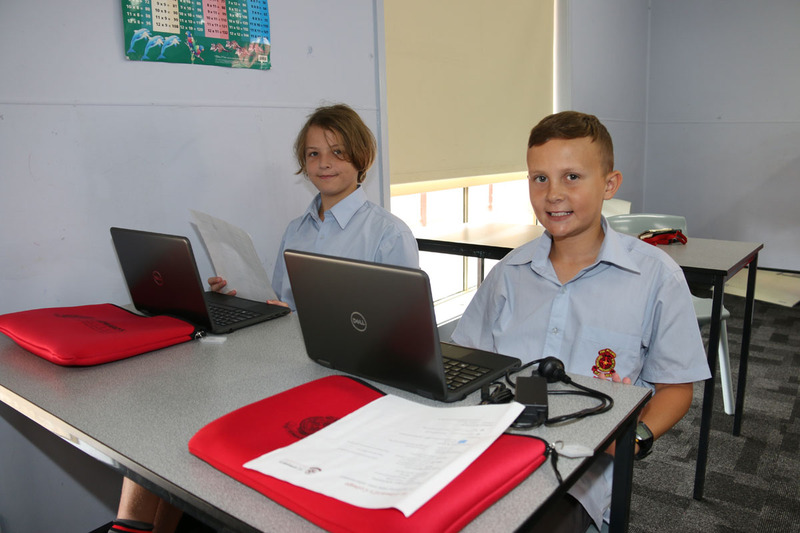 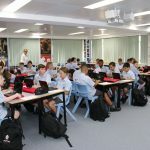 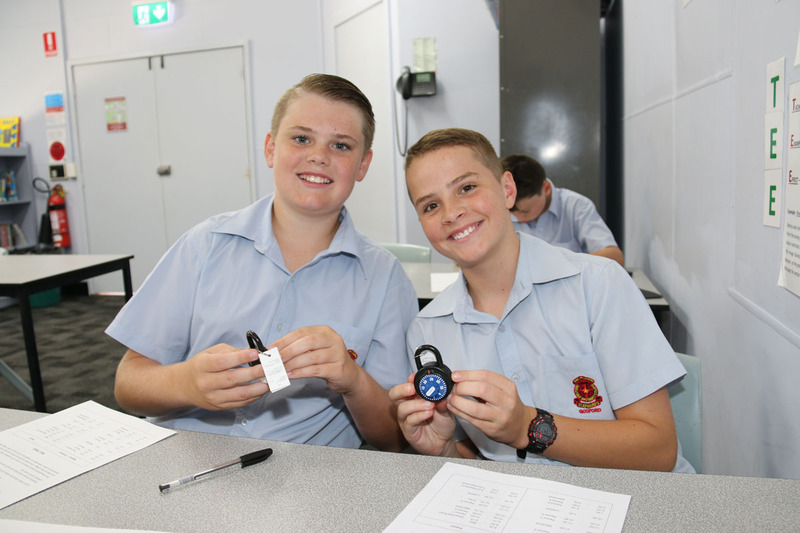 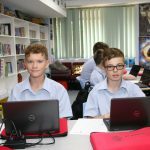 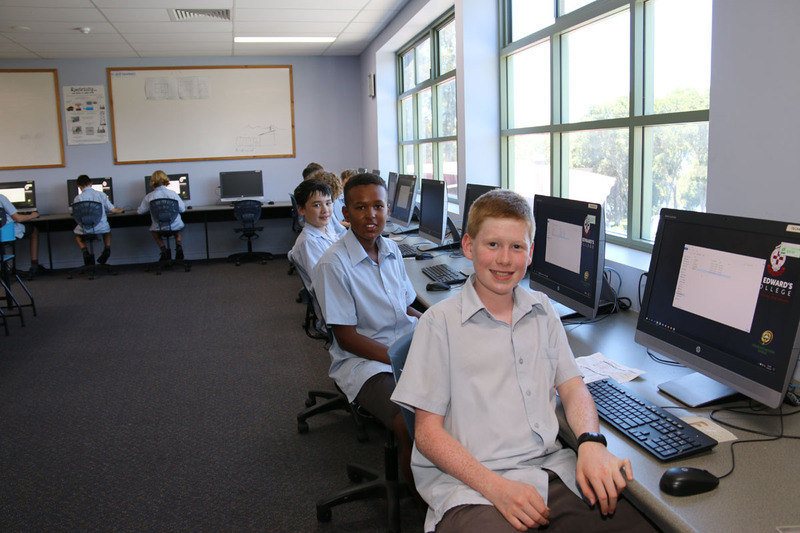 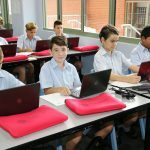 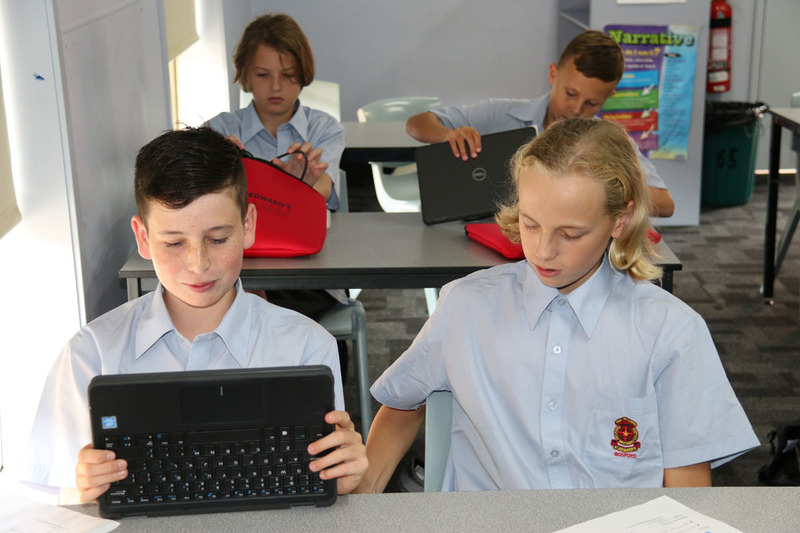 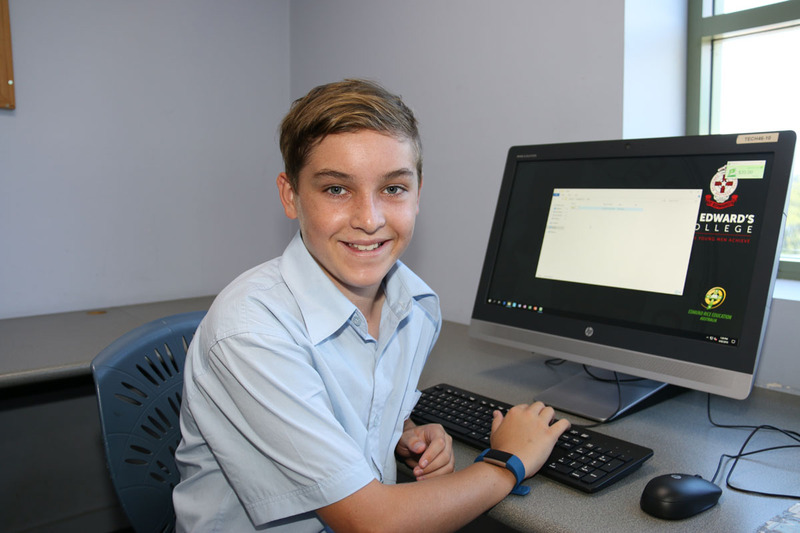 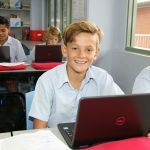 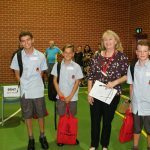 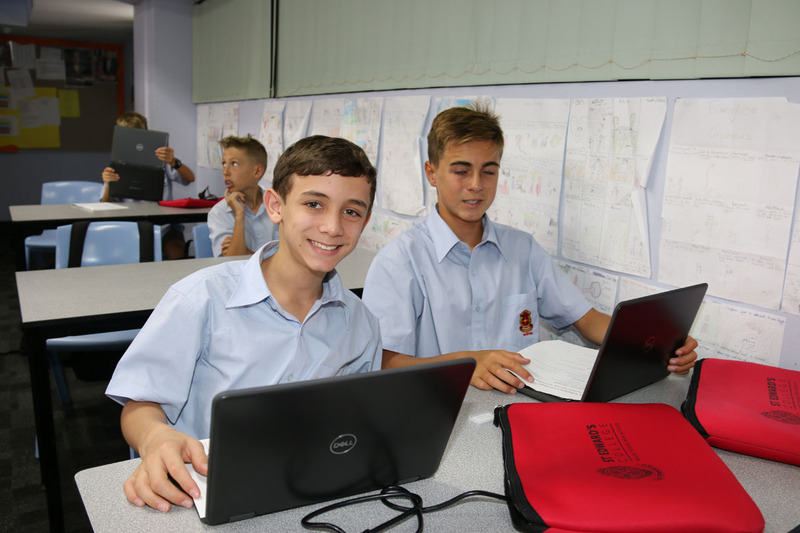 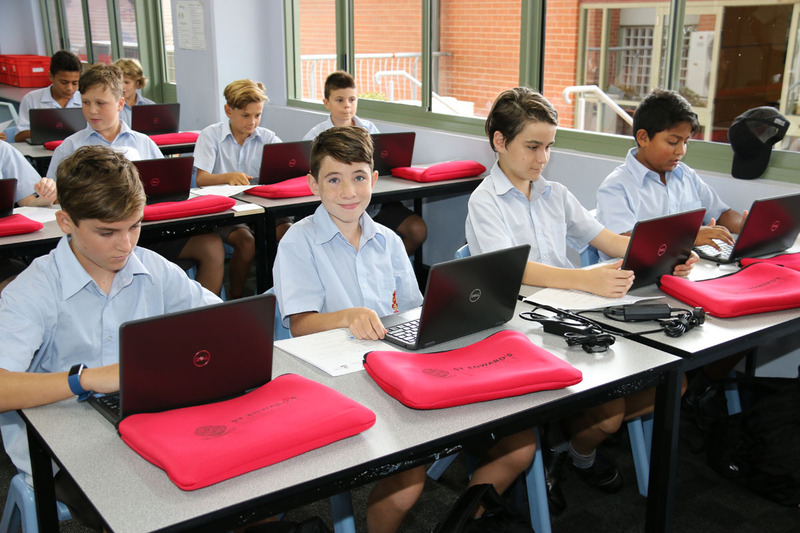 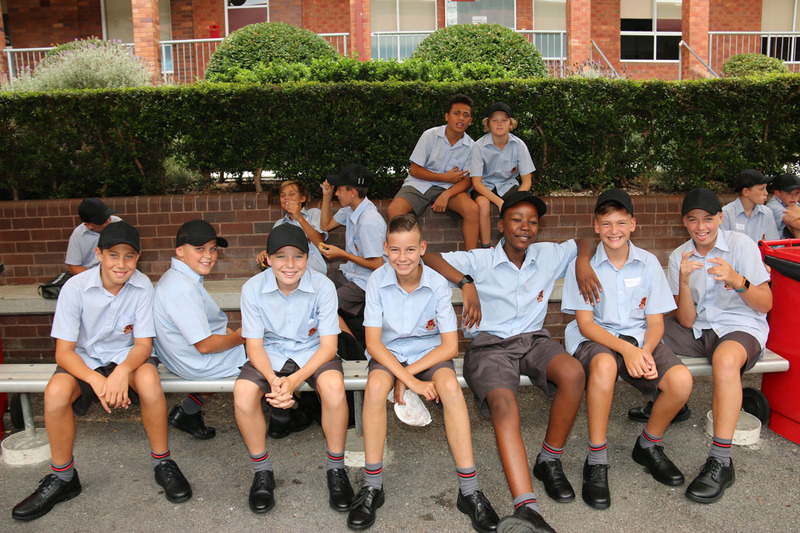 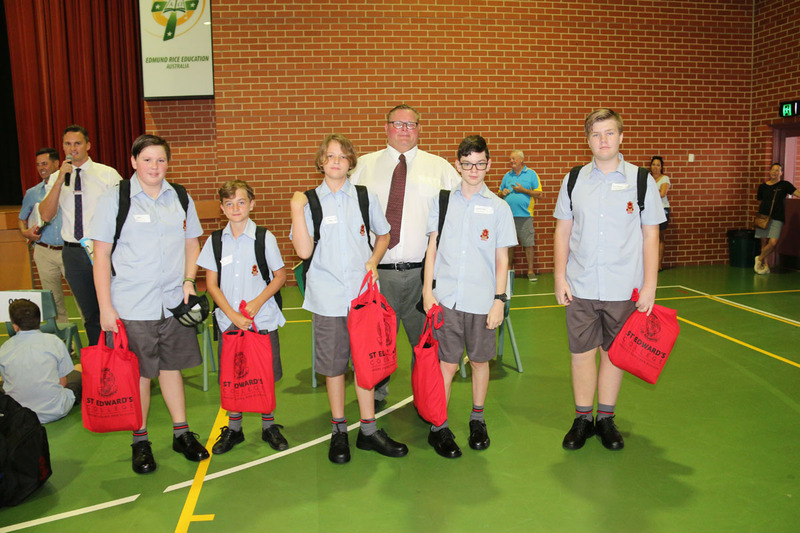 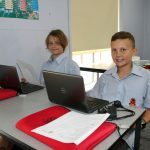 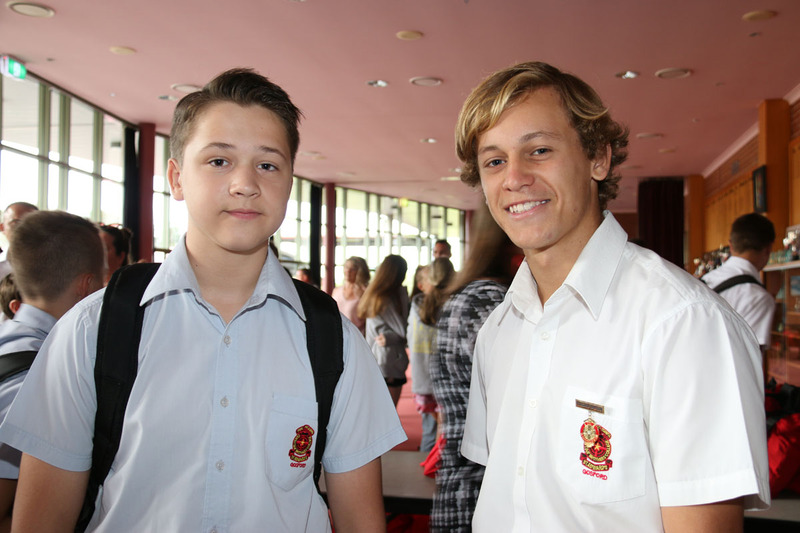 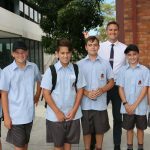 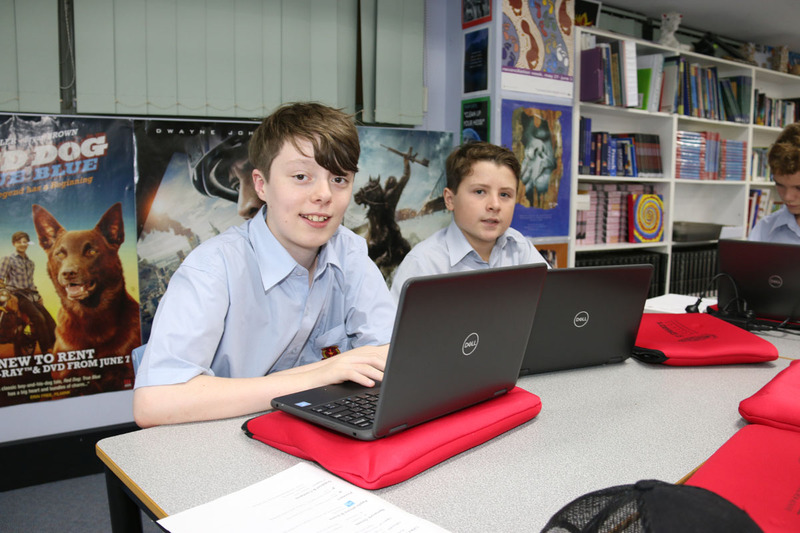 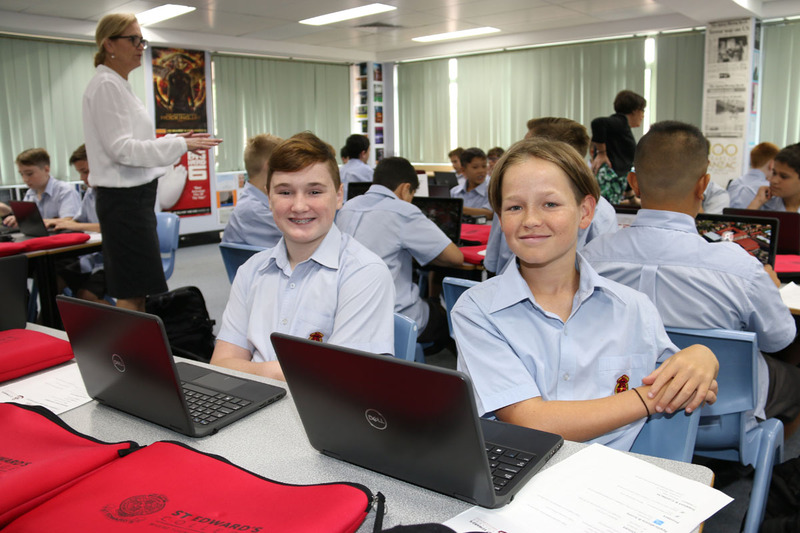 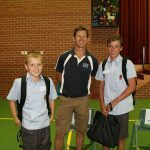 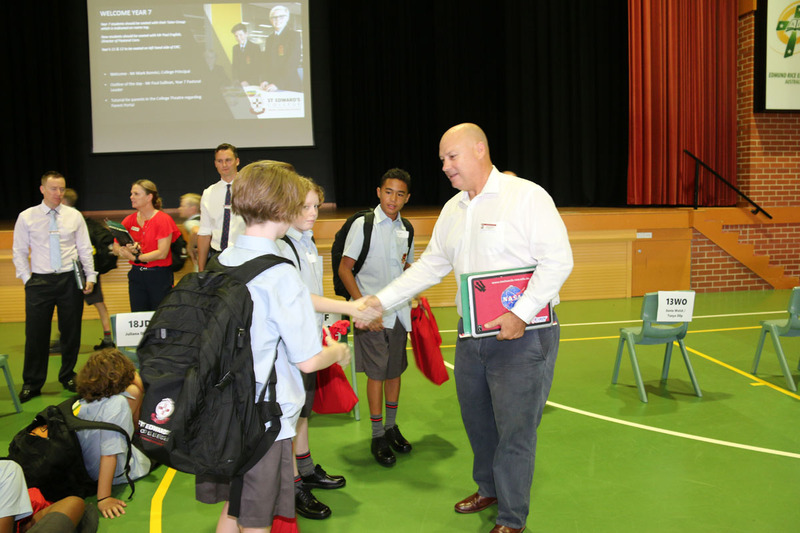 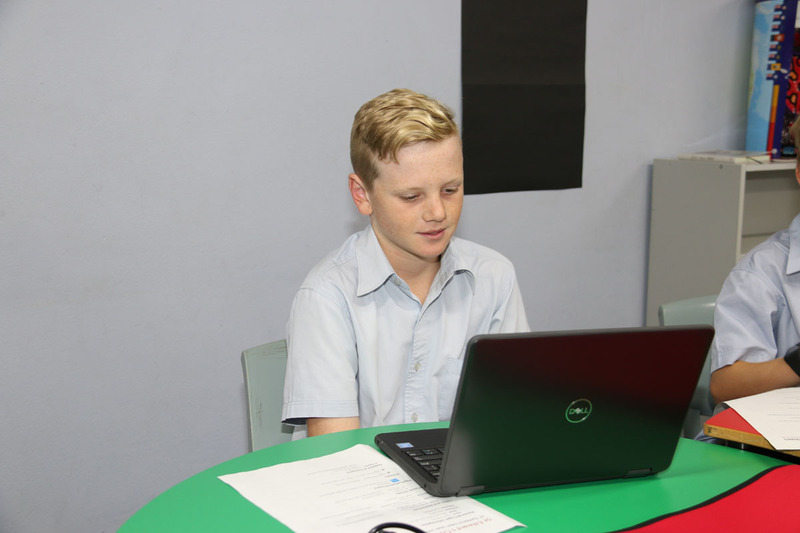 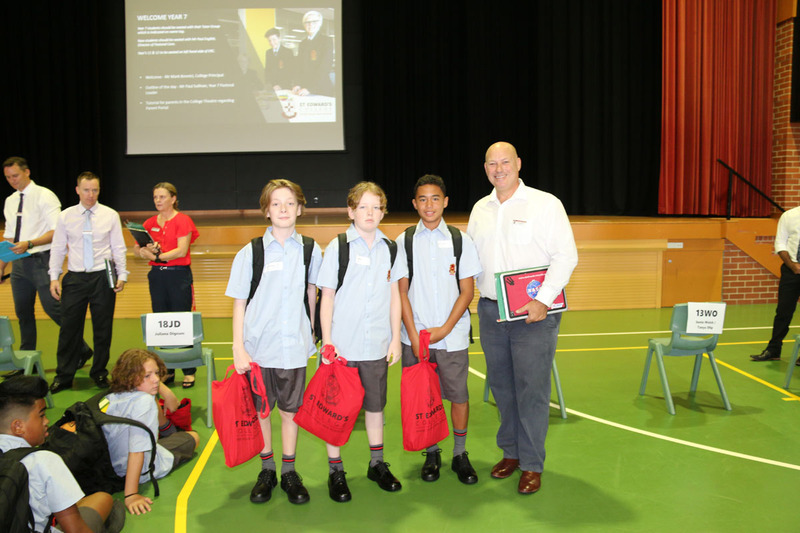 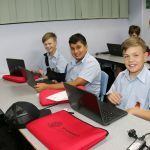 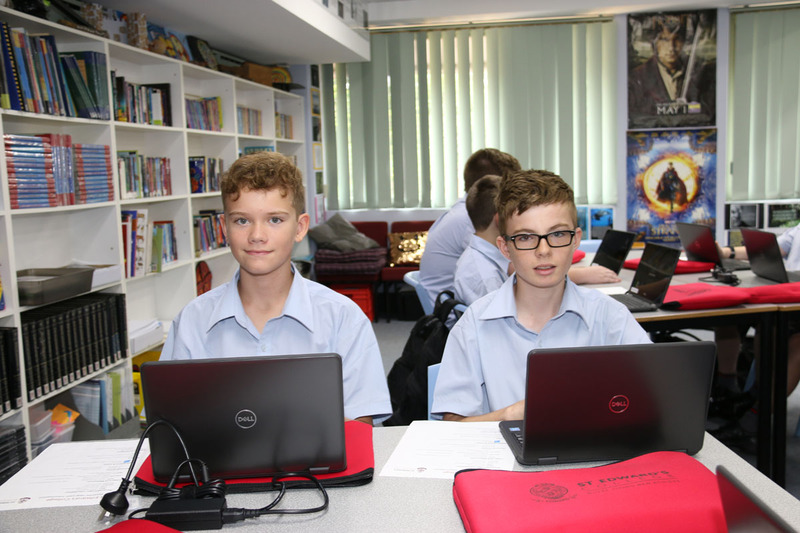 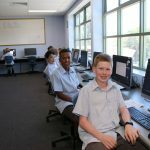 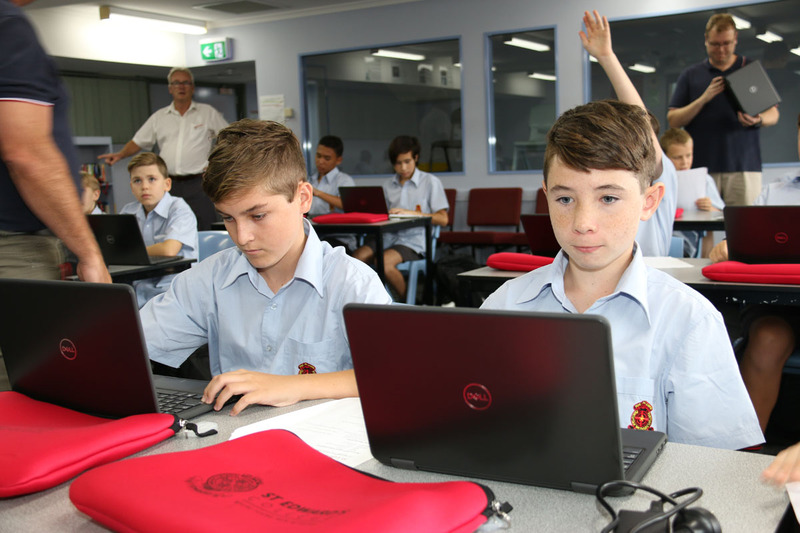 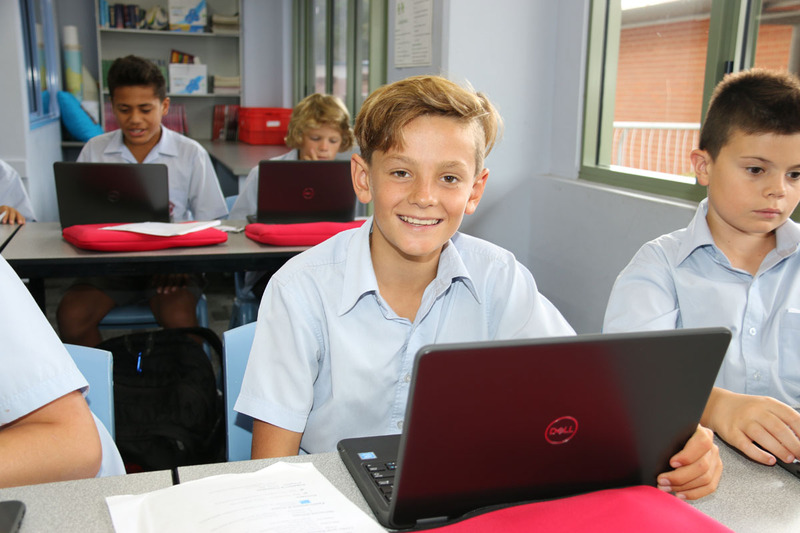 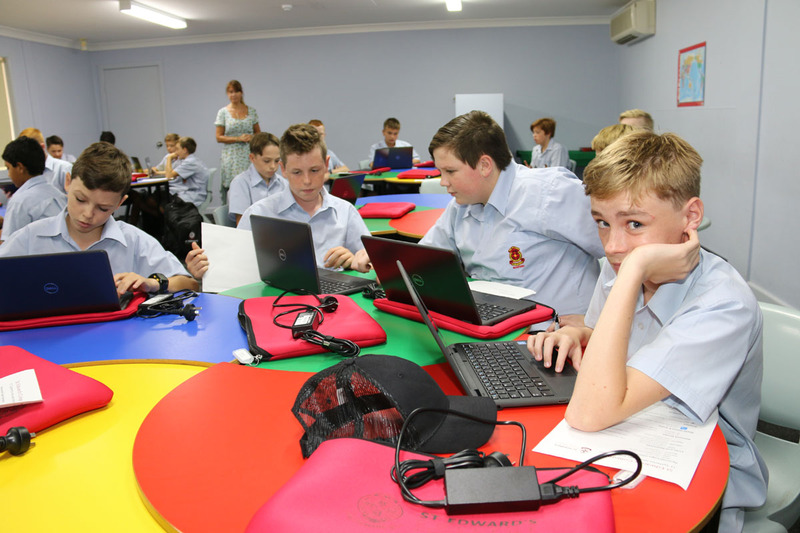 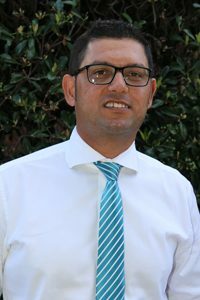 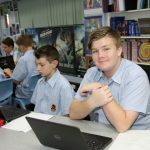 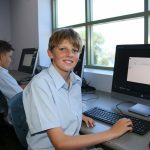 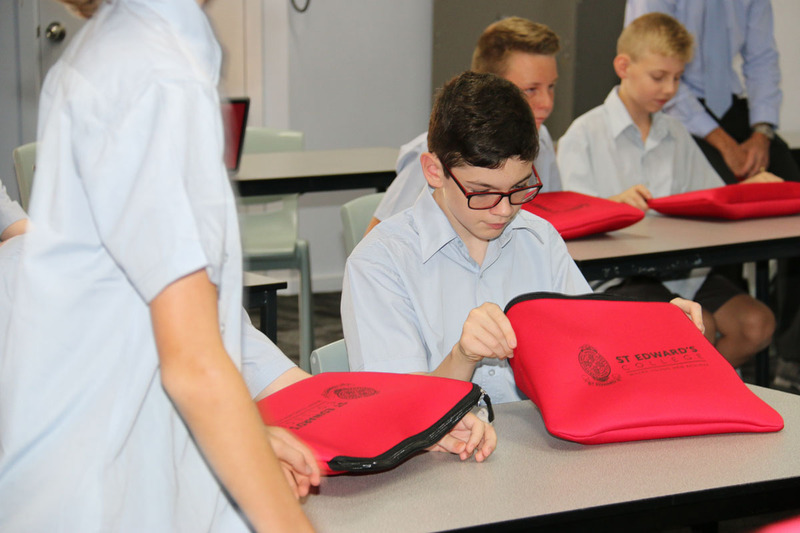 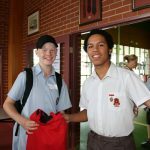 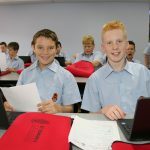 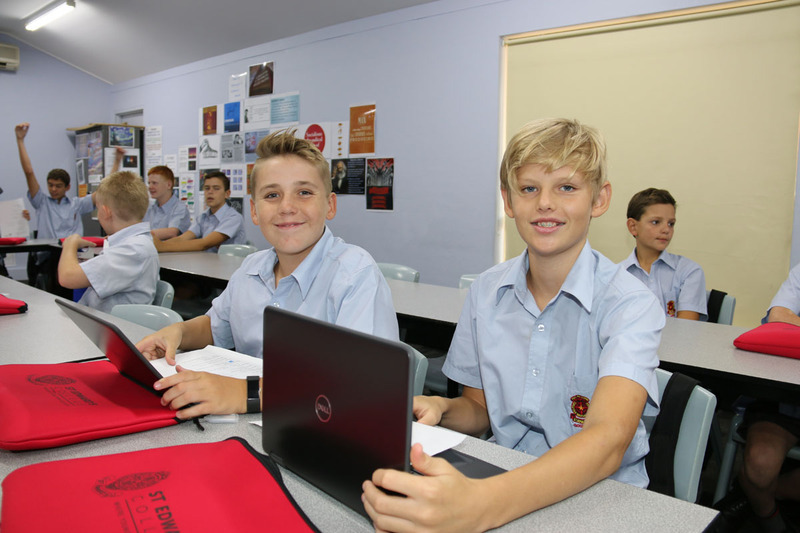 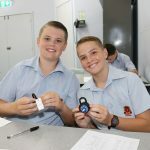 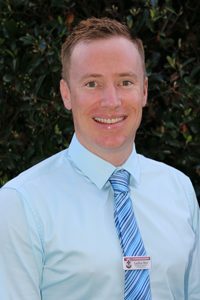 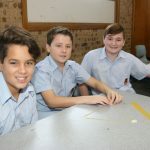 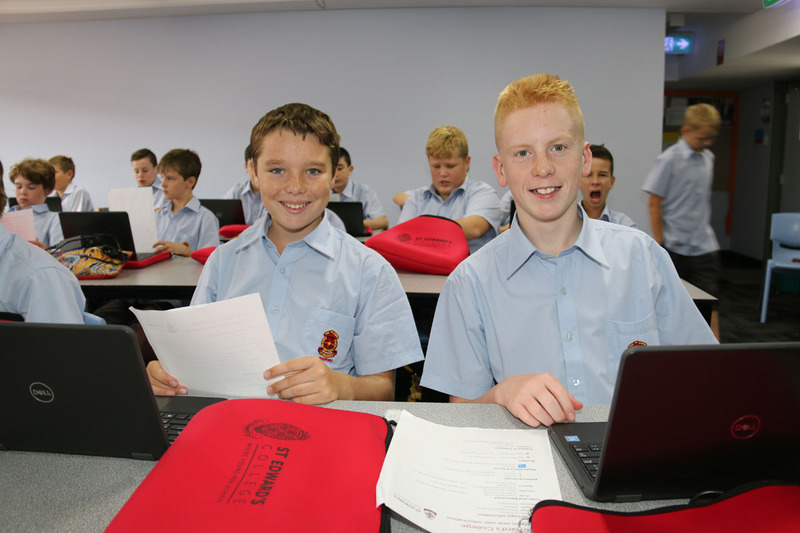 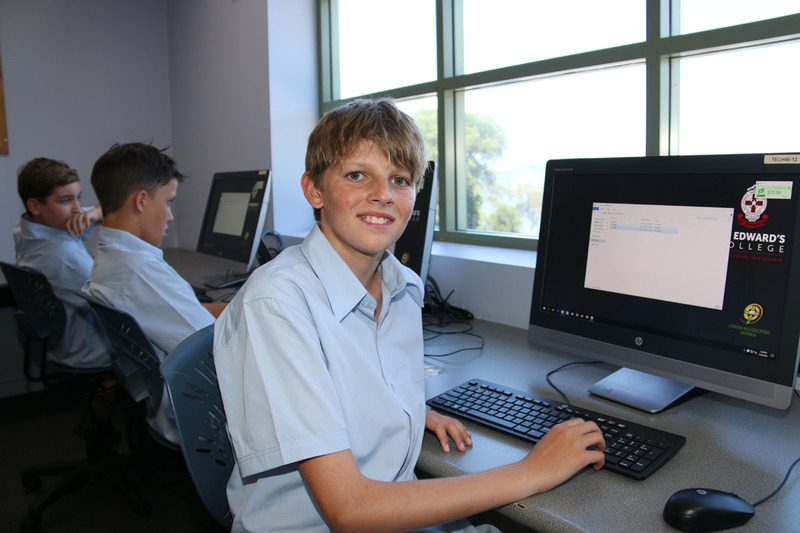 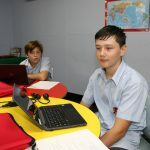 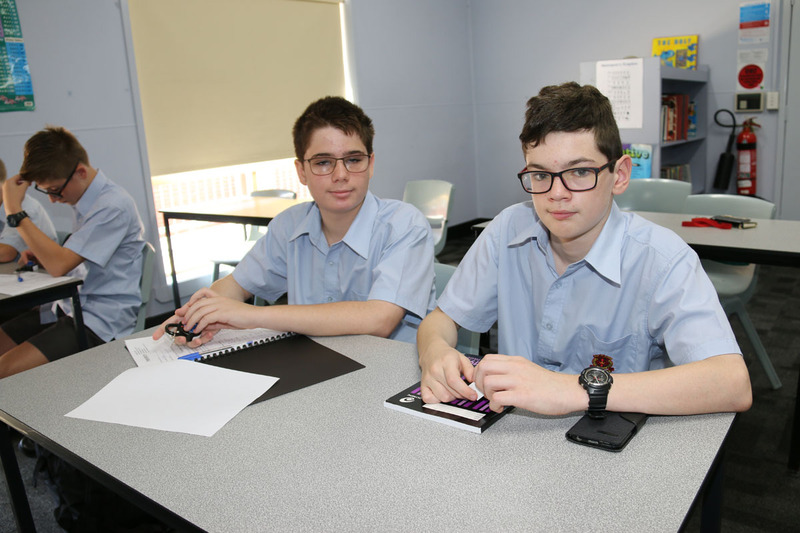 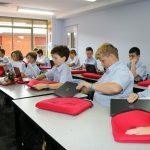 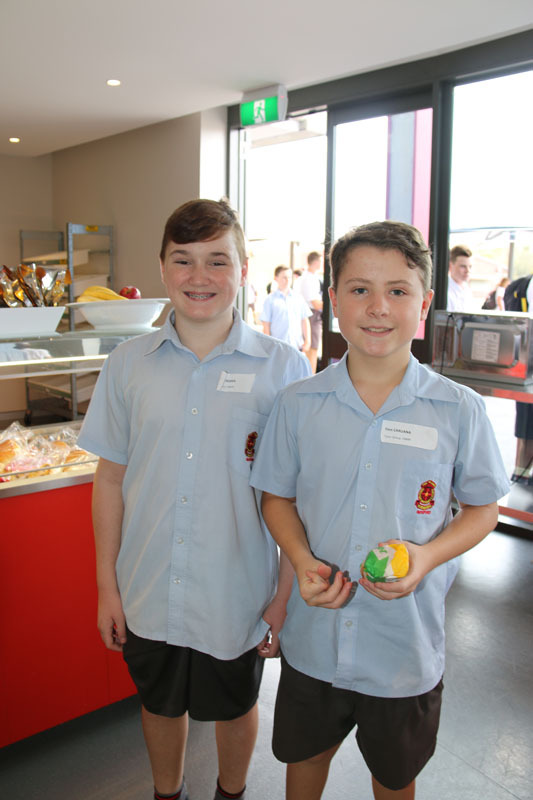 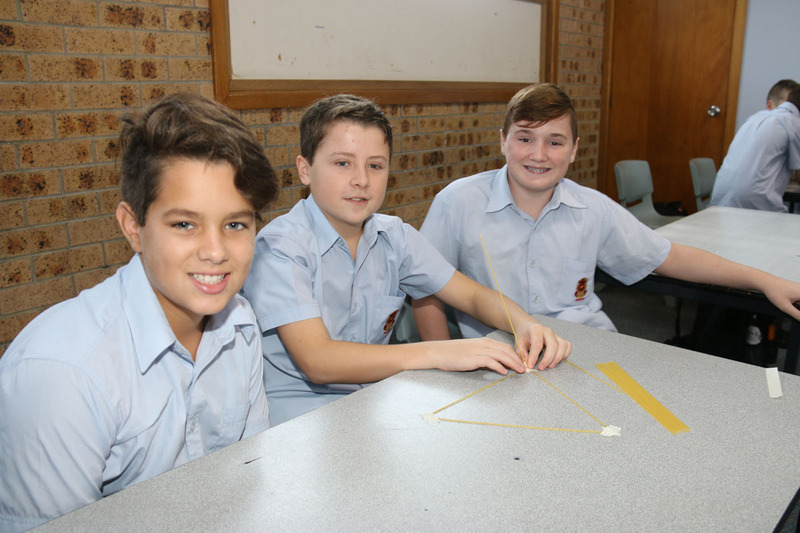 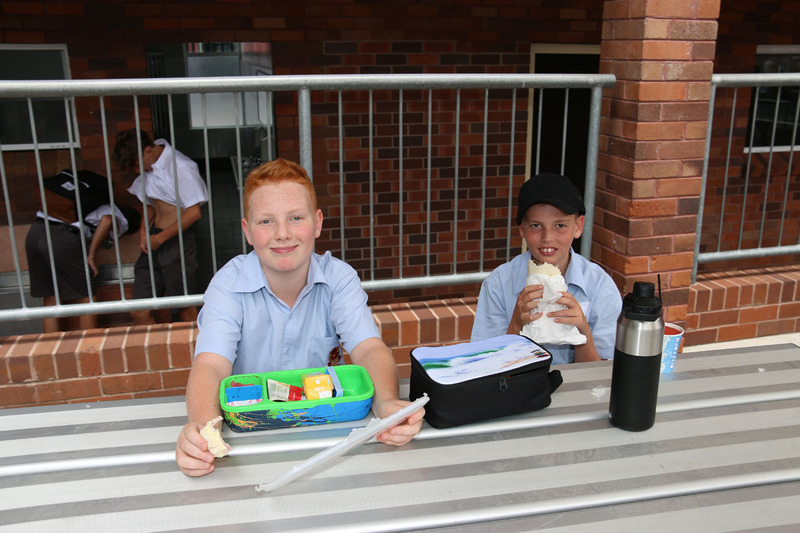 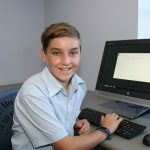 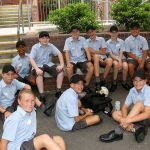 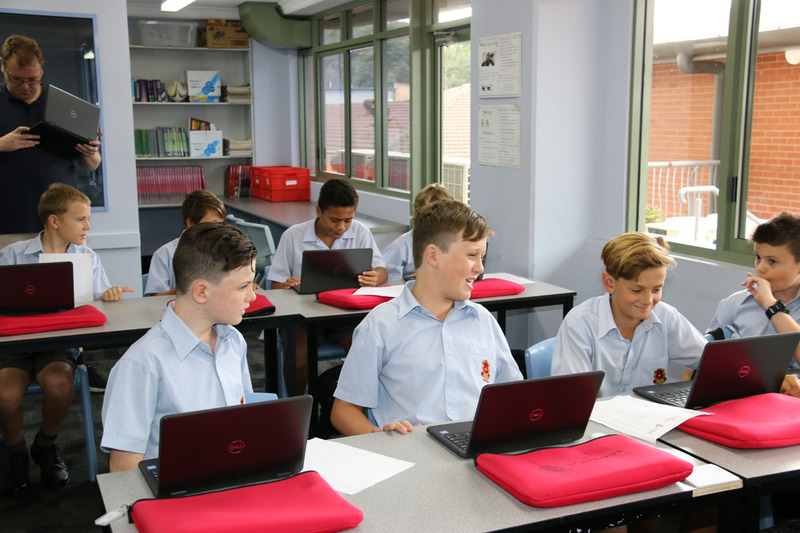 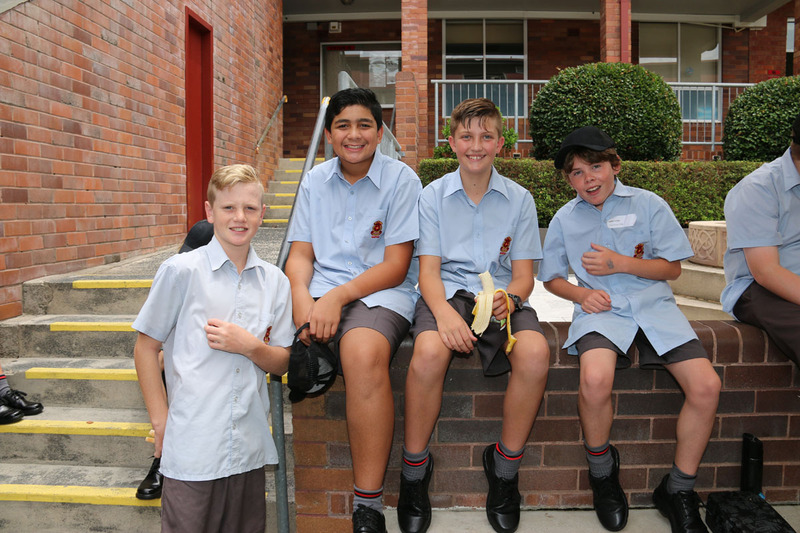 St Edward’s College was identified as one of the biggest improvers on the Central Coast with many of our students achieving great learning gain in comparison to their past performances academically. 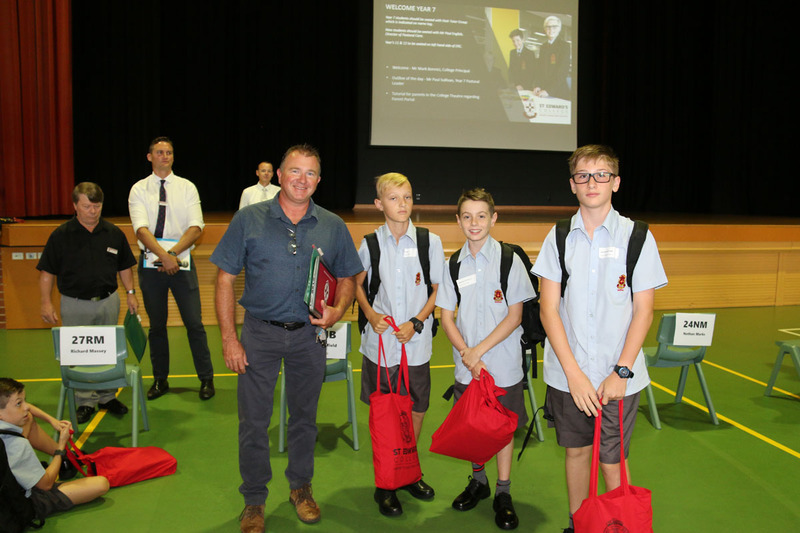 On Wednesday February 13, we will conduct a whole school assembly to acknowledge the students who have achieved the highest marks, as well as a selection of young men who, through specific areas of study and skill development, have created great career pathways for themselves. 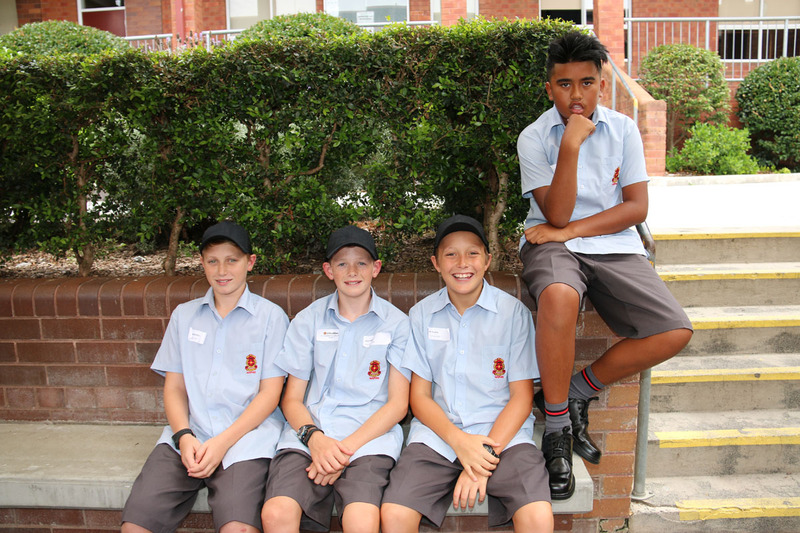 We congratulate these young men and we are very proud of their achievements. 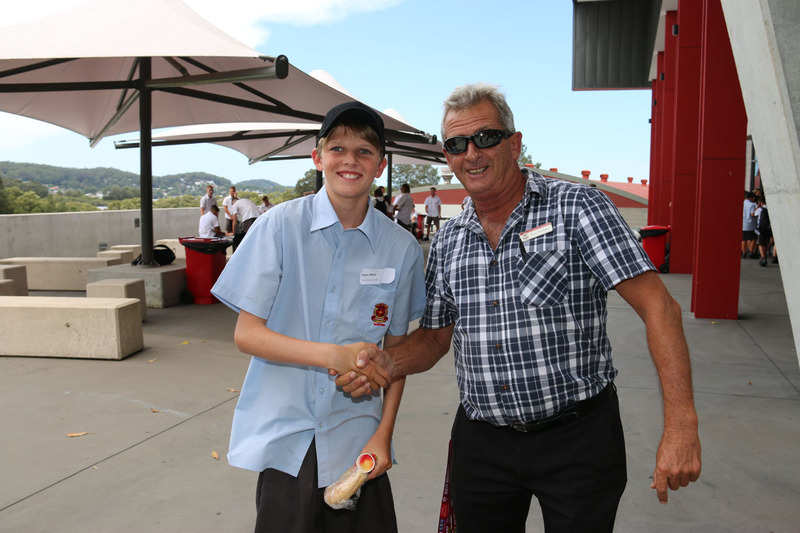 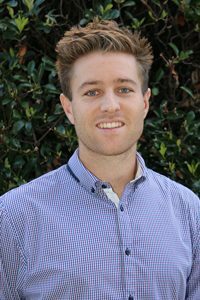 I would particularly like to acknowledge Liam Meggs who was awarded the College Dux of 2018. 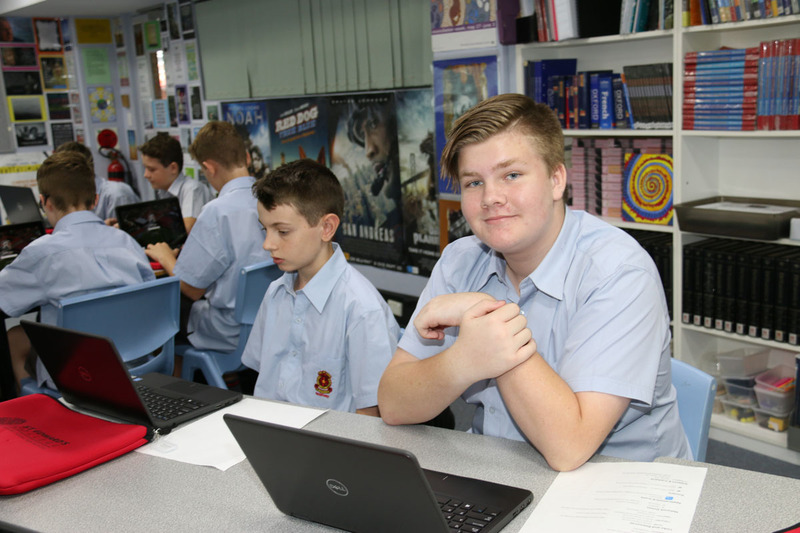 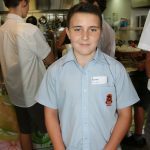 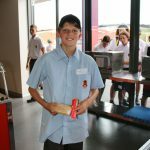 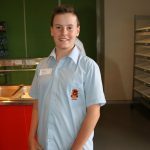 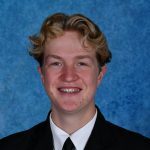 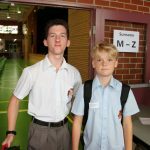 He continued to achieve outstanding results in the HSC gaining a top band in Physics, Chemistry, Mathematics Extension 1 and Mathematics Extension 2 and an ATAR of 98.5. 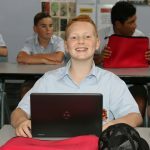 The 2018 list of other High Achievers appears below. 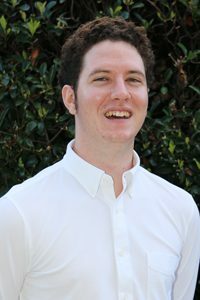 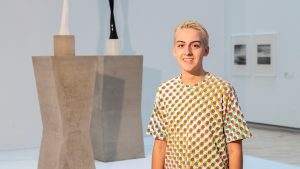 Congratulations to Lukas Kalos of Year 12 for being award the National Gallery of Australia Summer Art Scholarship. 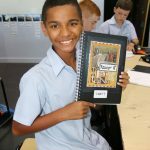 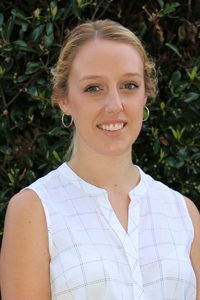 This scholarship provides students with an opportunity to attend a week-long program of intensive art-related study at the National Gallery of Australia in Canberra during January. 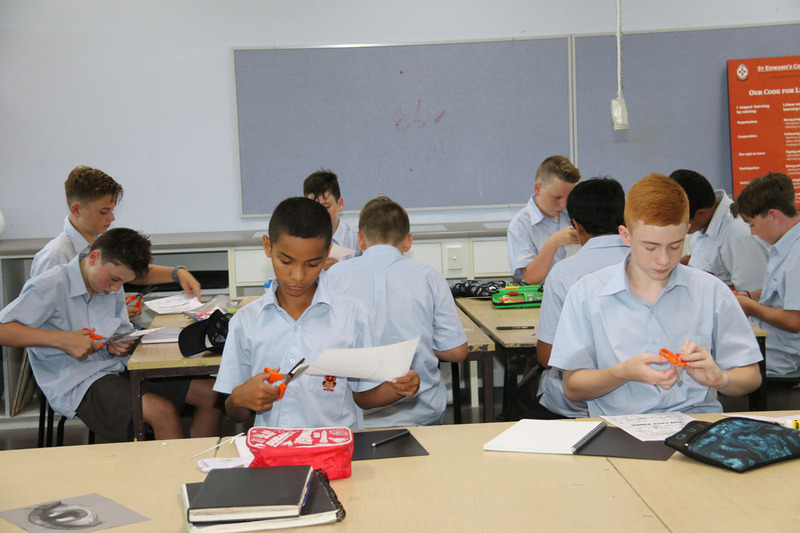 The program includes art making, aspects of exhibition design and presentation as well as an exploration of the operational aspects of the National Cultural Institution. 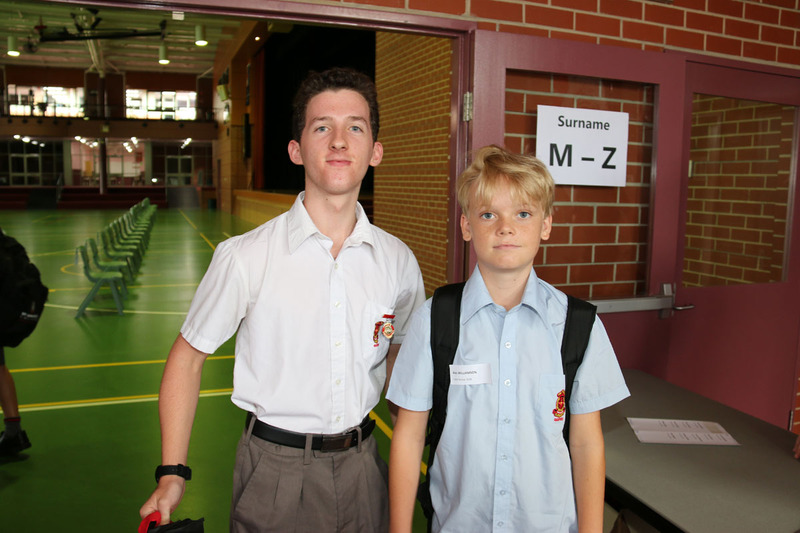 The College Commencement Mass will be celebrated in the Edmund Rice Centre at 10am on Tuesday February 12. 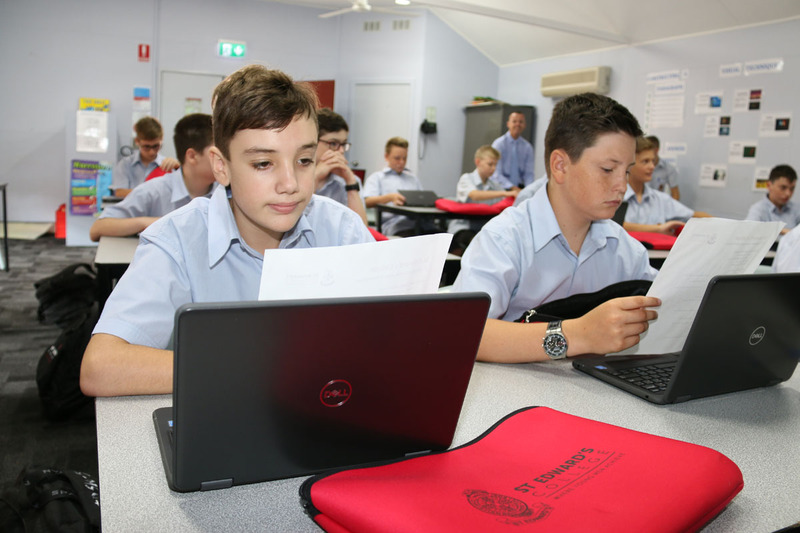 Any parents who would like to attend are most welcome to join us in the Edmund Rice Centre as we gather to ask the blessing of the Lord on our school year. 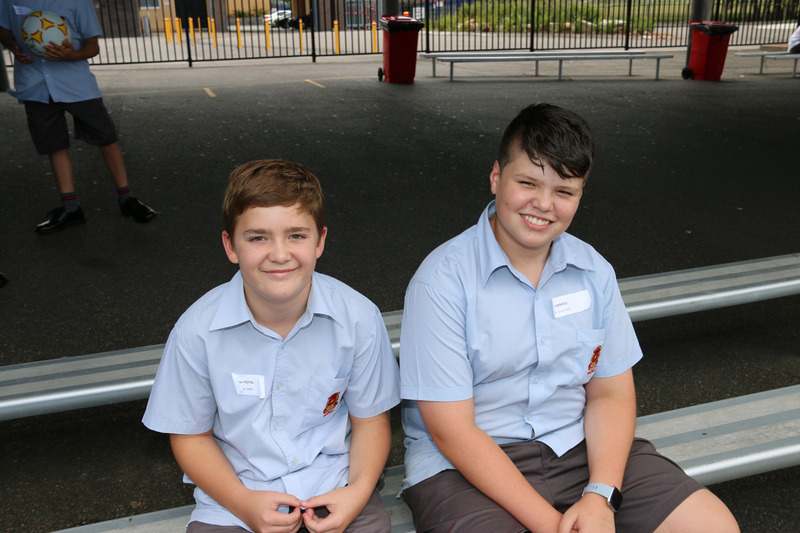 Be the best that you can be will be the theme for our Celebration and I can think of no better way to launch the new year and help create a spirit of togetherness within the school community. 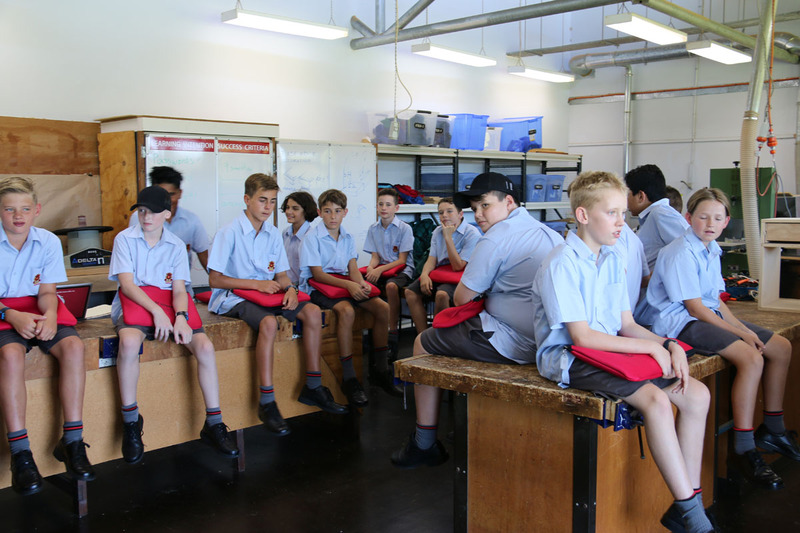 Each day the College records those boys who are absent from Tutor roll call. 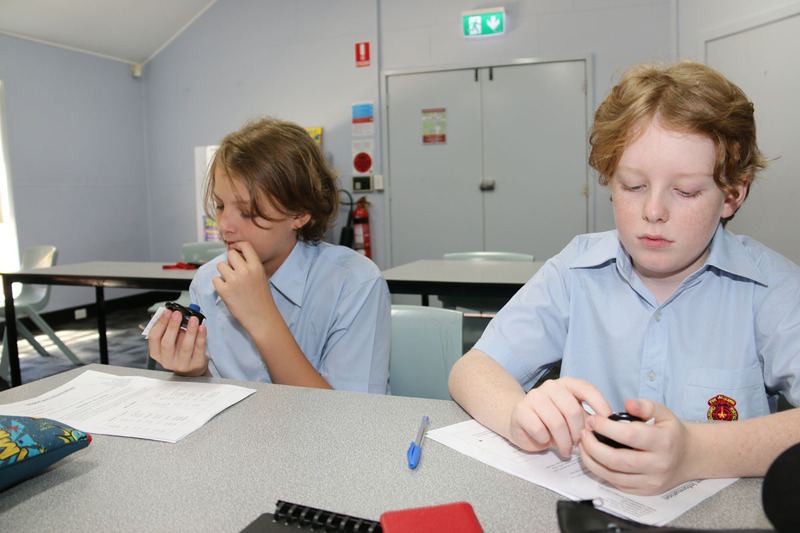 We then notify parents of that absence by SMS text message. 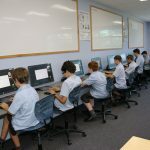 Parents are then required to text, phone, email or send at note to the College office to explain the absence so it can be recorded in the system. 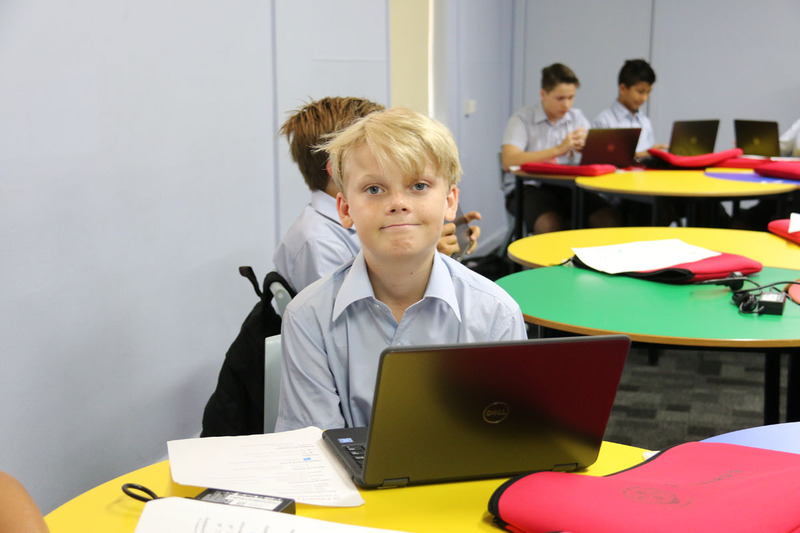 If you reply via text, please include the student’s name so we can identify him. 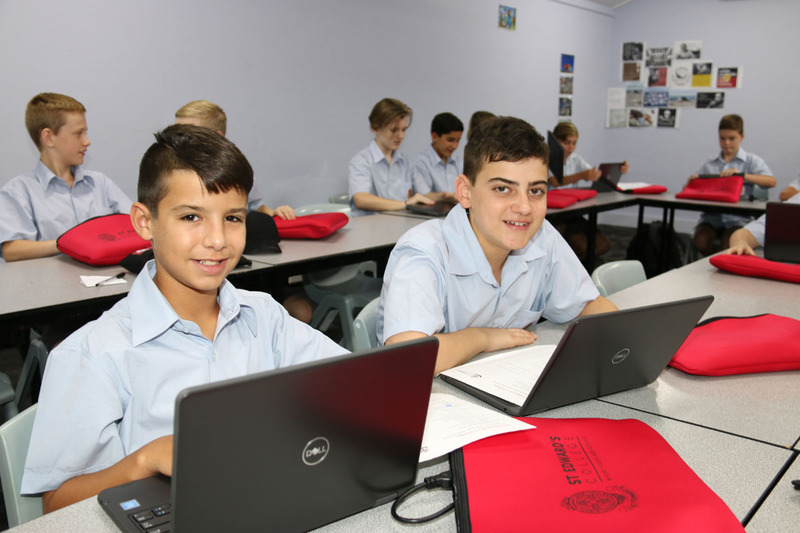 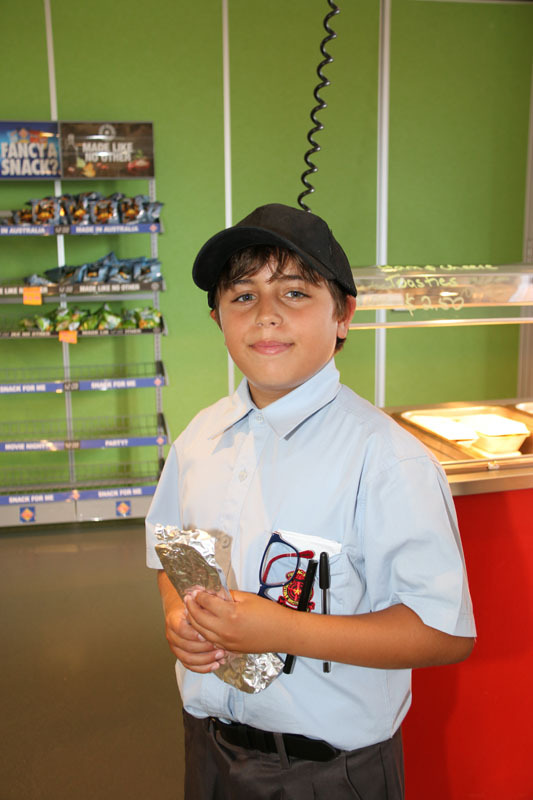 If parents believe the SMS has been sent in error, (which sometimes happens due to excursions and events) please contact the school on 43216400. 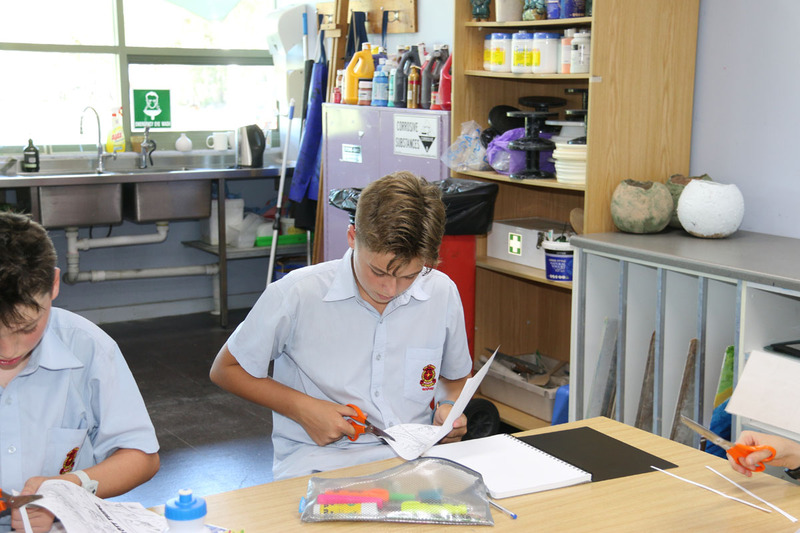 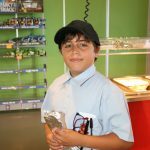 Please note it is important that if your son is not at Tutor roll call for any reason, or he is late to school, he must sign in at the Student Reception window as soon as he arrives at school with a note or an appointment card to indicate where he has been. 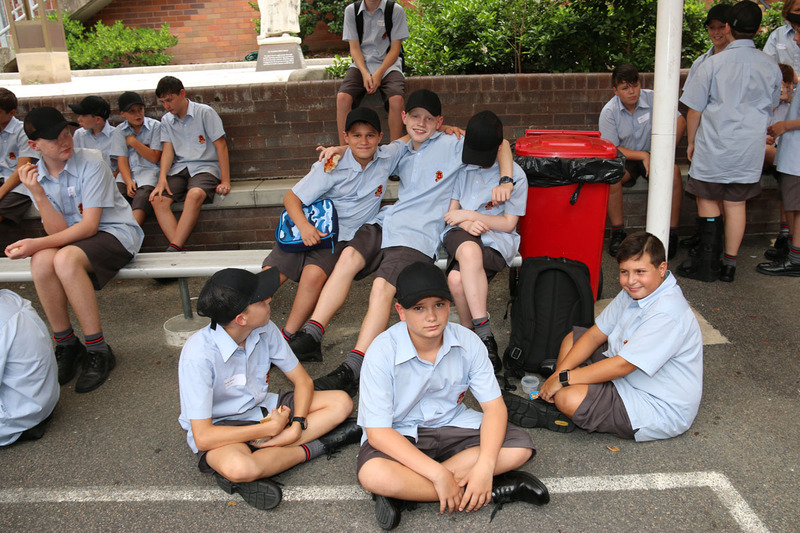 Any student absence which is not explained within seven days is recorded as unexplained leave, and legislation prevents us from changing the record after this time, and it will remain as unexplained. 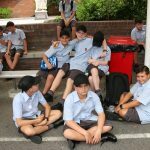 A plea to those parents and carers dropping off and picking up the boys from the area in front of the College in Frederick Street. 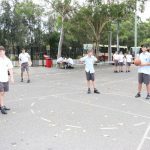 Please do not park in or across any driveway (including the College driveways), or in front of any white marker poles, as this is causing traffic congestion along with distress to our neighbours. 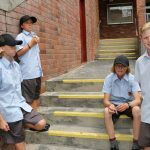 Some parents are parking or standing their vehicles in the driveways and we have promised our friendly neighbours this will not happen. 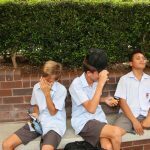 In fact, it would be better if students were to be picked up in Duke Street as this will ease congestion and minimise the chance of an accident. 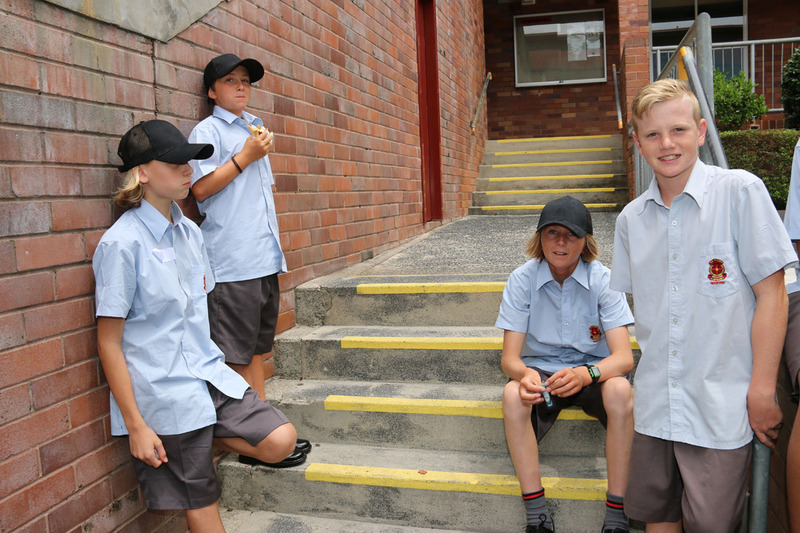 Council Rangers are known to frequent the areas both in Frederick Street and Russell Drysdale Streets. 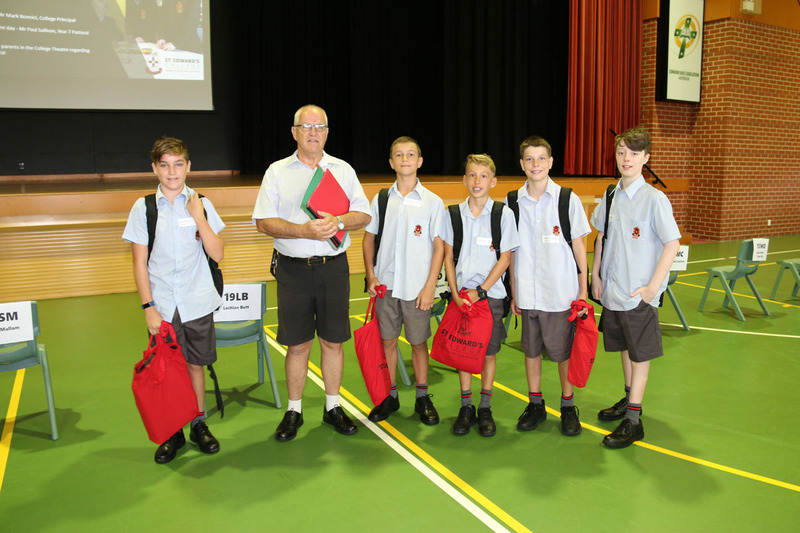 And also, a timely reminder for our senior students who drive to school – we have had several incidents of driveways being blocked already this year as a result of inconsiderate (and illegal) parking by students. 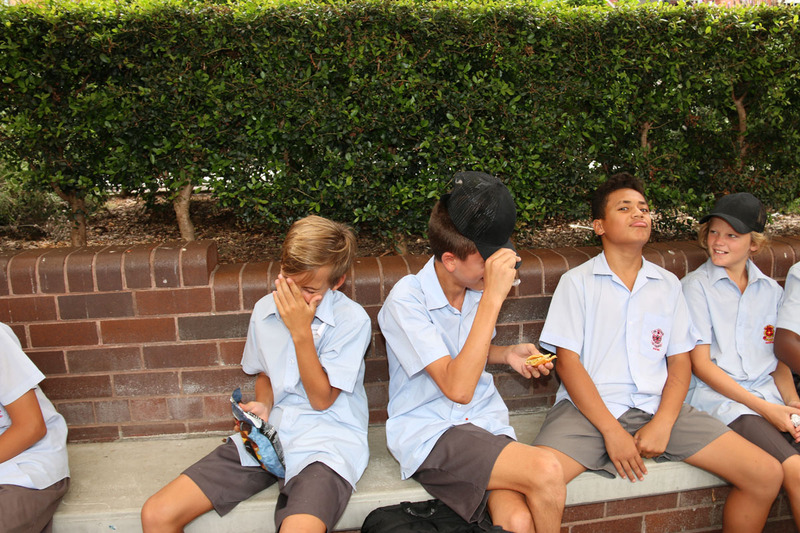 Please take the time to check how you are parked and allow enough room for neighbours to easily access their property. 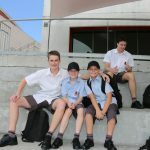 Parents, if you have a son who drives to school, please remind him of this.